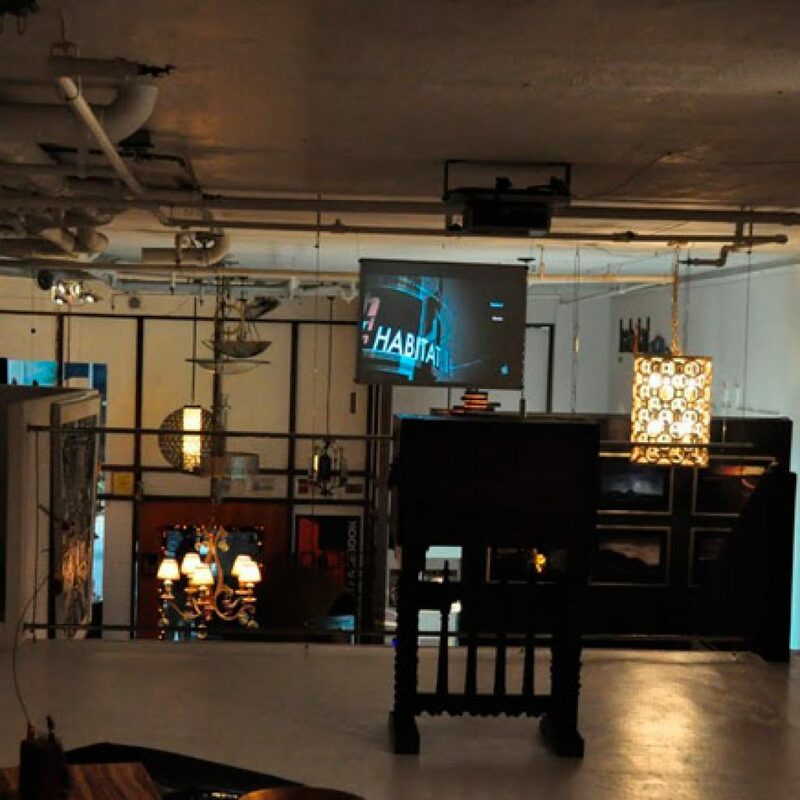 Welcome to the world of specialist projection screens, working with the latest state of the art projection screen technologies our mission is simple; to turn your big screen dreams into reality! 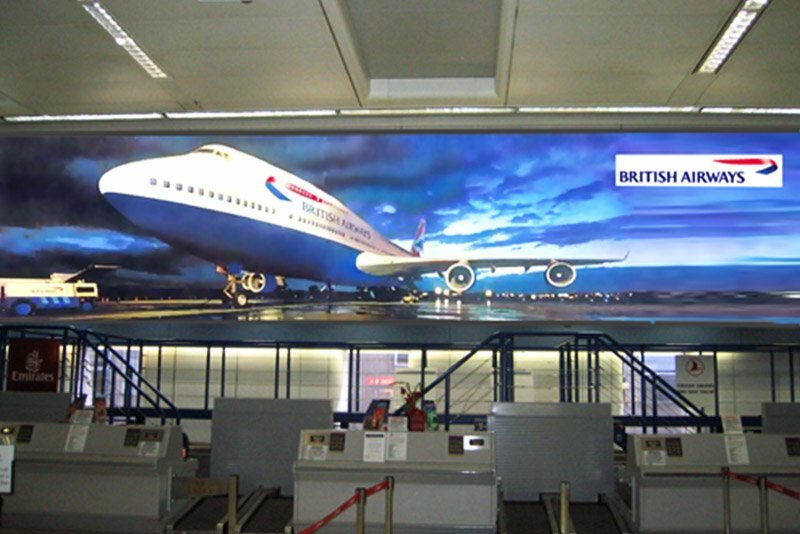 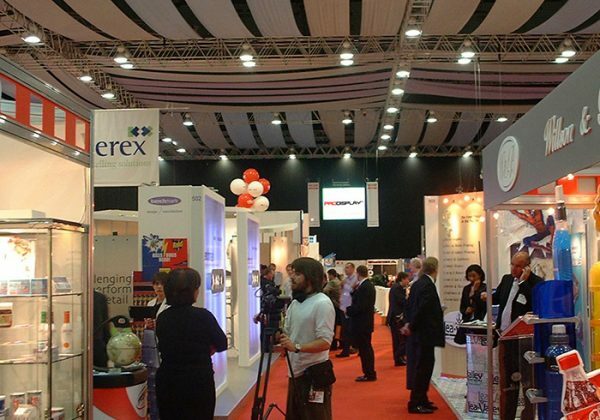 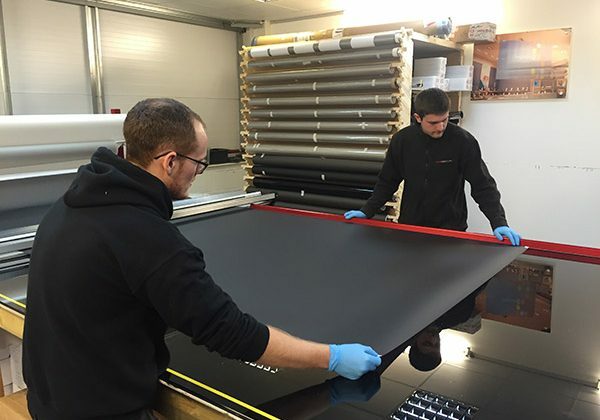 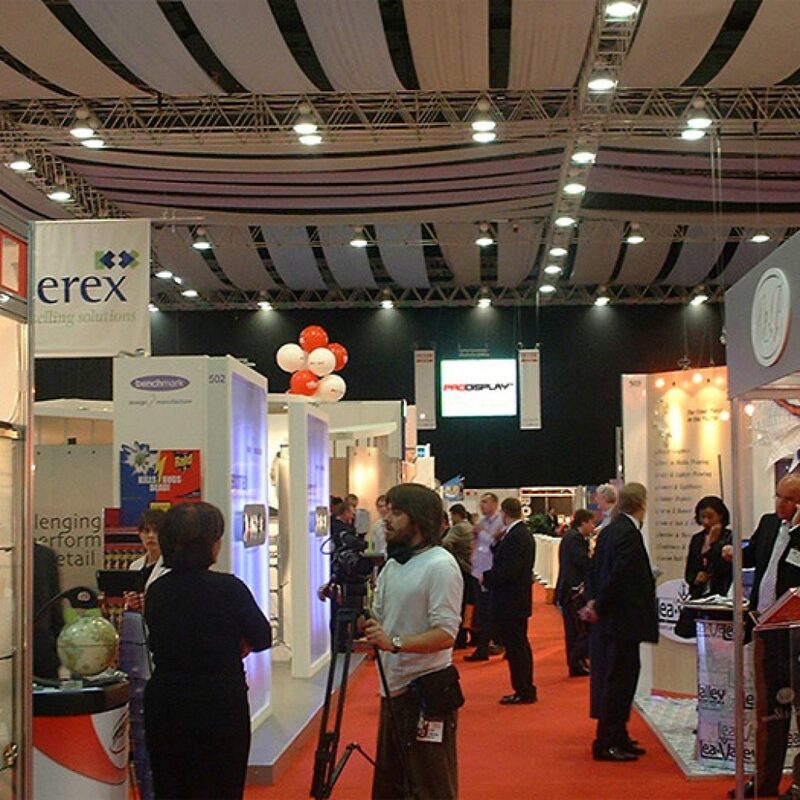 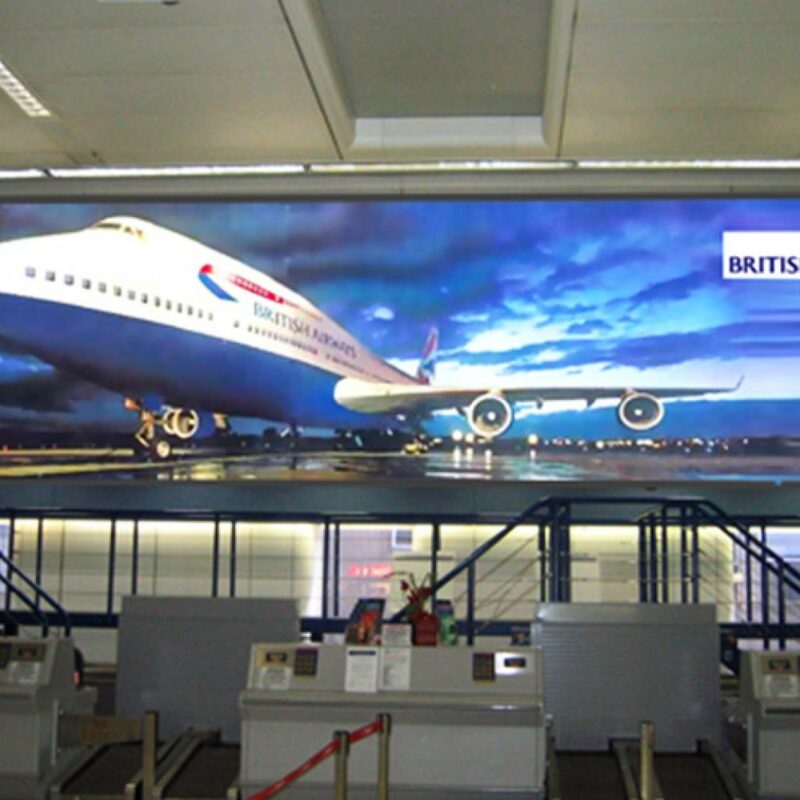 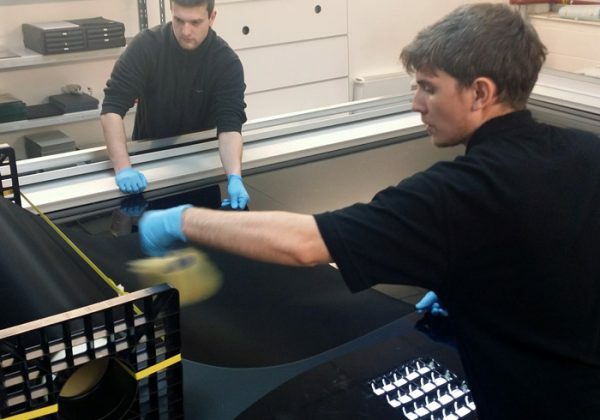 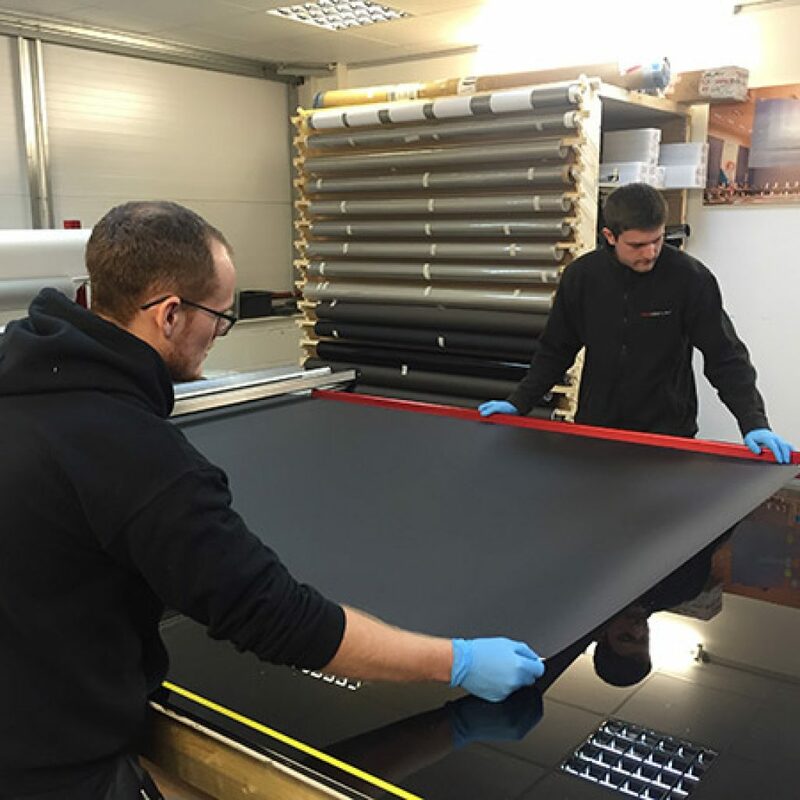 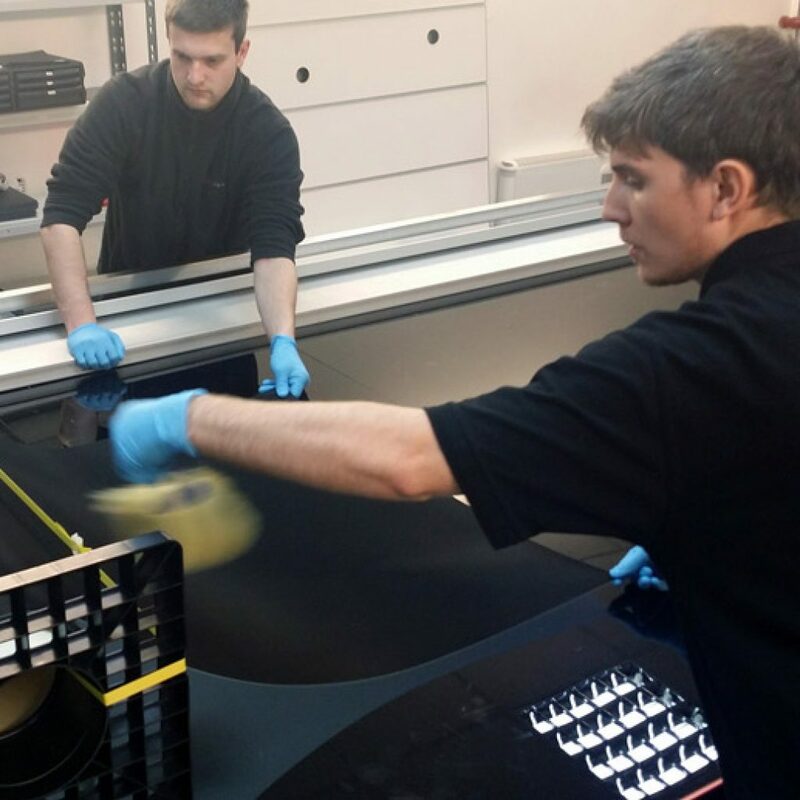 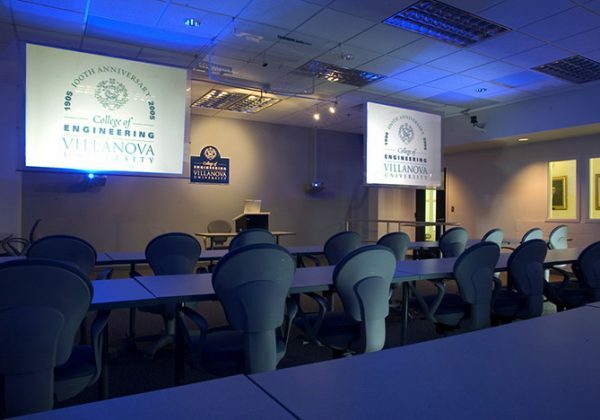 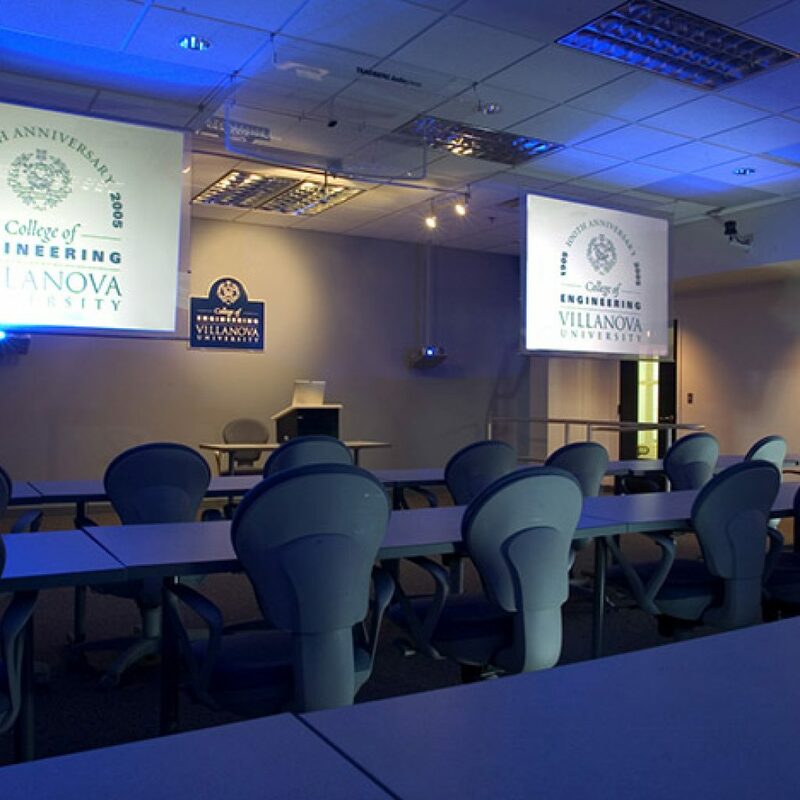 By combining the very best of British know how with state of the art manufacturing techniques and our real hands on experience we can offer your business a full range of specialist projection screens. 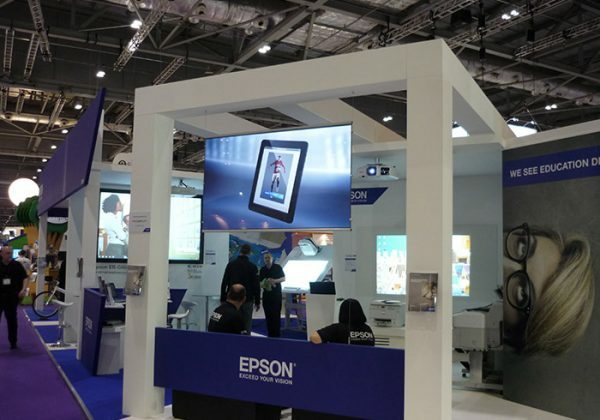 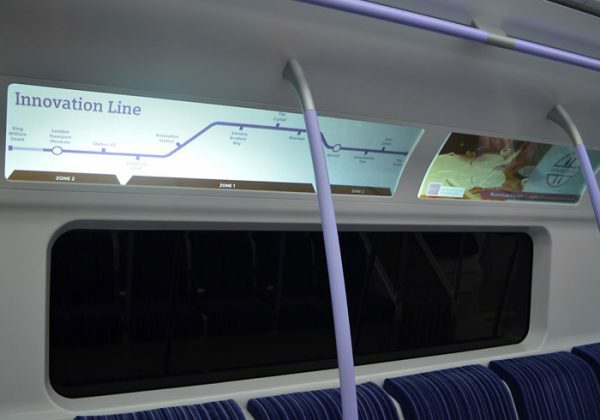 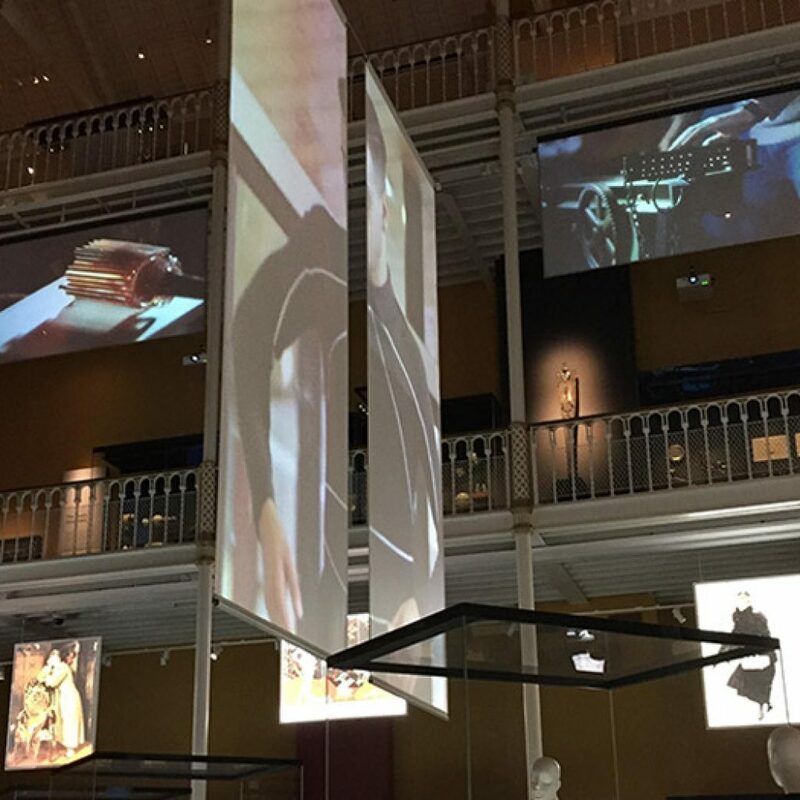 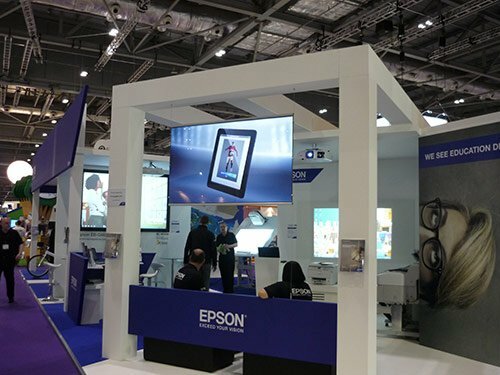 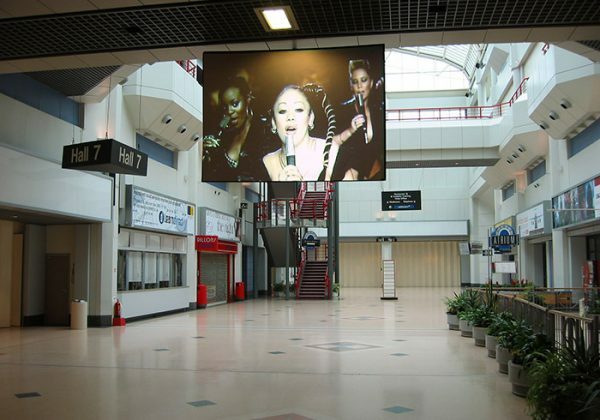 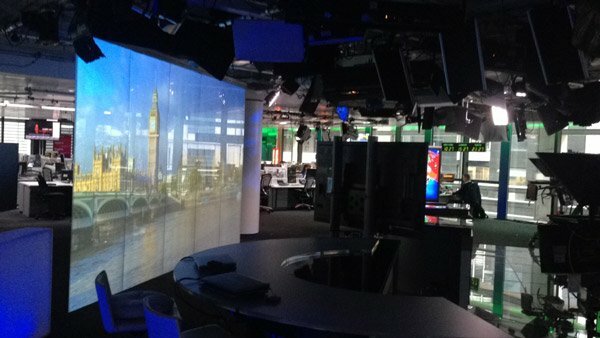 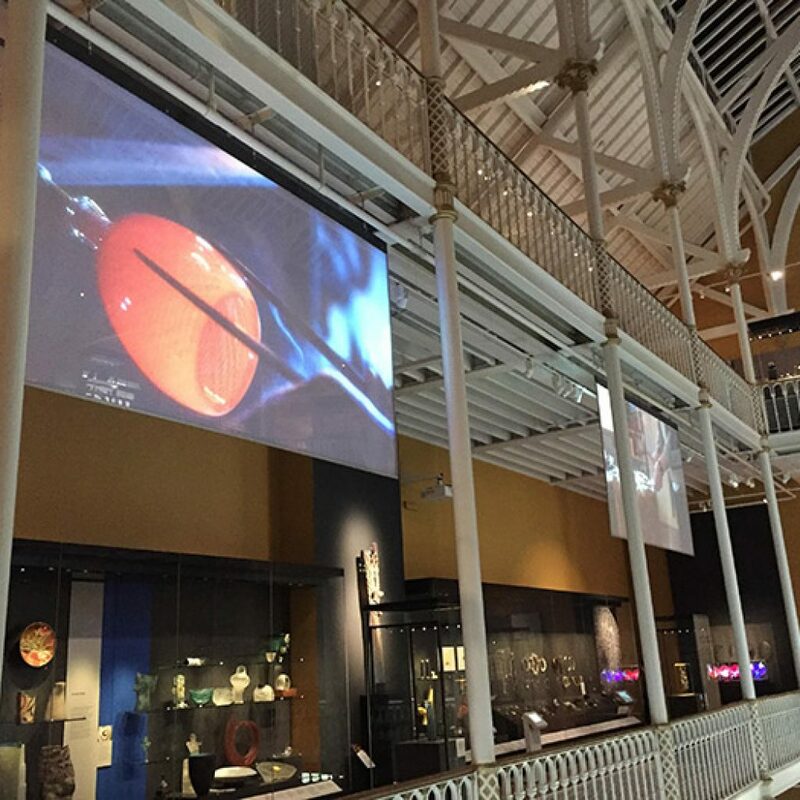 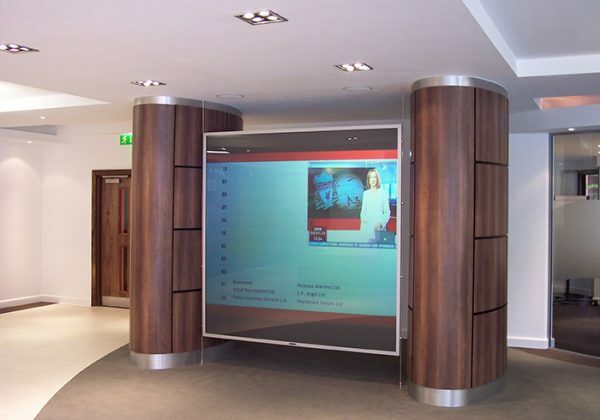 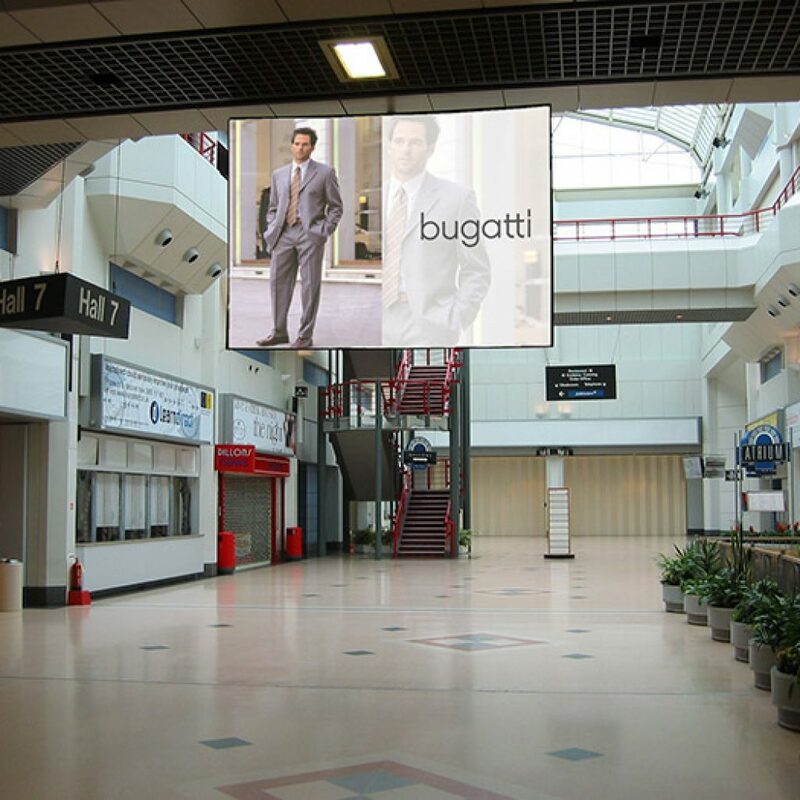 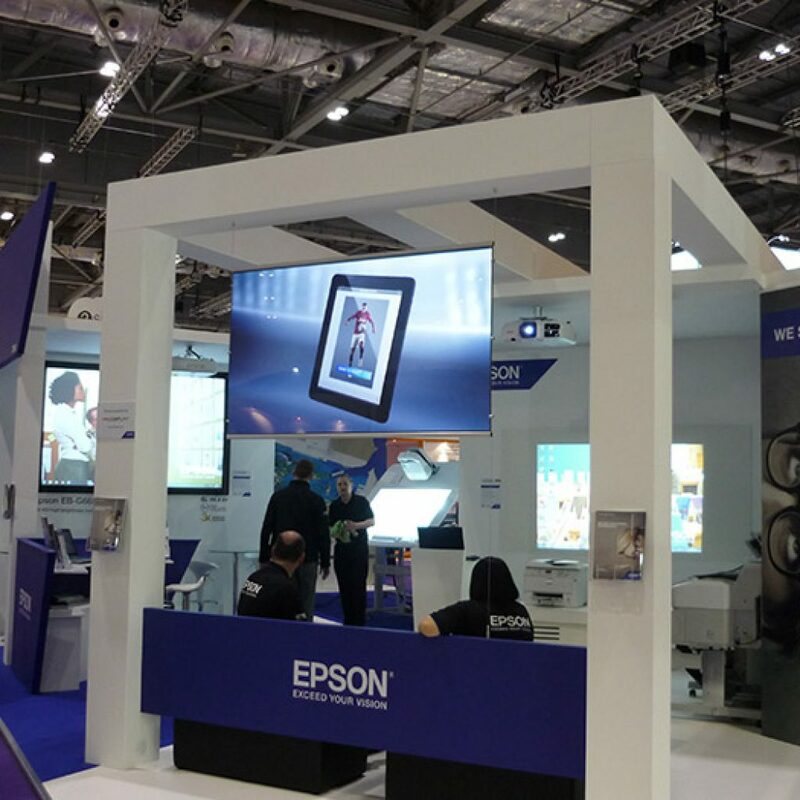 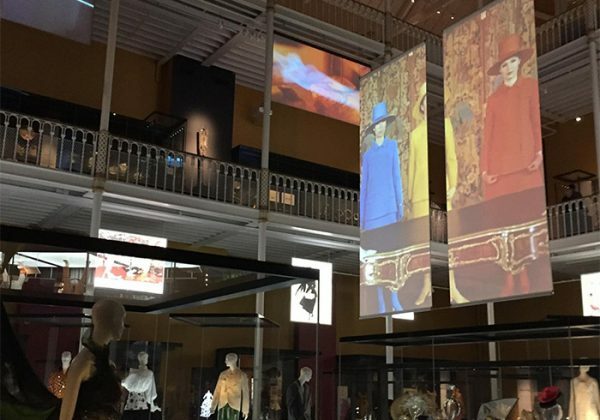 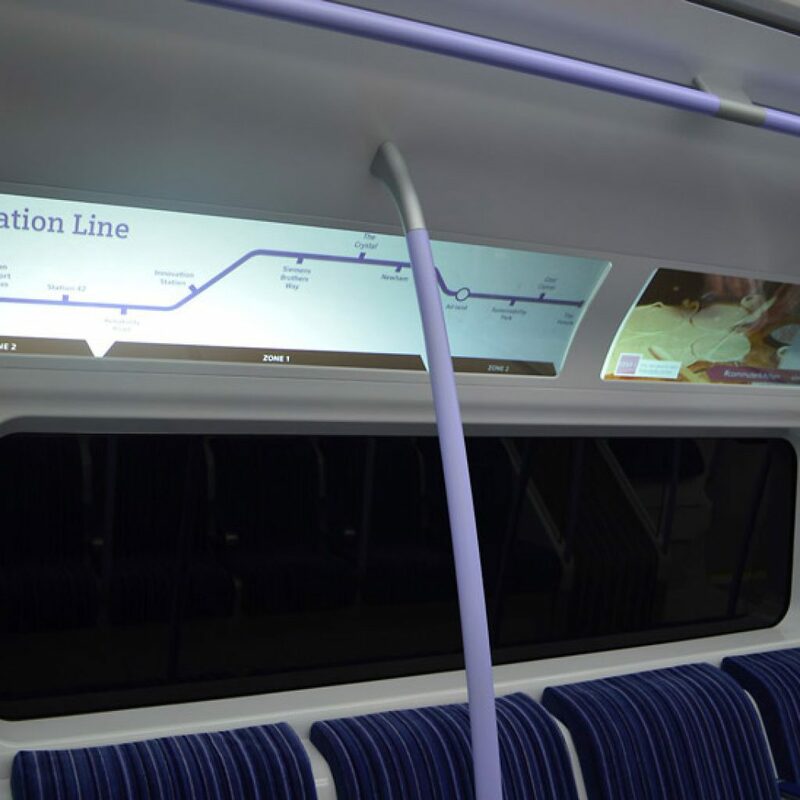 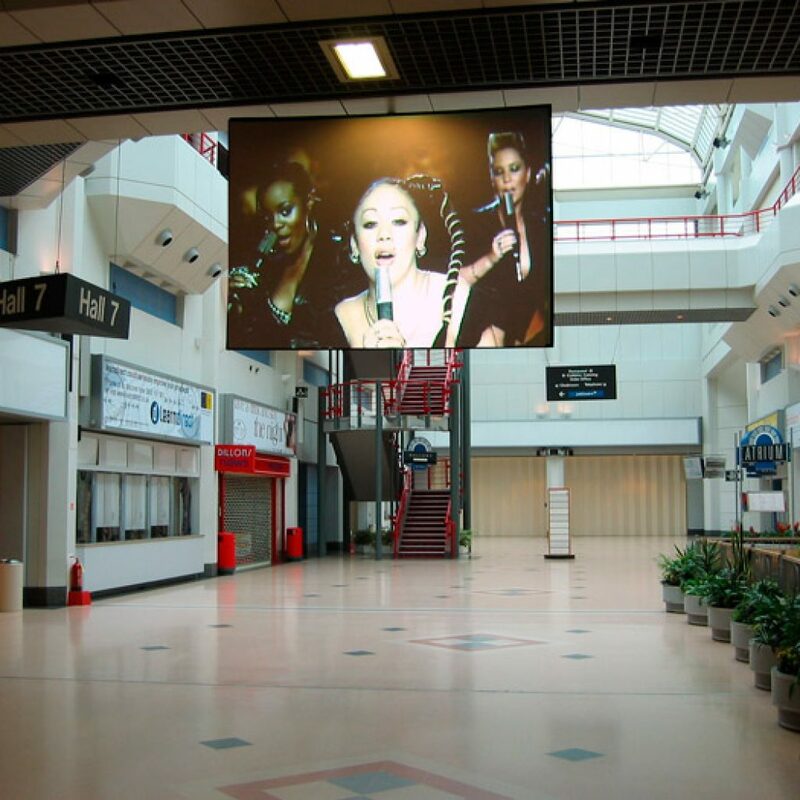 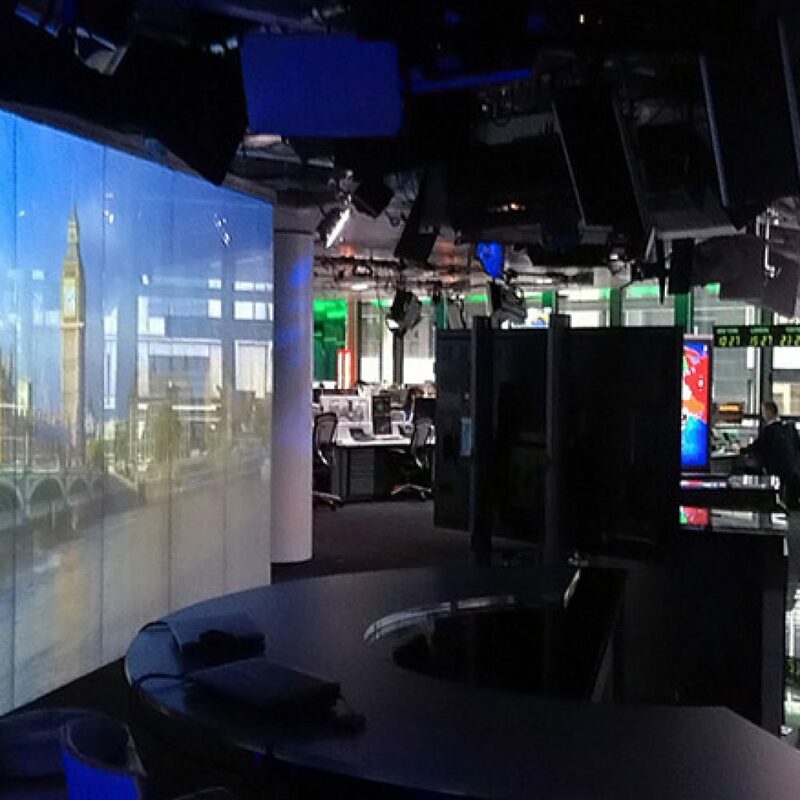 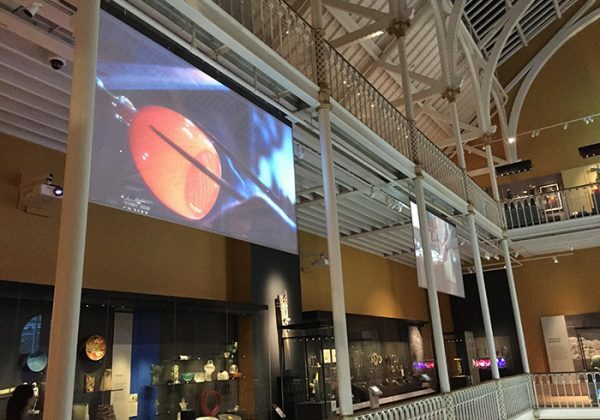 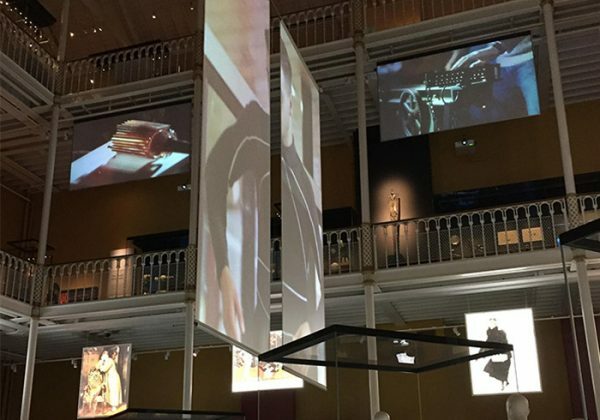 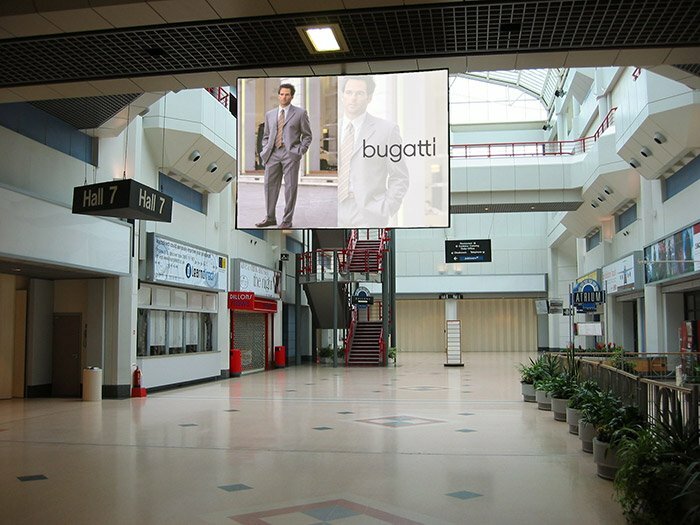 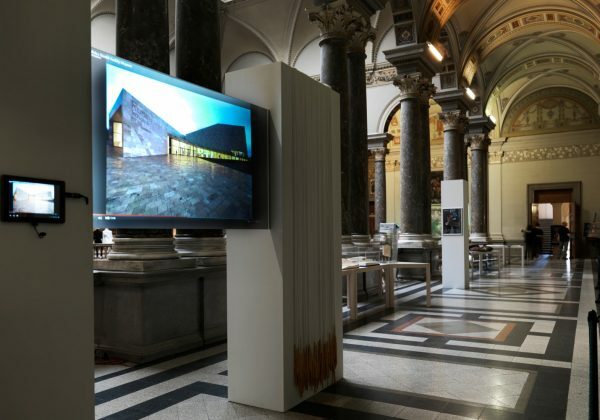 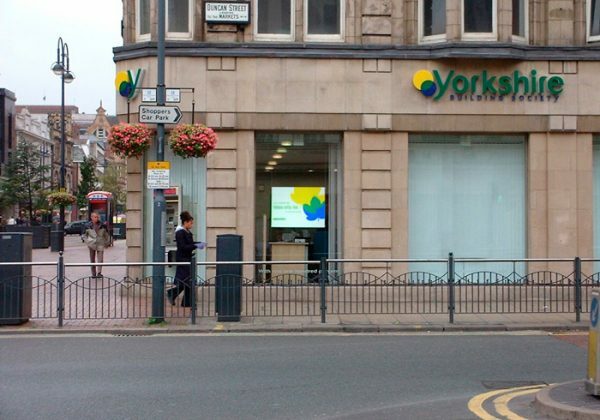 All screens have been designed to suit specific applications in a variety of lighting conditions and viewing environments to ensure the best possible visual performance and ROI. 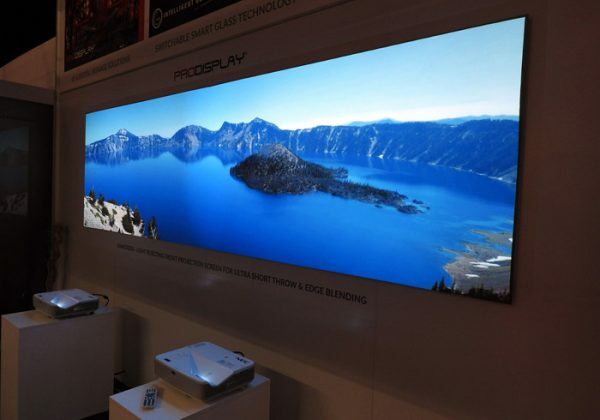 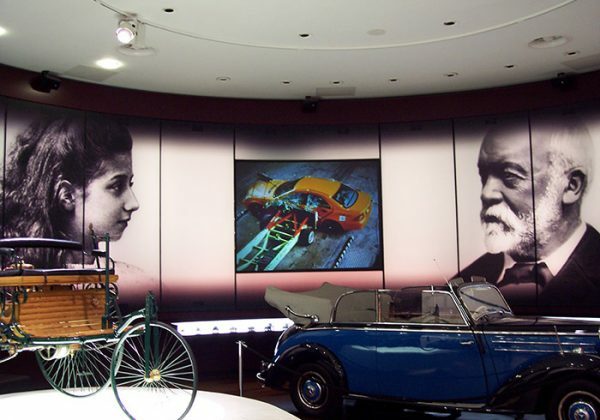 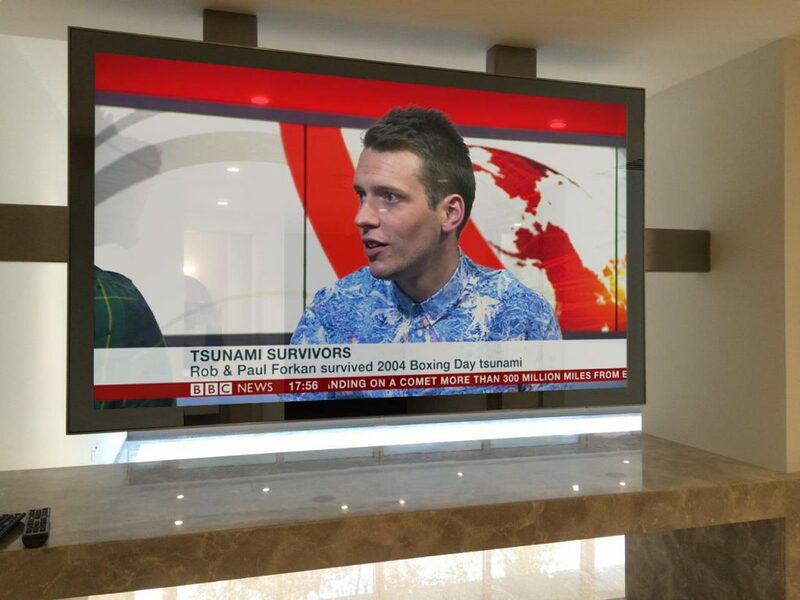 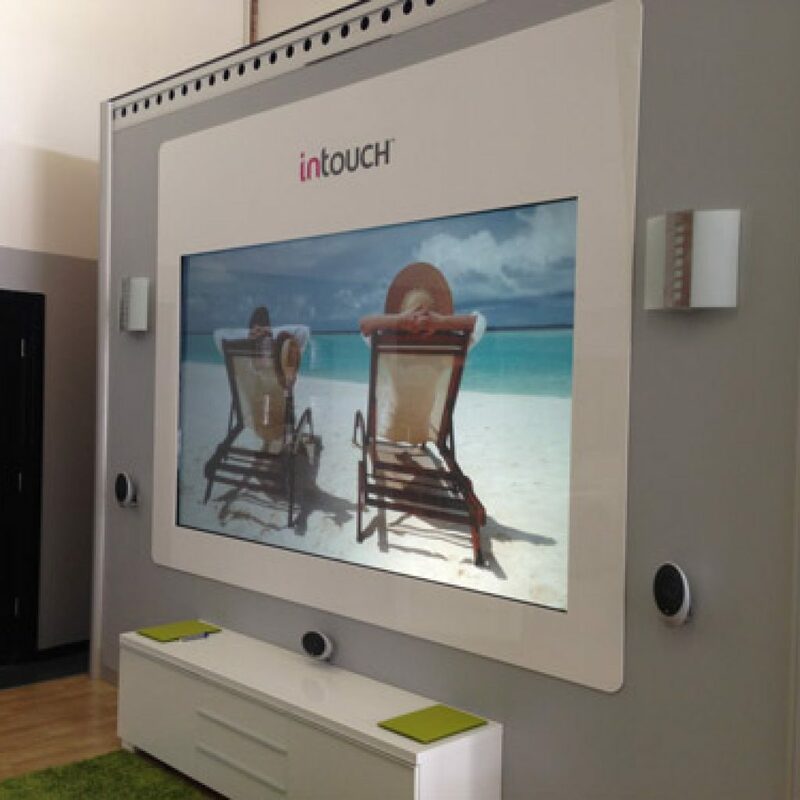 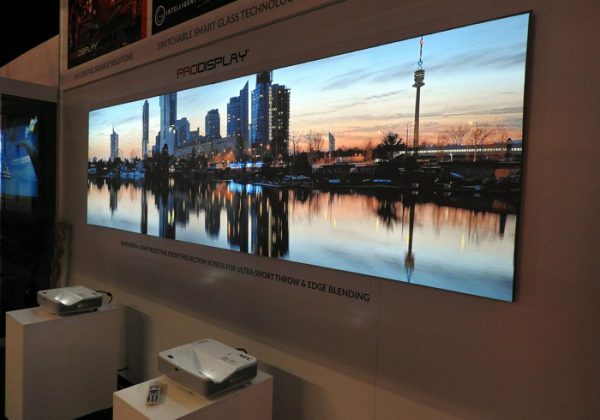 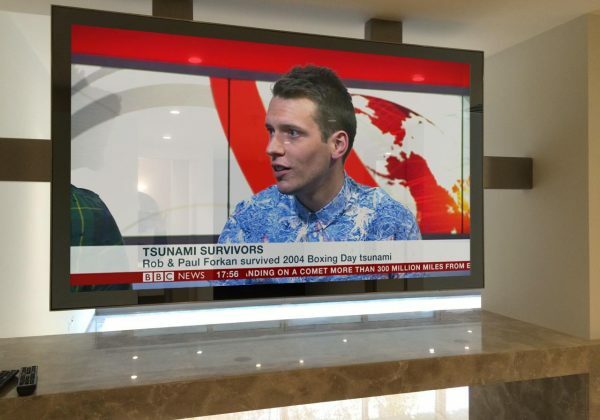 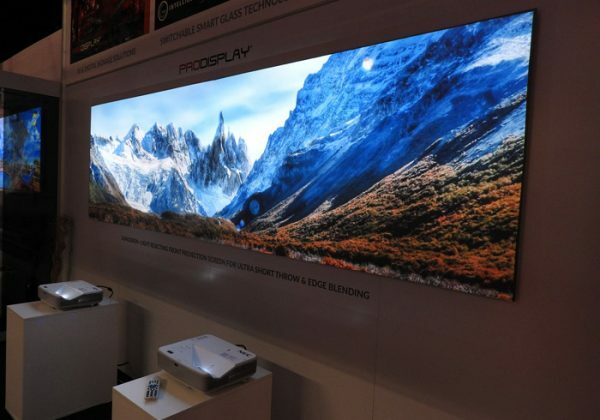 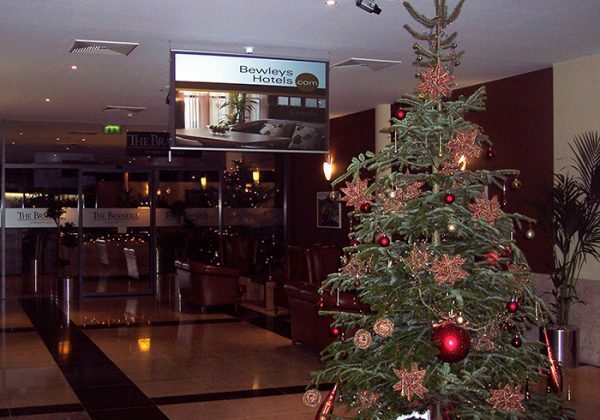 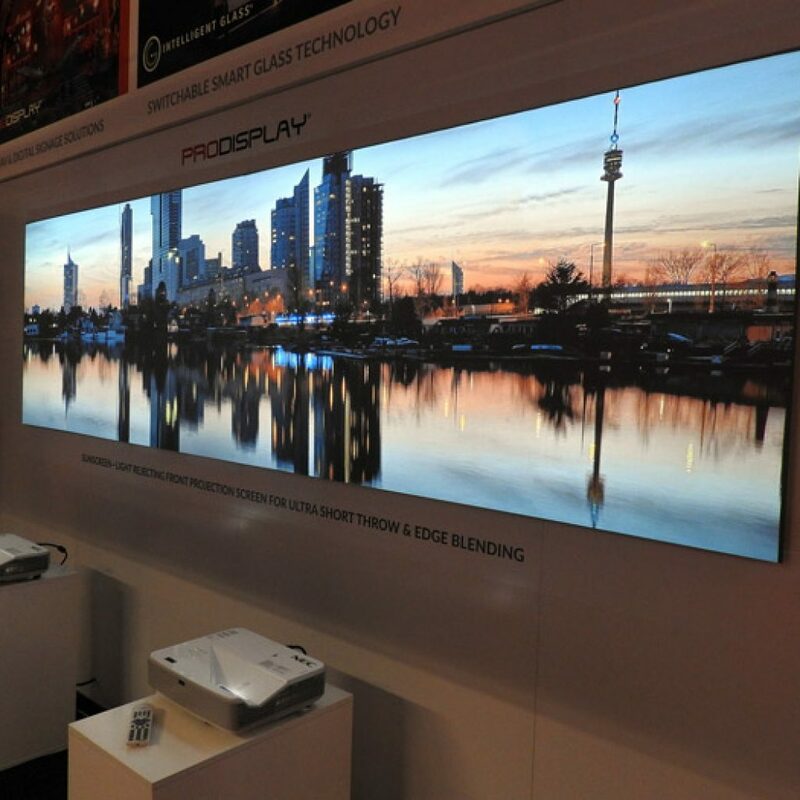 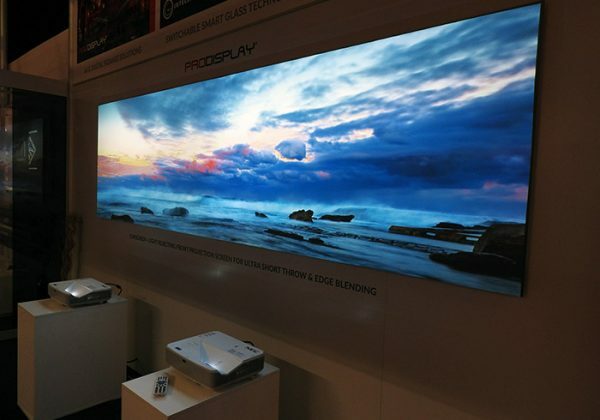 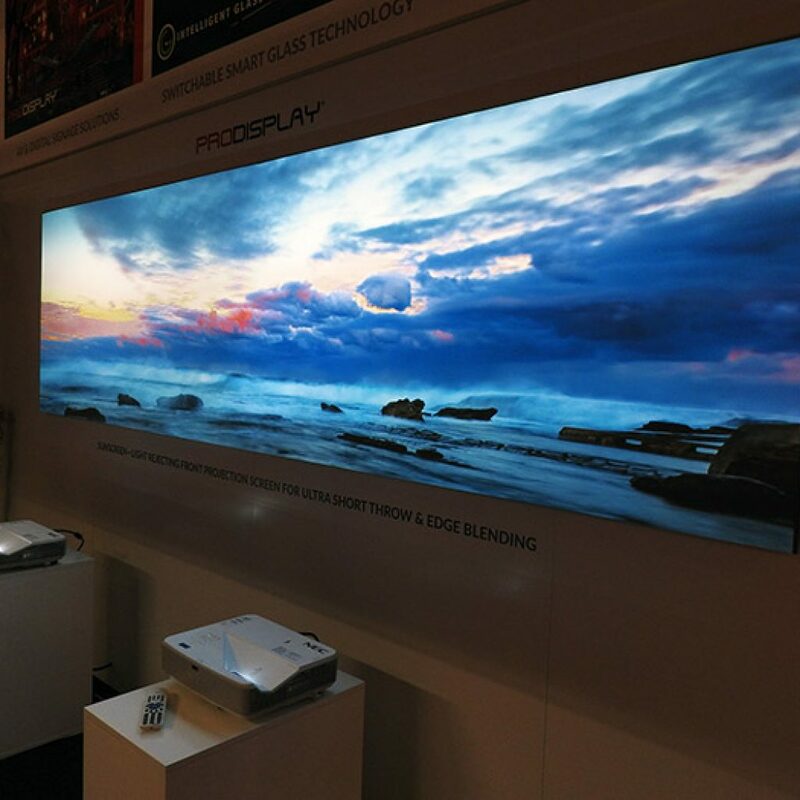 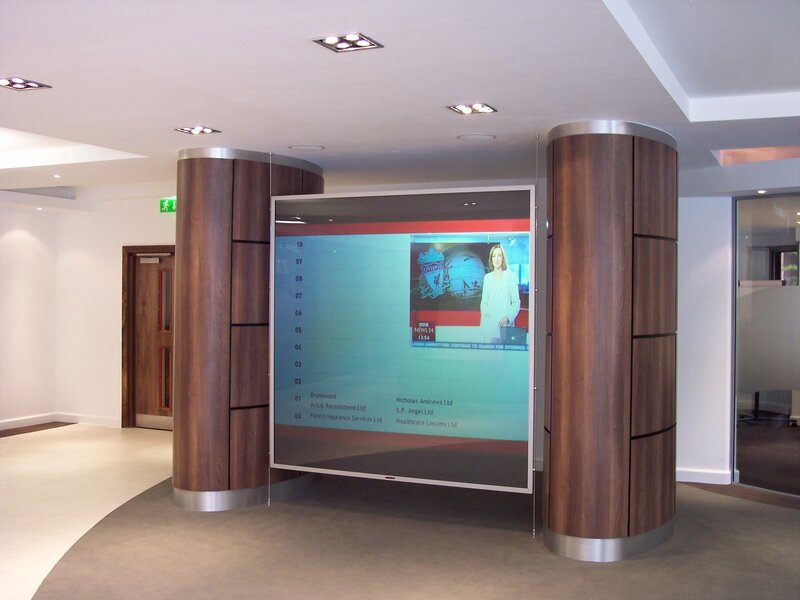 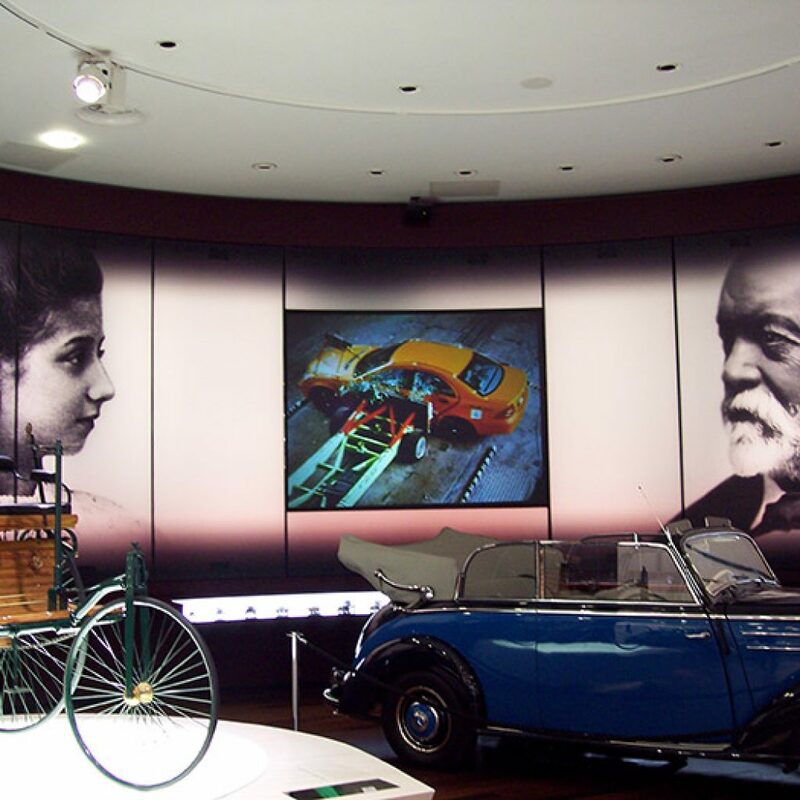 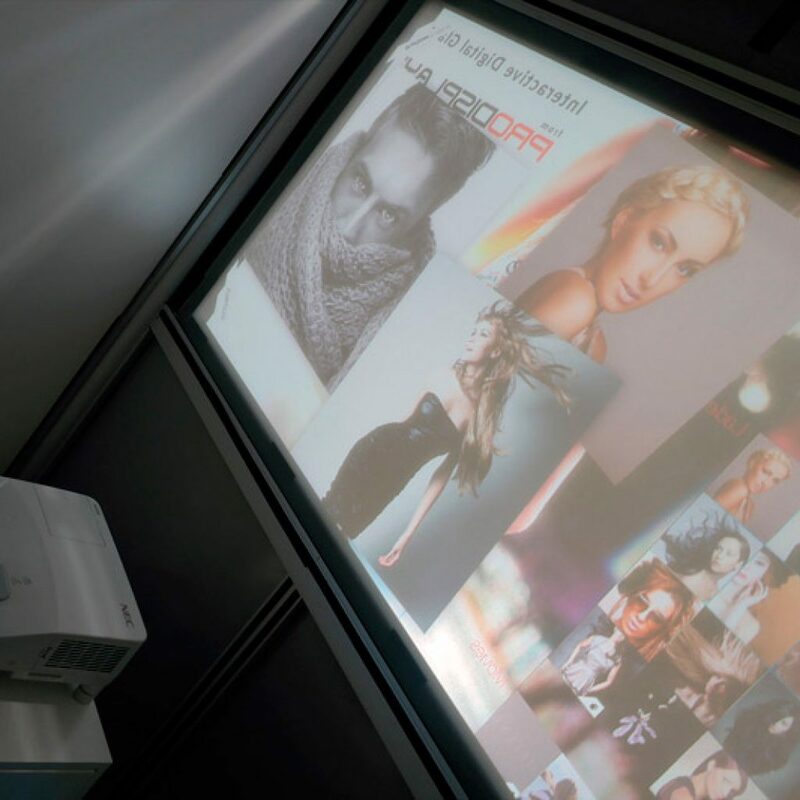 Whether its front or rear projection we supply a complete range of projection screens that include high brightness, daylight & sun-readable screens, transparent screens, switchable screens, mirror screens, interactive touch screens, shaped or curved screens and even screens that turn into speakers! 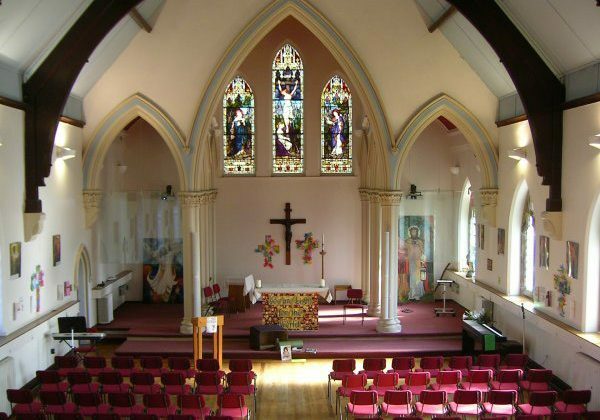 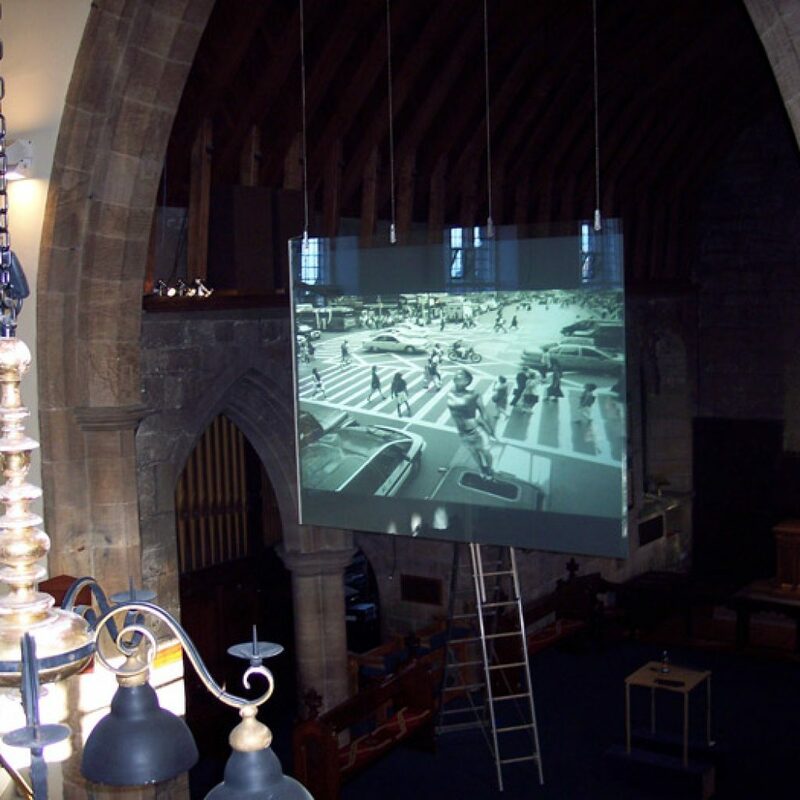 We supply all of our specialist projection screens with any projectors that are required, along with a professional installation service. 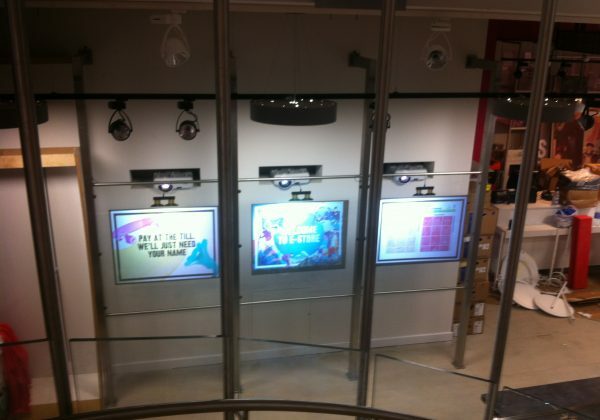 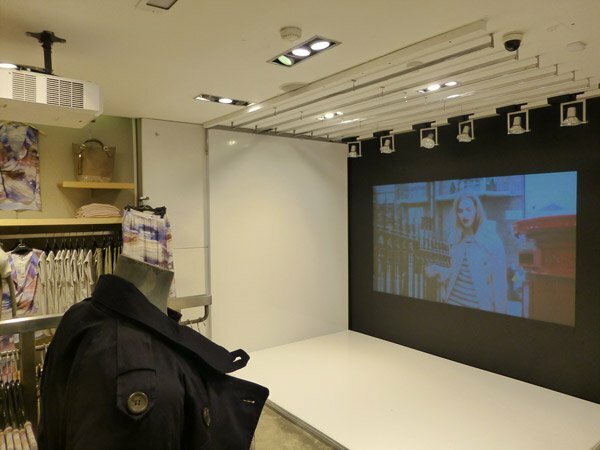 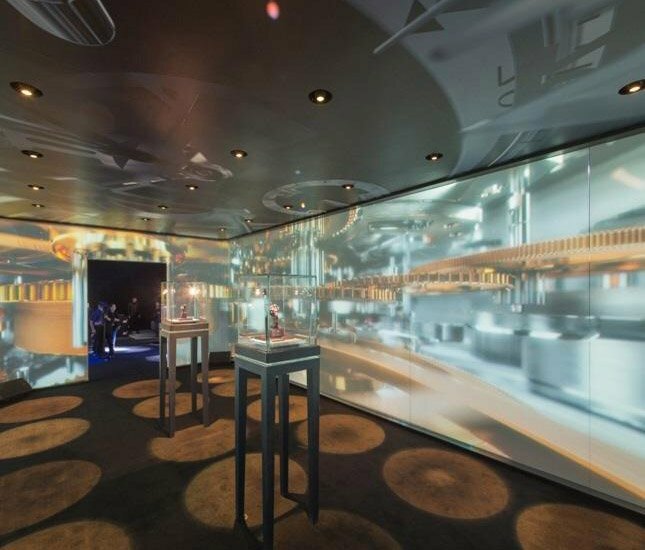 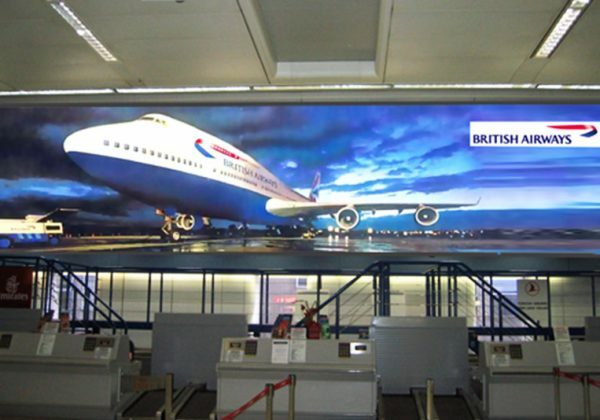 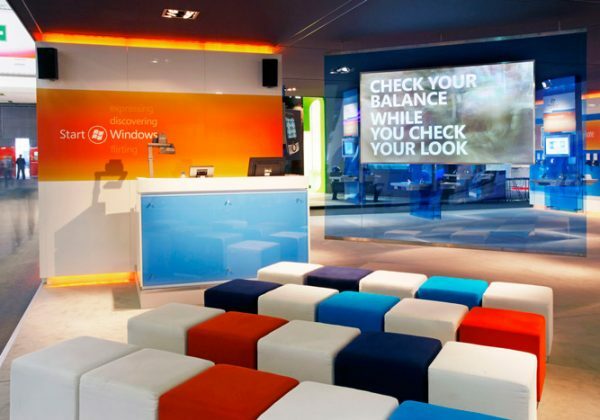 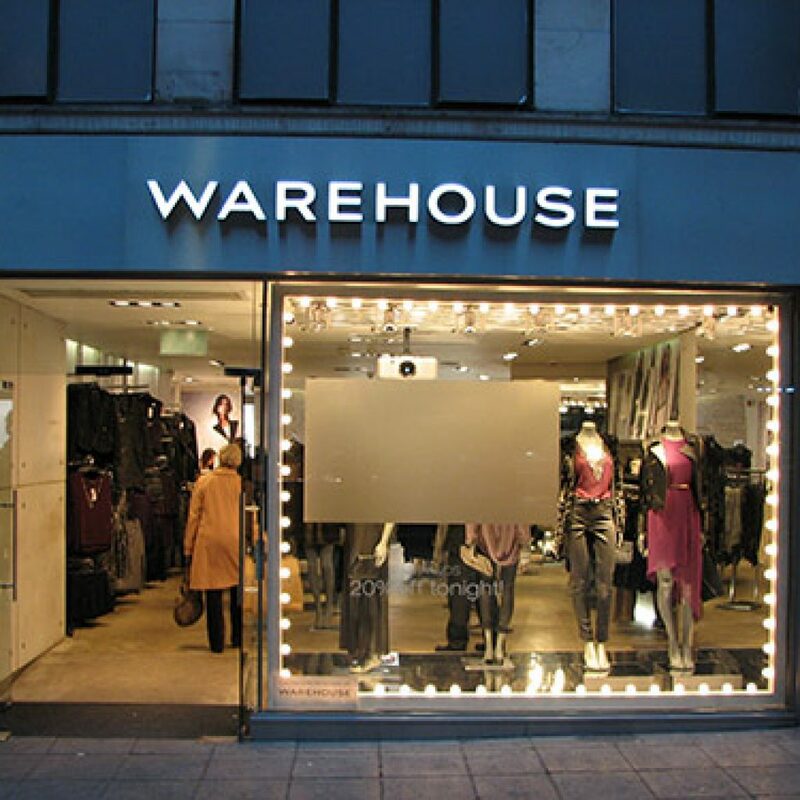 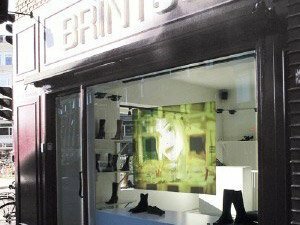 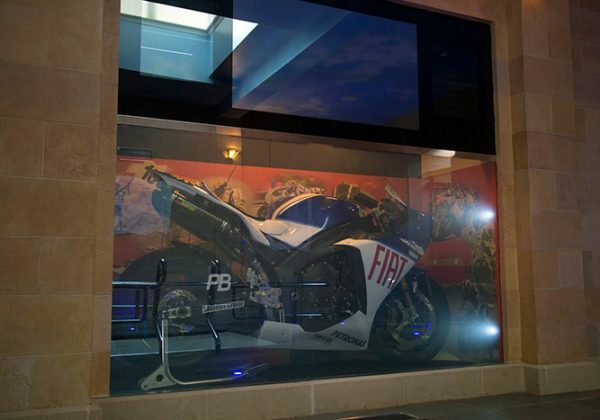 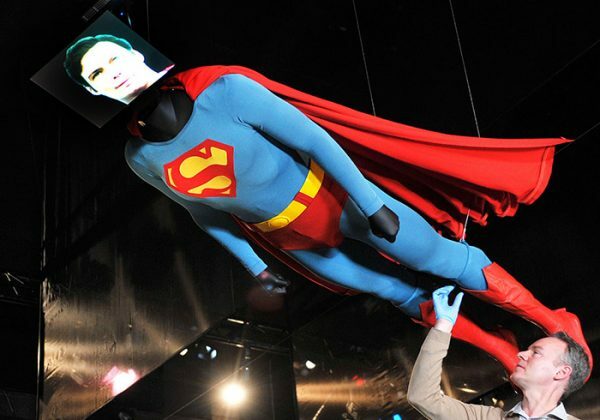 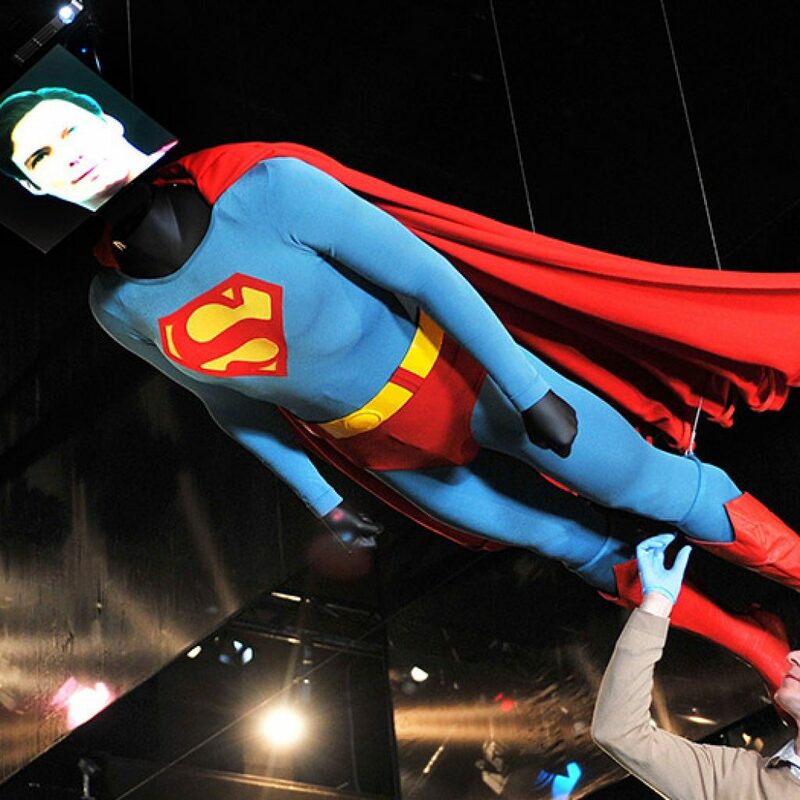 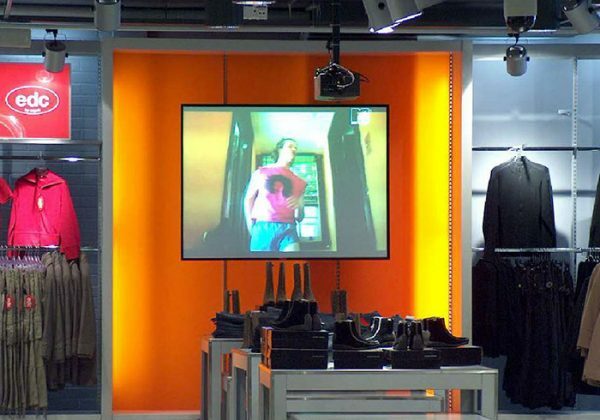 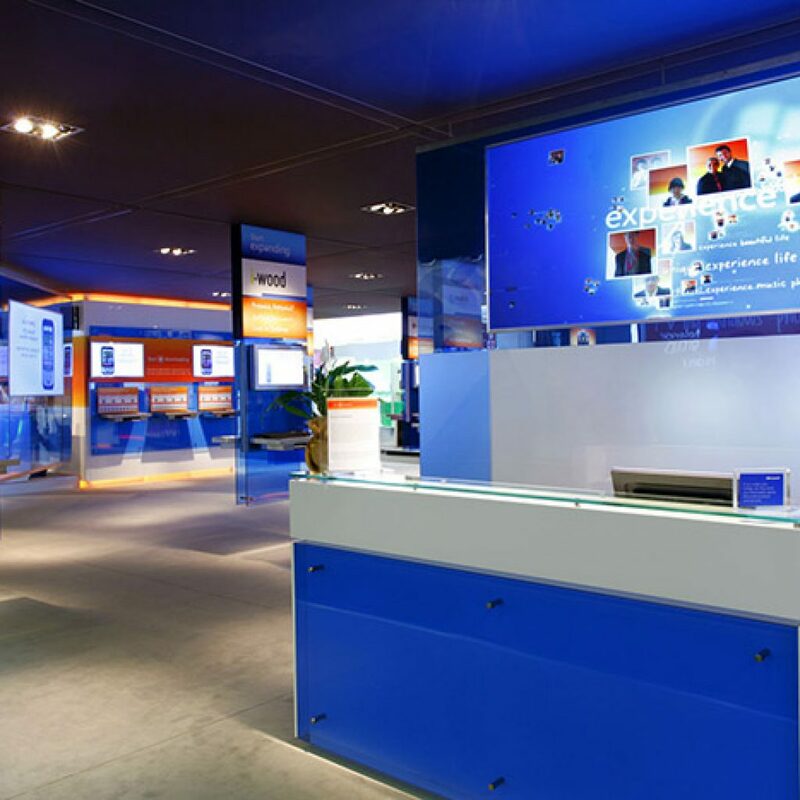 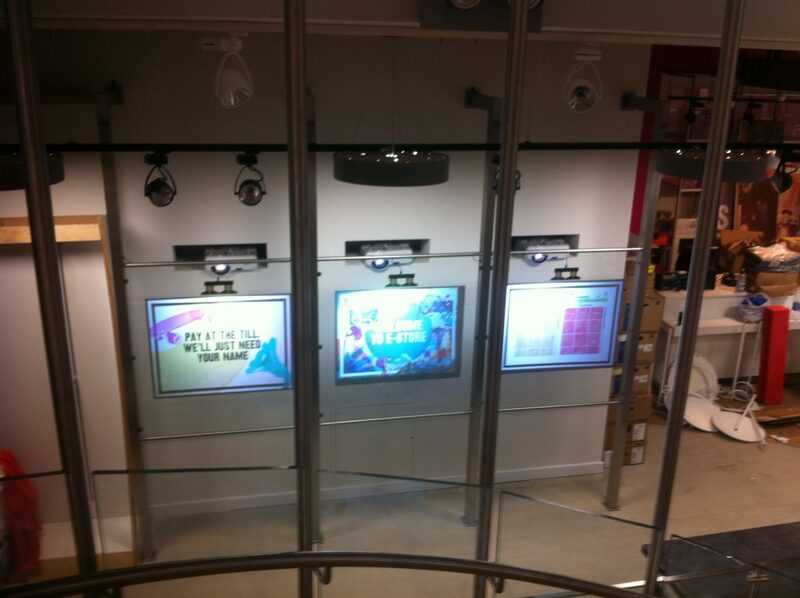 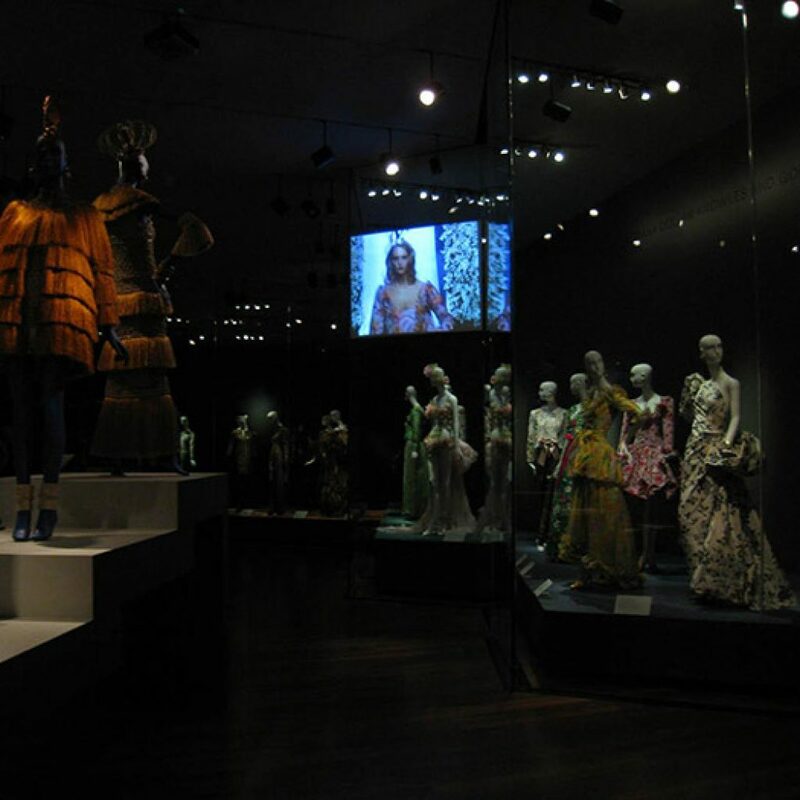 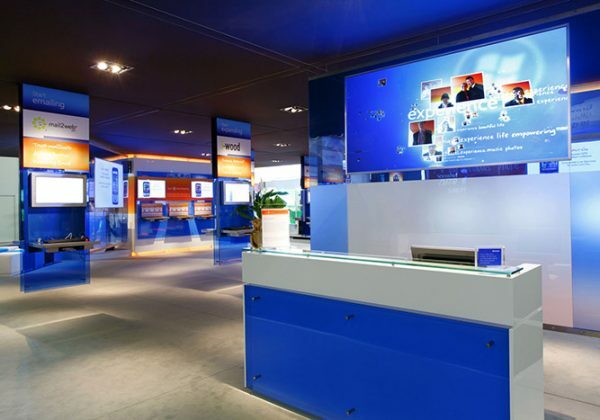 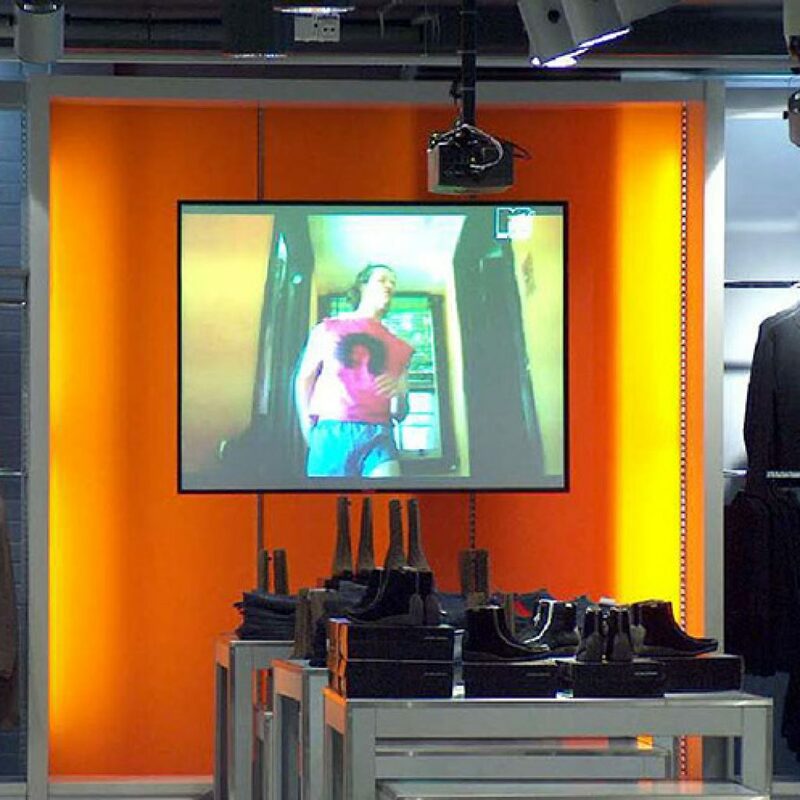 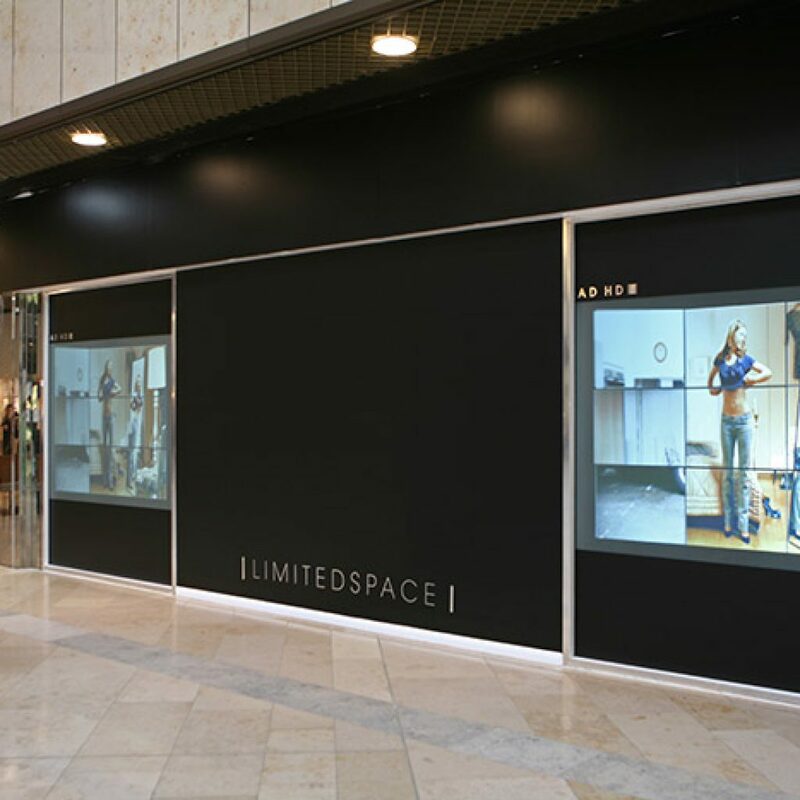 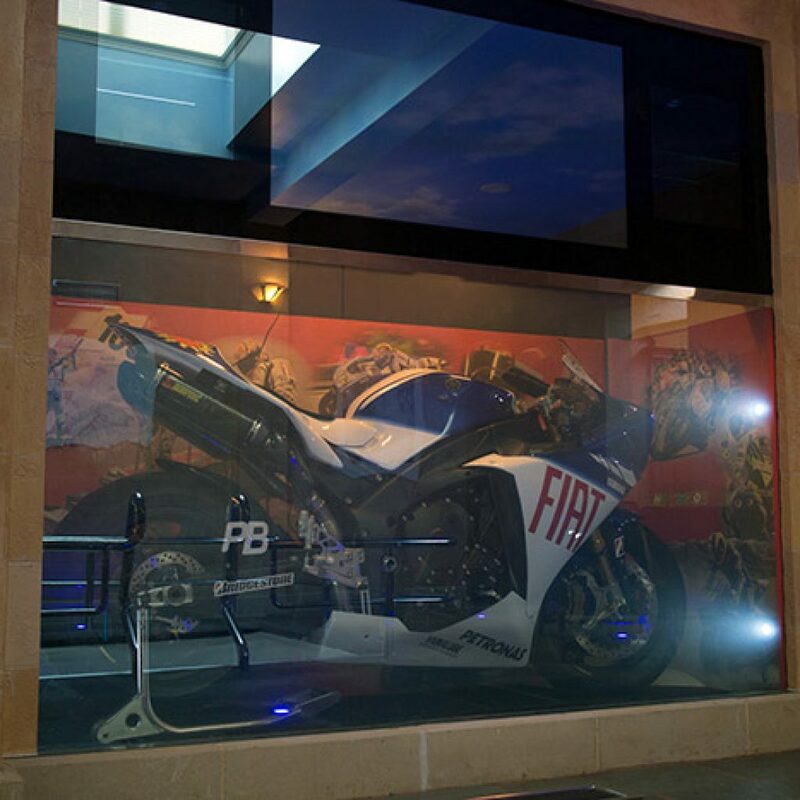 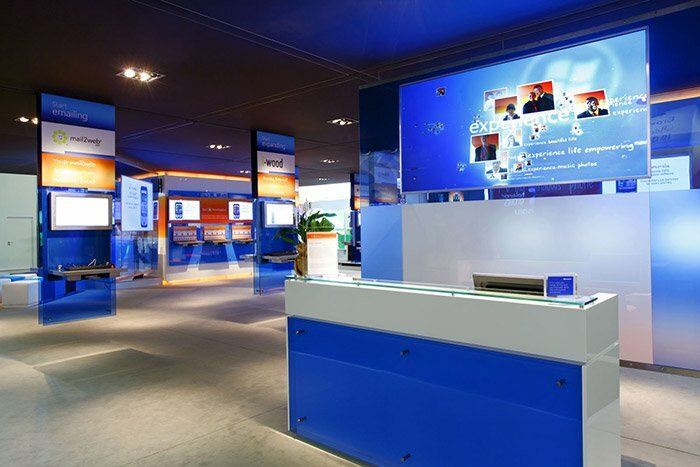 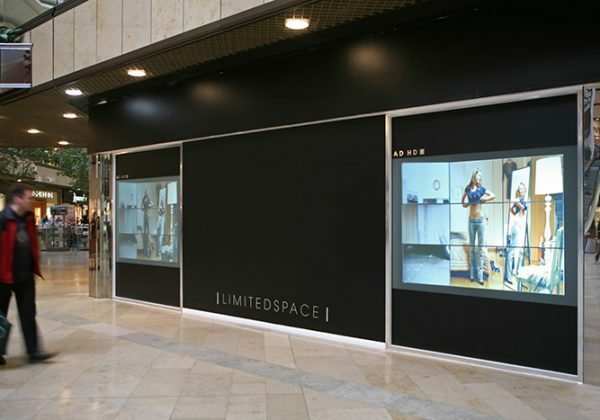 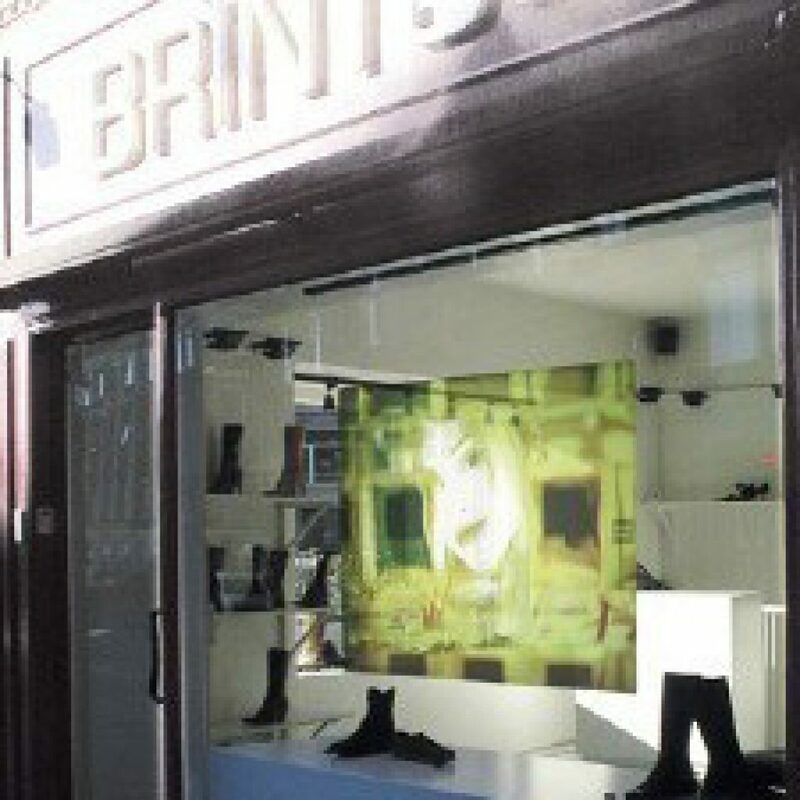 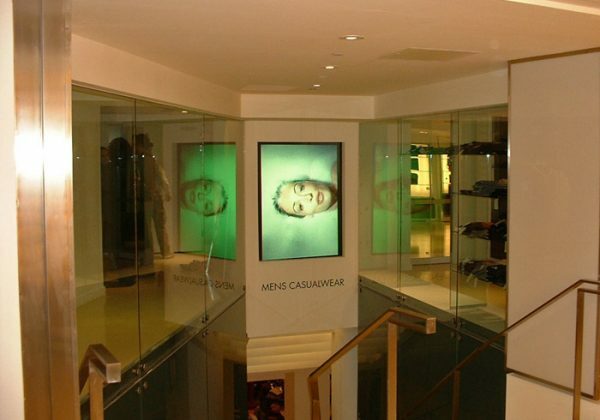 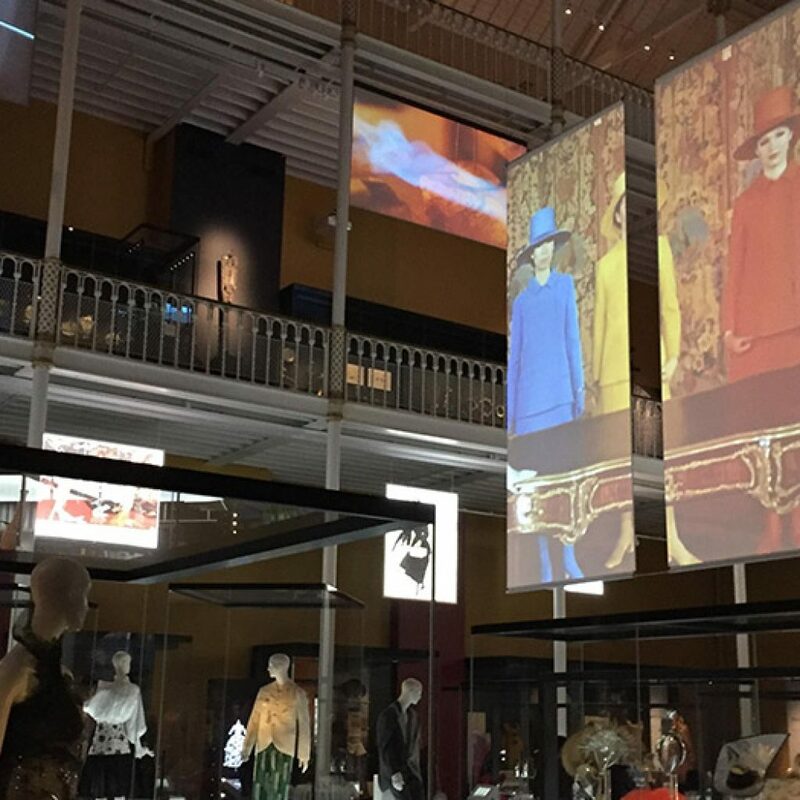 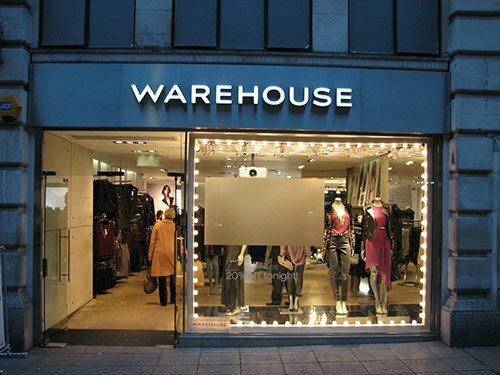 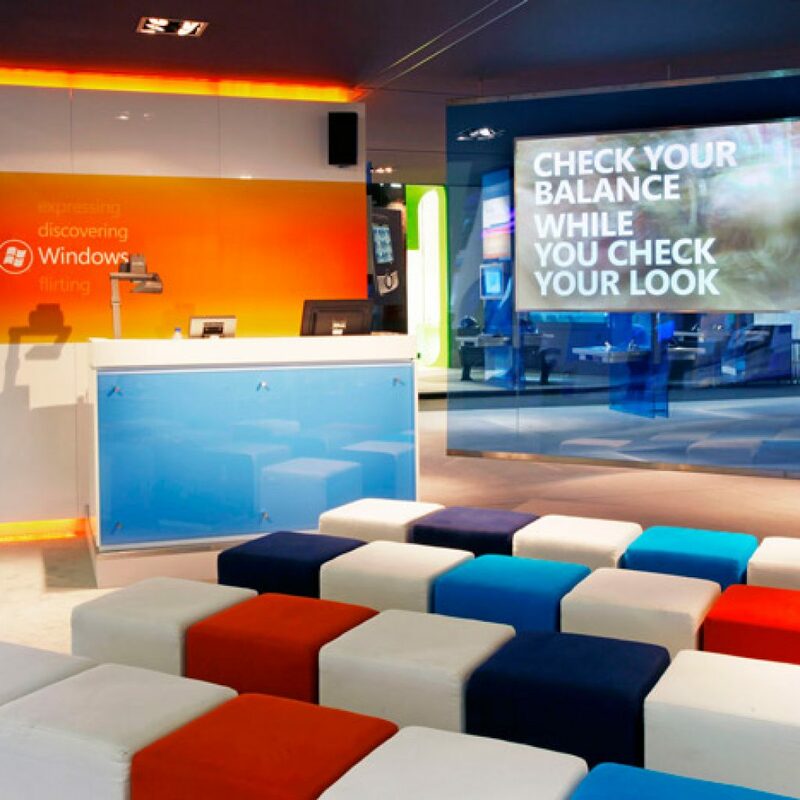 We also offer a bespoke design and build service that combines custom steel works & support structures with glass panels to create truly unique & interactive glass projection screens for today’s modern retailing environments. 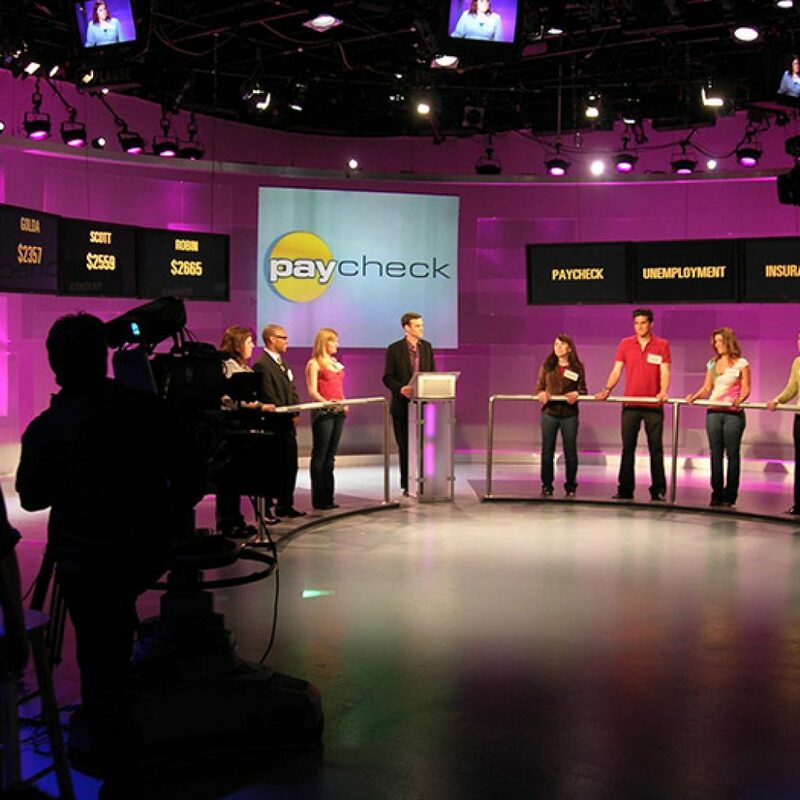 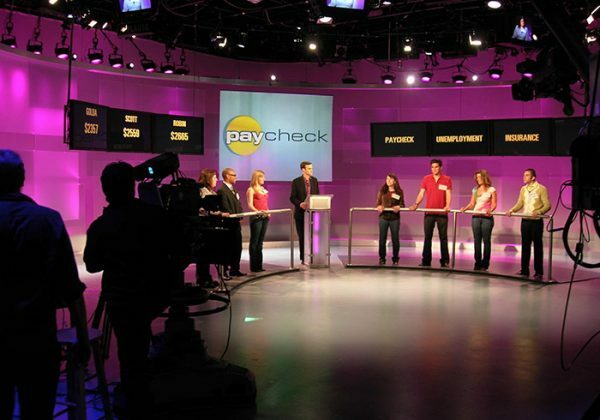 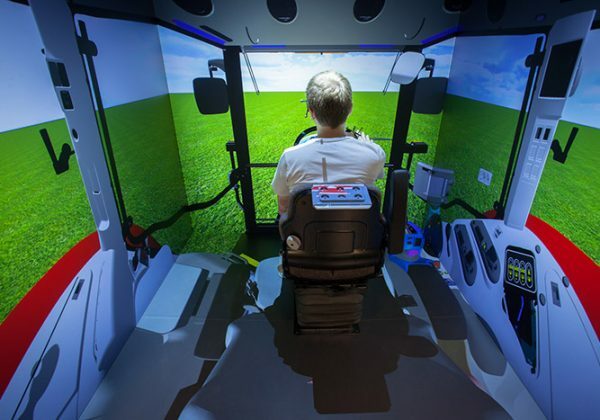 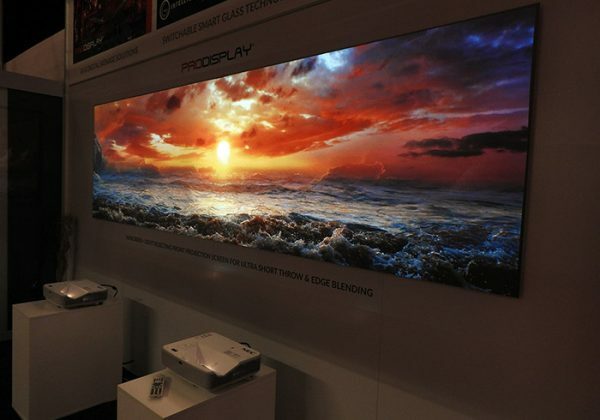 Would you prefer rear projection or front projection? 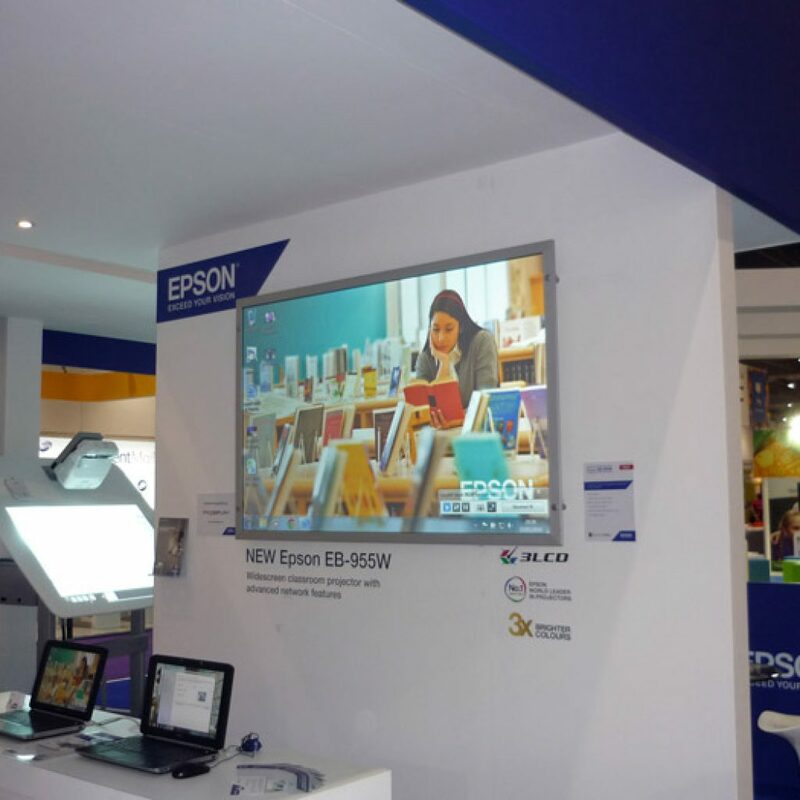 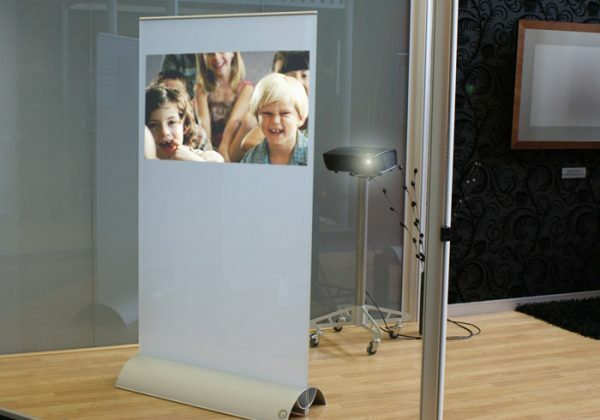 Diffusion screens offer up to 10 times the brightness levels and perfect image uniformity without any hot-spots. 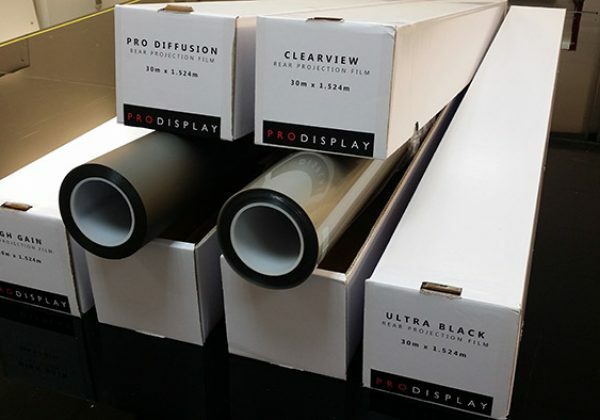 The Pro Diffusion screen is neutral grey in colour and combines high brightness levels with high contrast levels and wide 180° viewing angles. 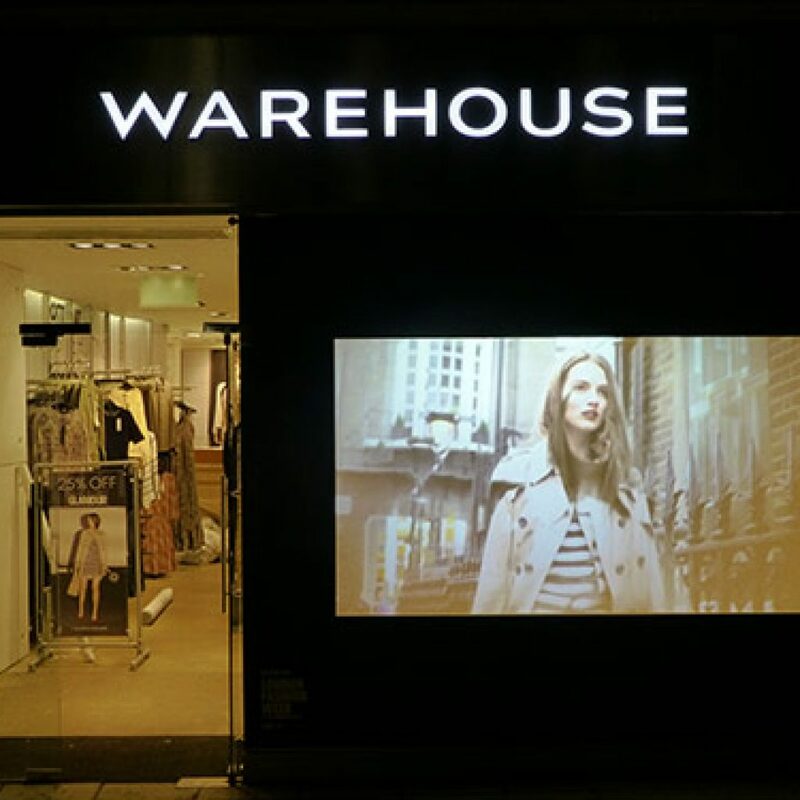 As a result these screens offer excellent colour reproduction & can recreate a high definition image, making it the ideal choice for all video and advertising applications. 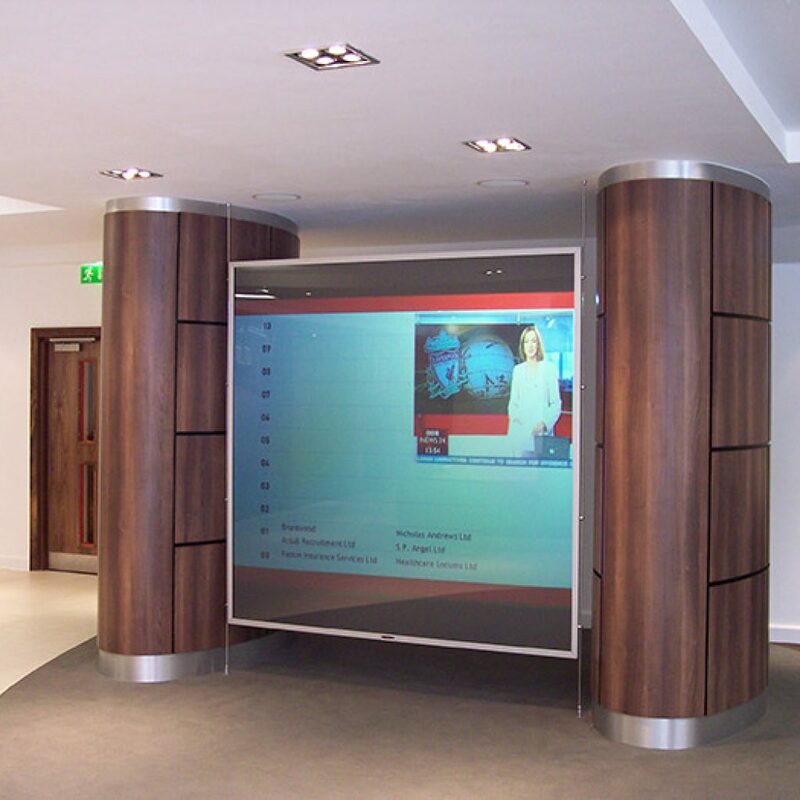 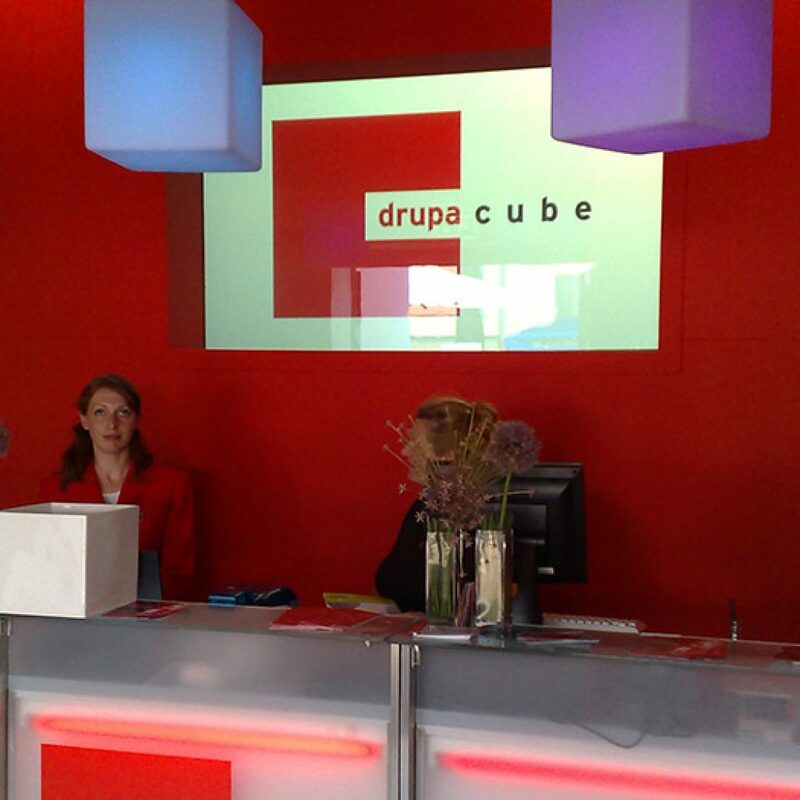 Pro Diffusion screens are suitable for standard or short throw projection and are available in rigid acrylic or self-adhesive film. 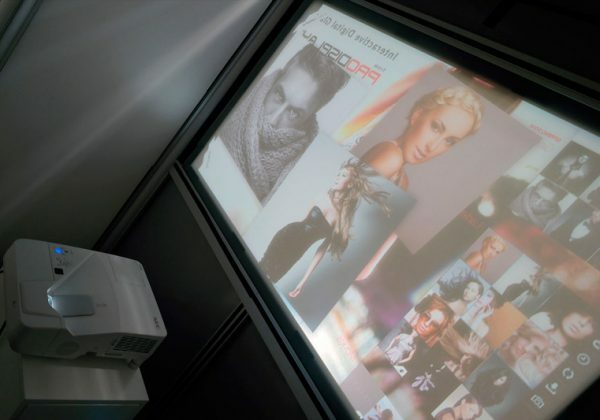 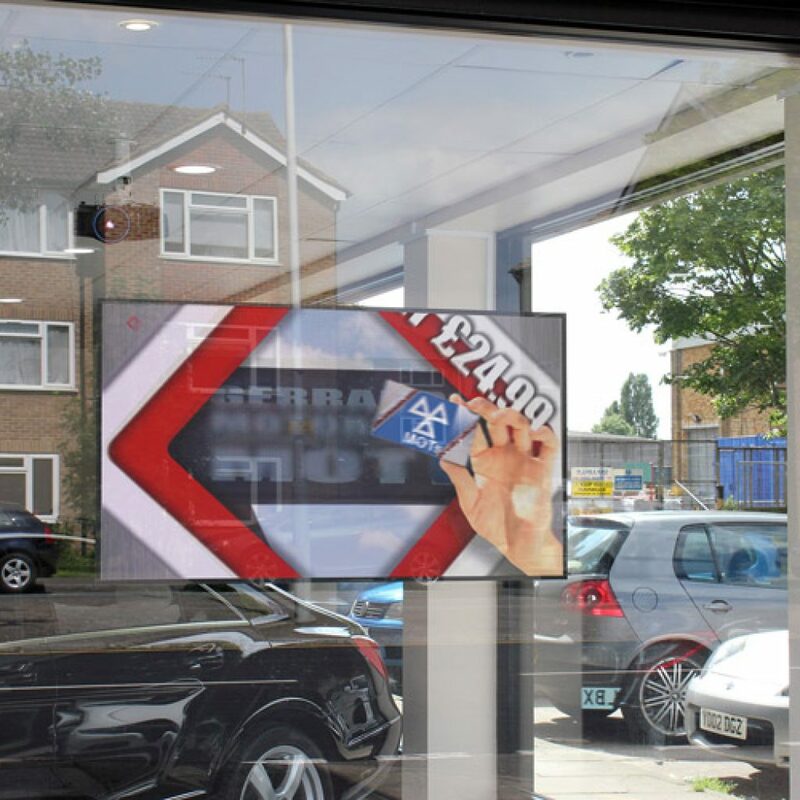 Also available with ‘through glass’ touchscreen technology (PCAP) with a choice of either single / dual touch or multi-touch foils for interactive window displays. 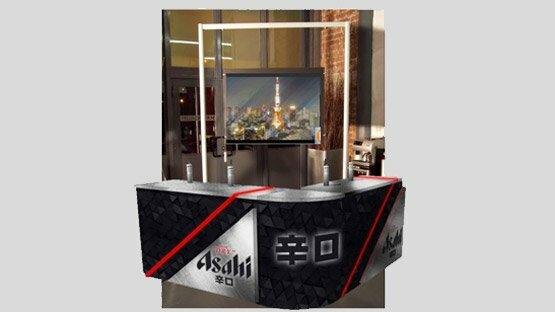 Available in sizes up to 8000 x 3000mm in a lightweight acrylic, or 6000 x 3000mm in an optical glass, these screens are designed to create true larger than life visual experiences. 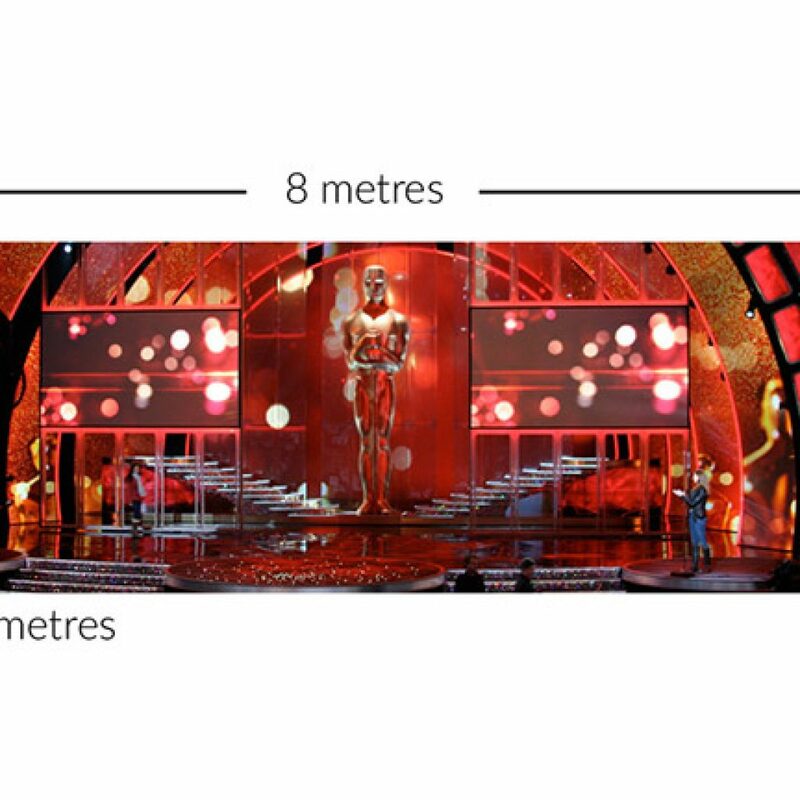 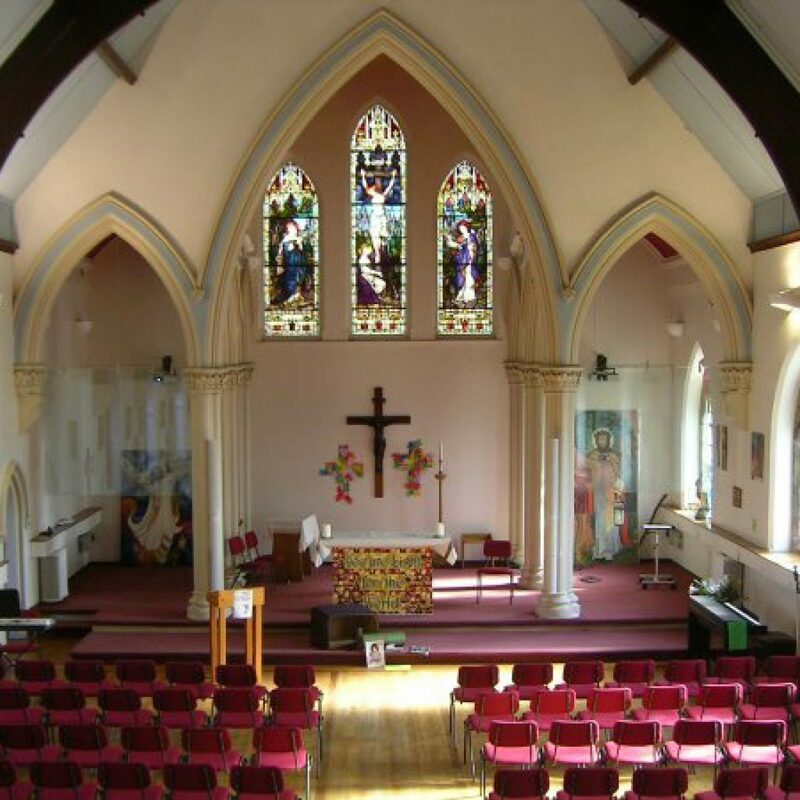 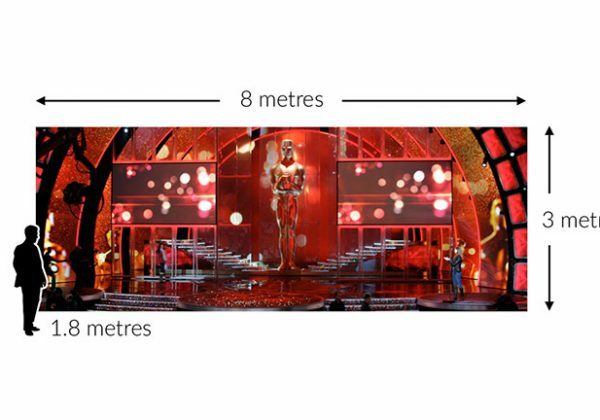 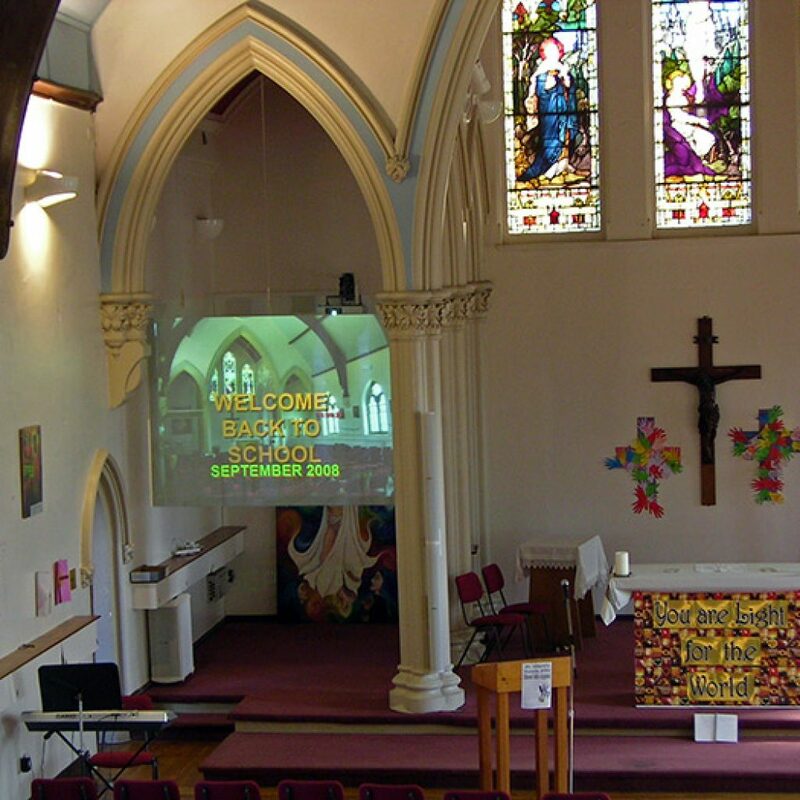 Available in rear or front projection and also suitable for use with short throw projectors where space is limited. 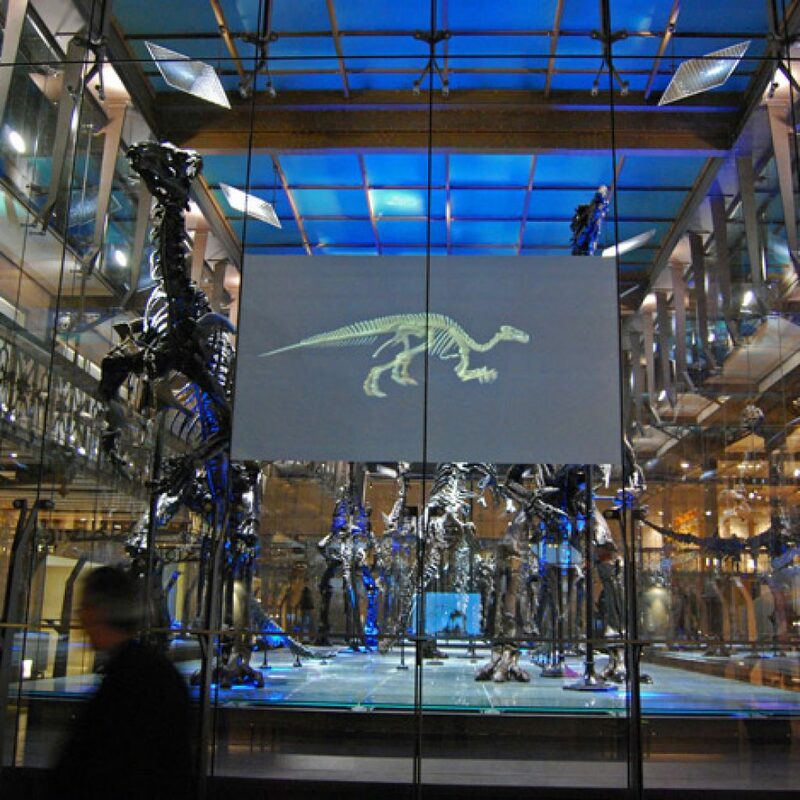 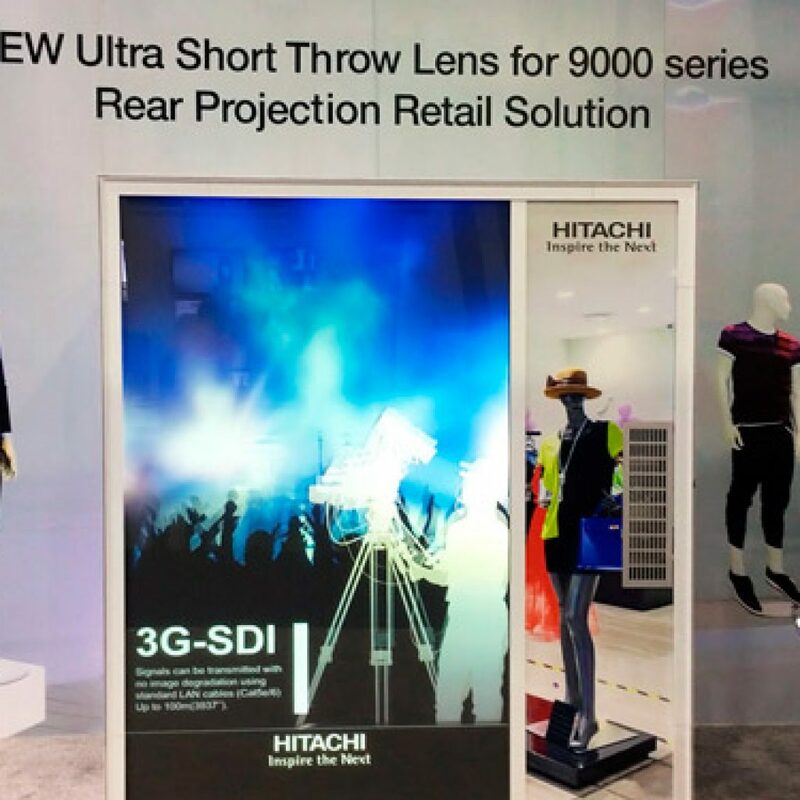 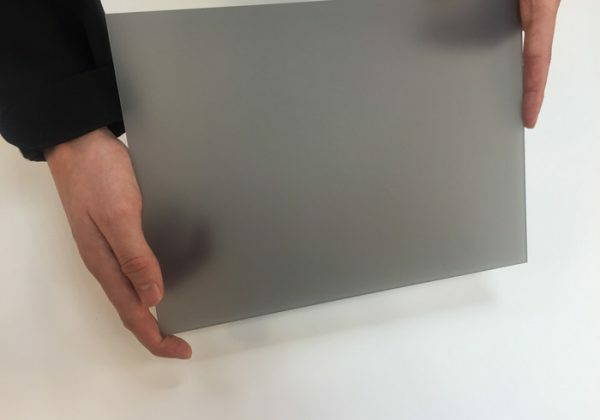 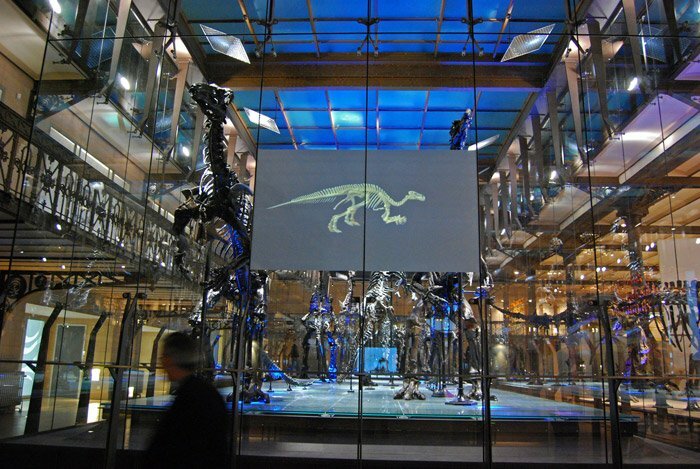 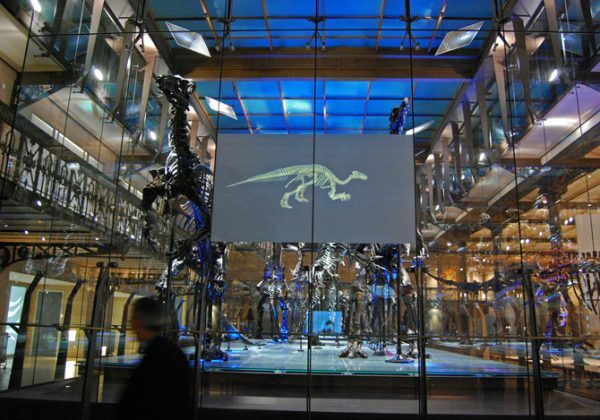 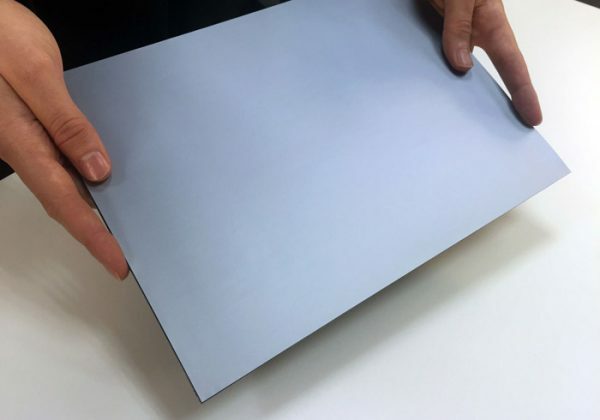 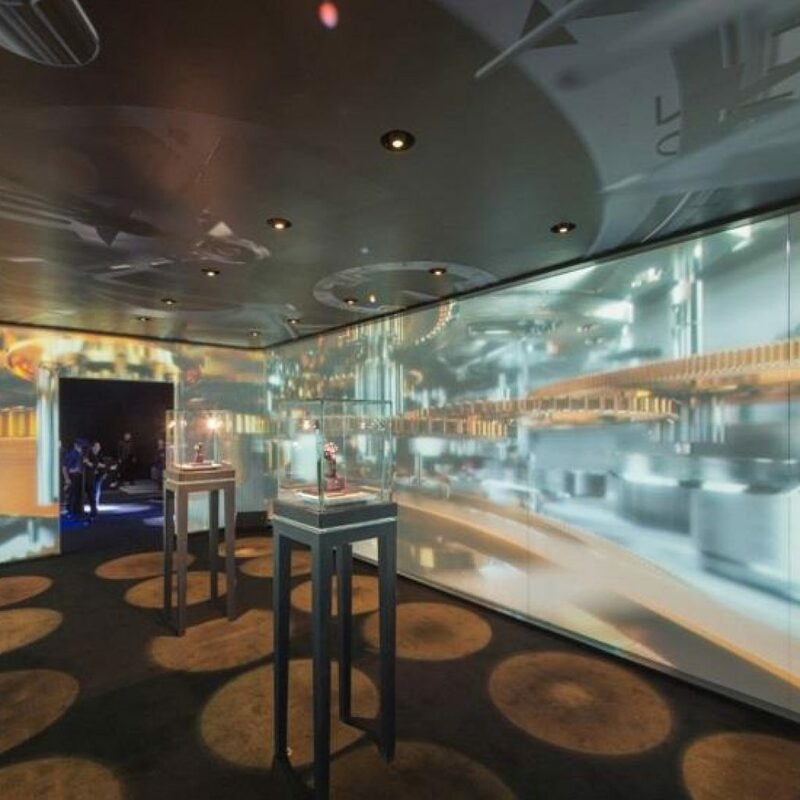 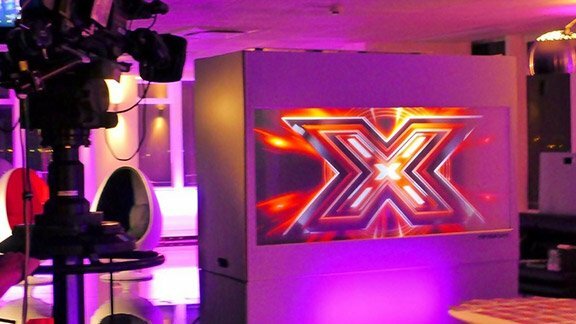 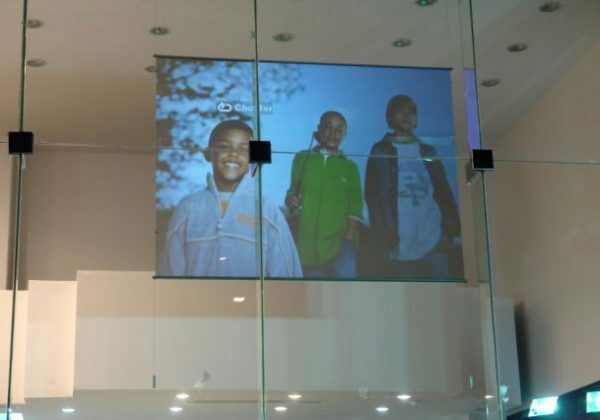 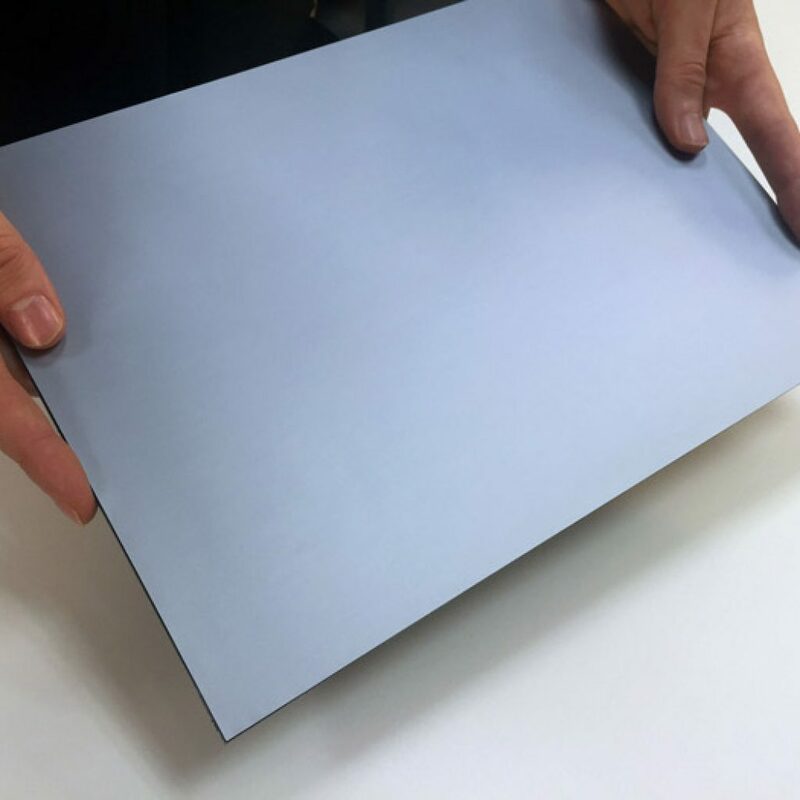 Next generation Ultra short throw projection screen that is manufactured by a special process that coats an advanced optical projection layer directly down onto toughened glass. 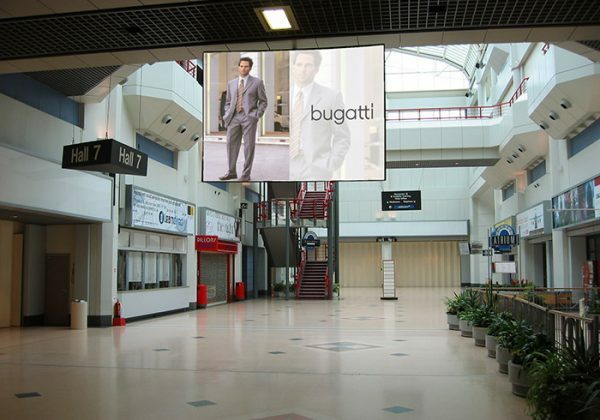 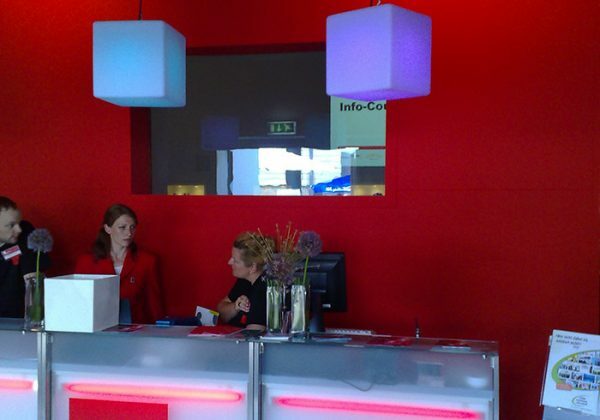 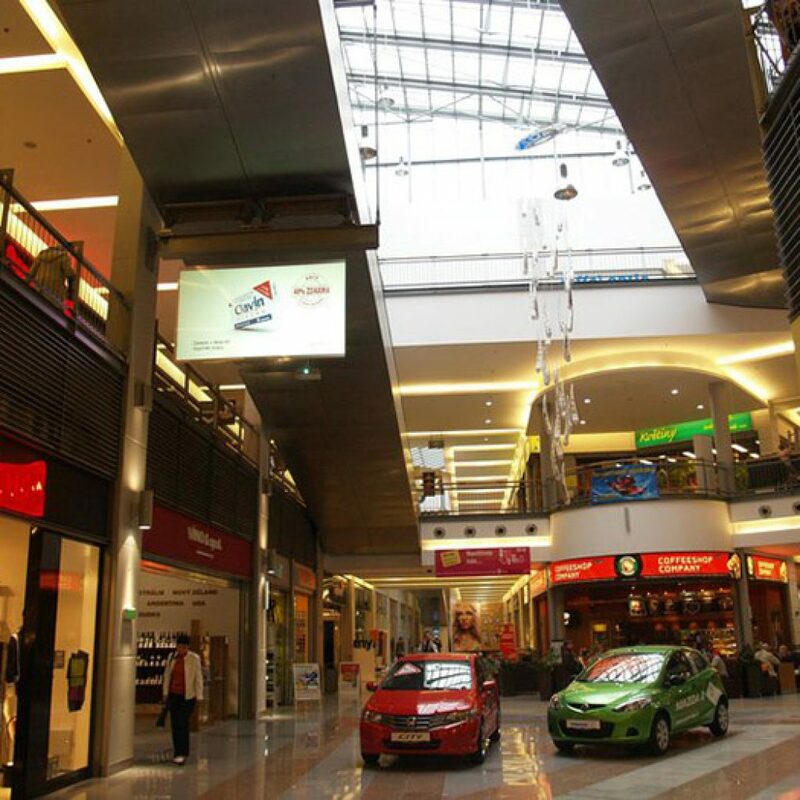 A neutral grey colour offering high brightness and unsurpassed contrast even in brightly lit environments. 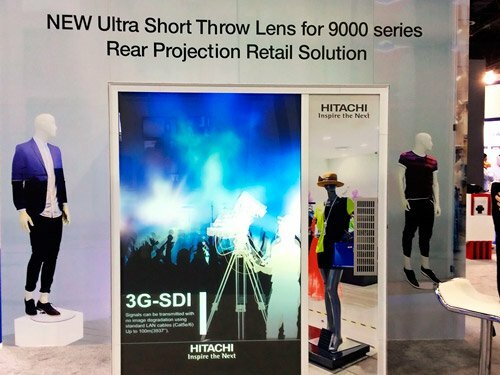 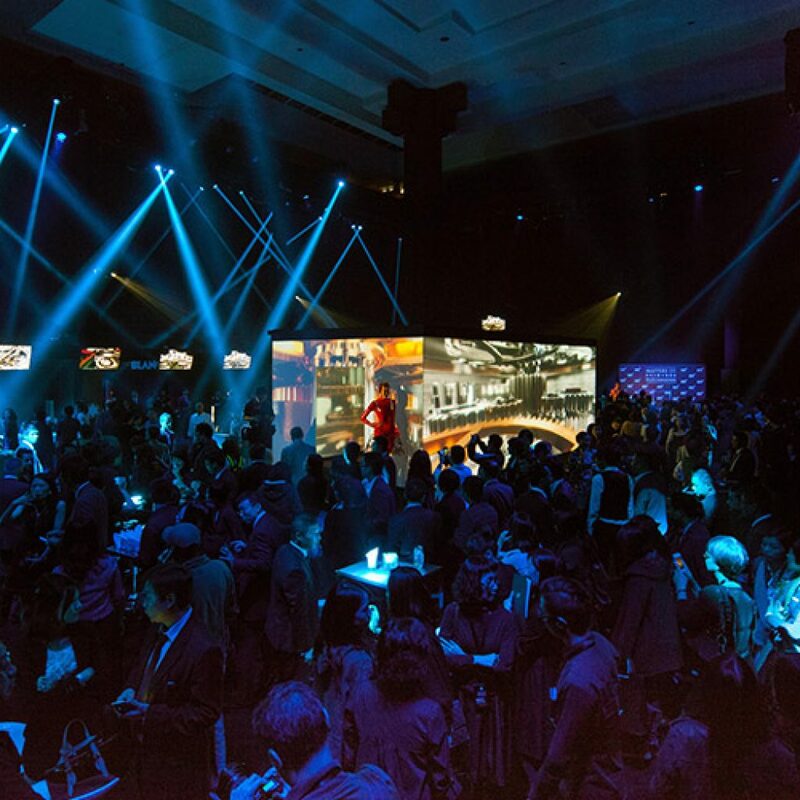 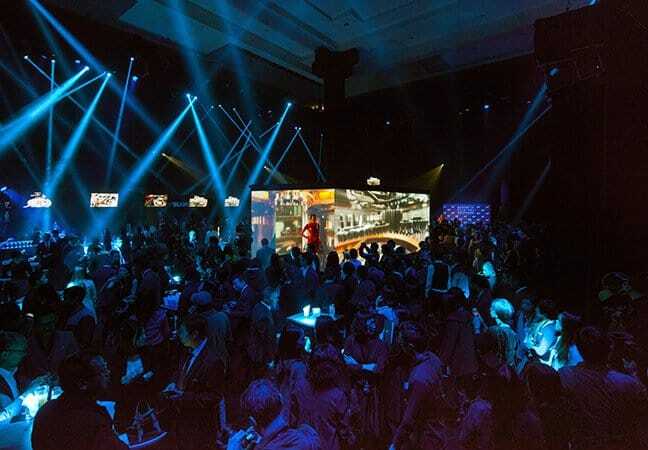 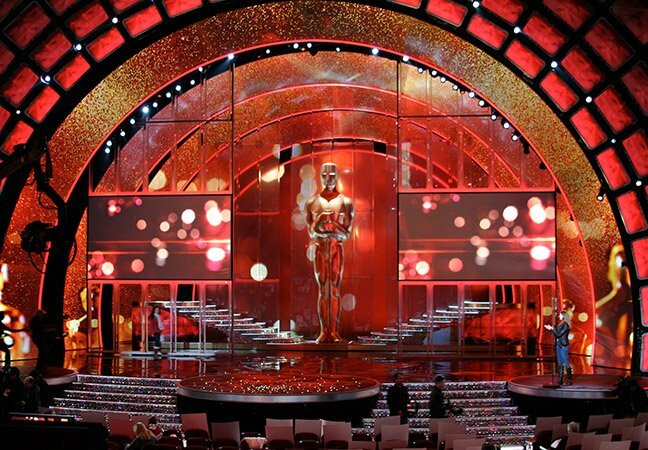 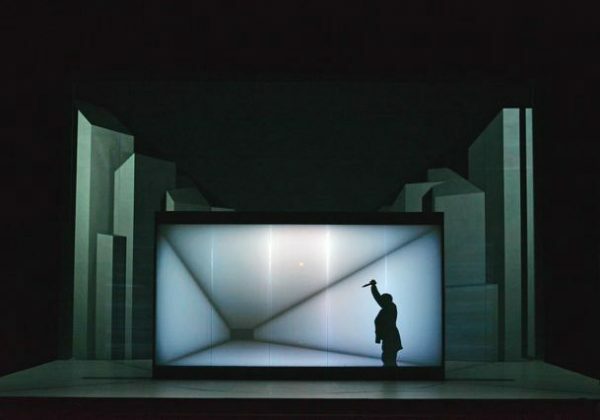 This unique technology is designed specifically for ultra-short throw rear projection, spreading the light evenly into each corner without creating hot spots. 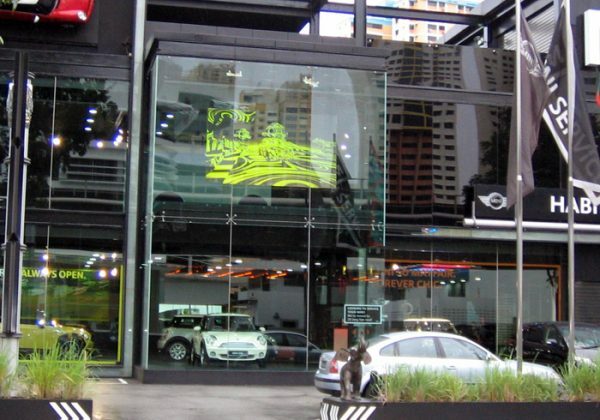 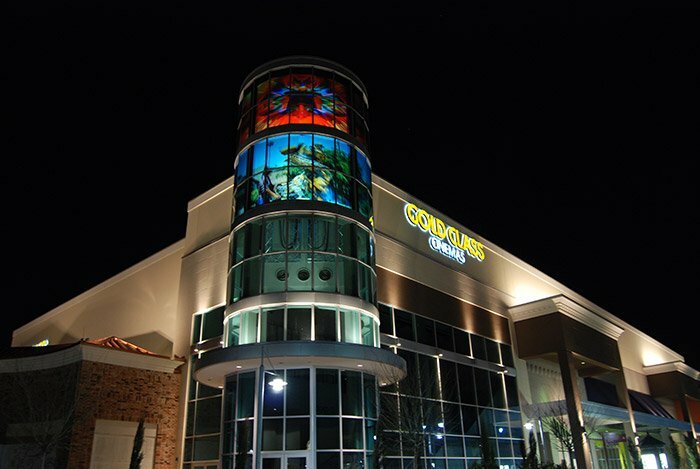 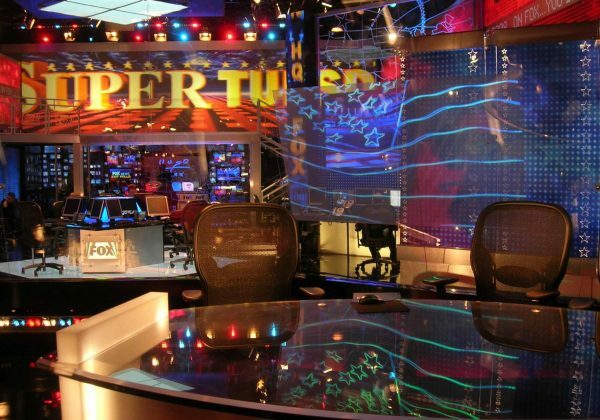 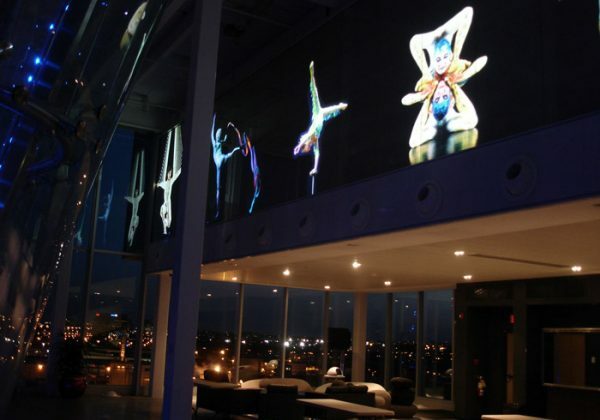 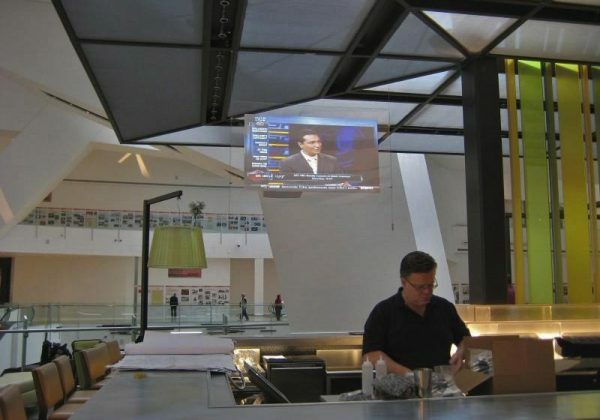 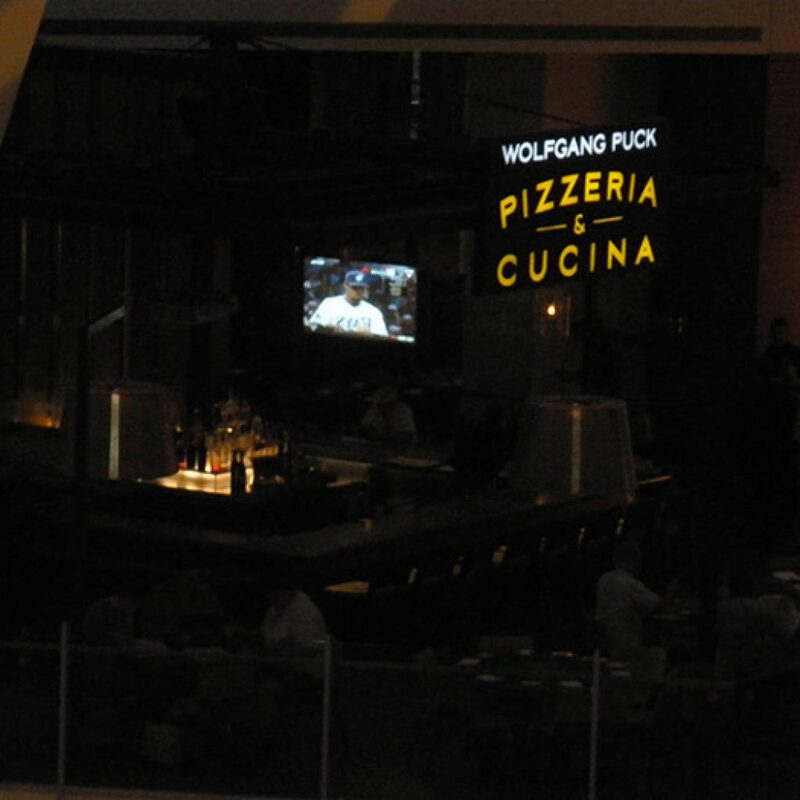 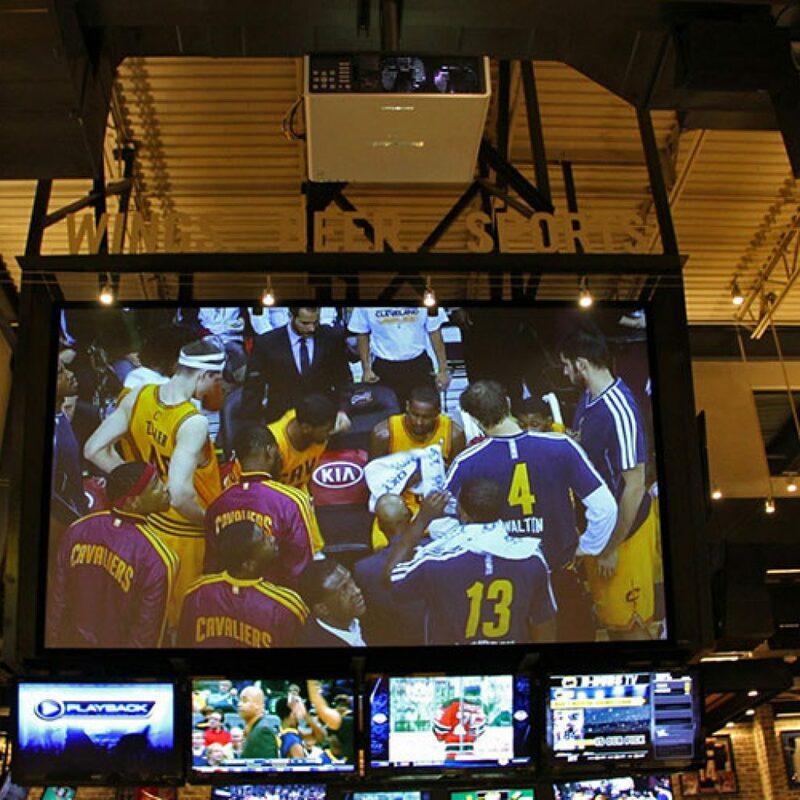 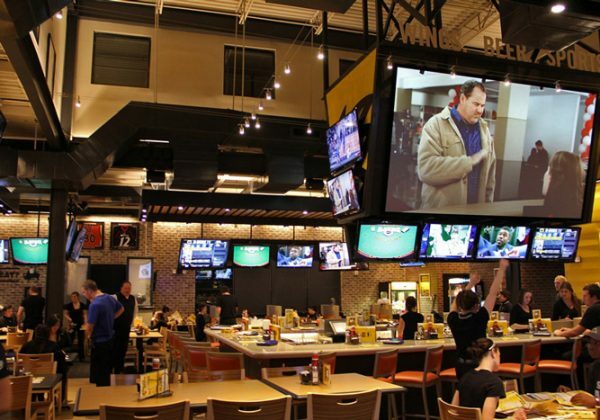 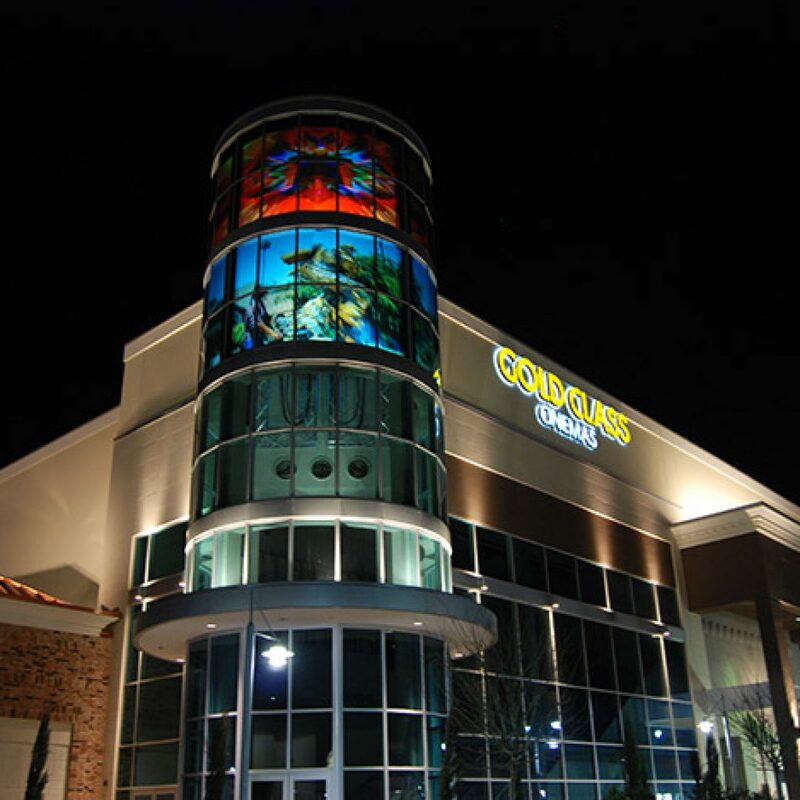 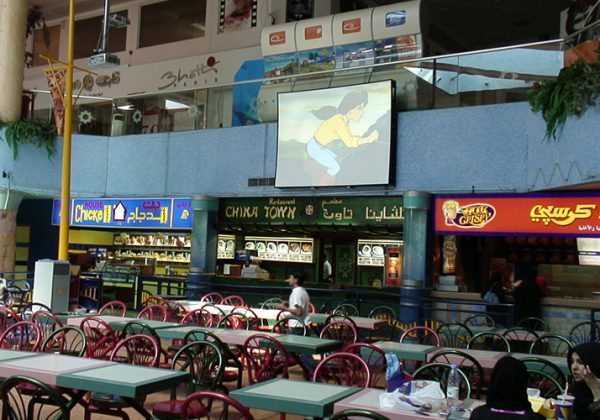 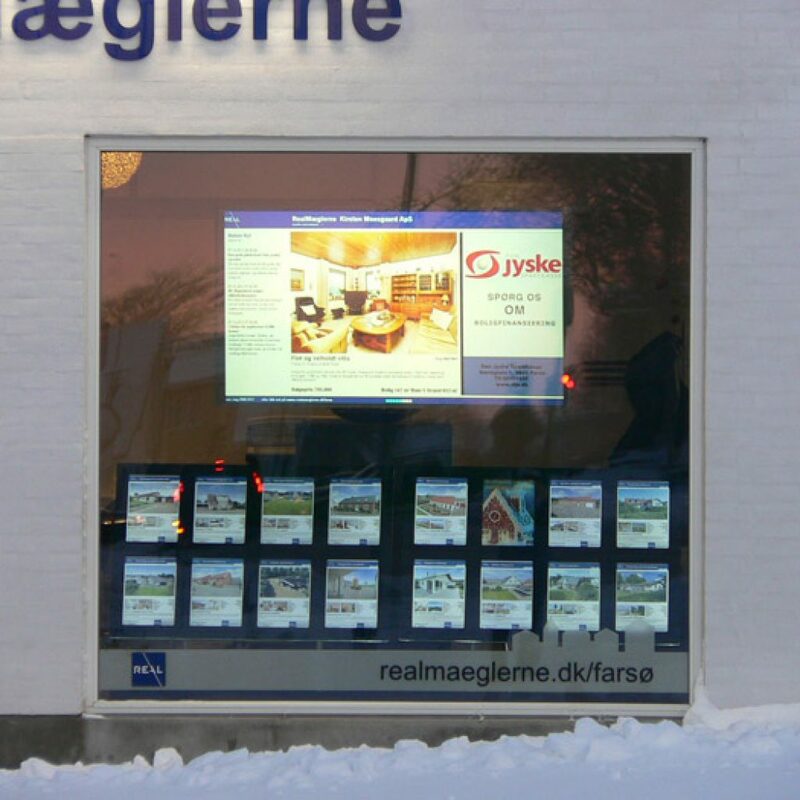 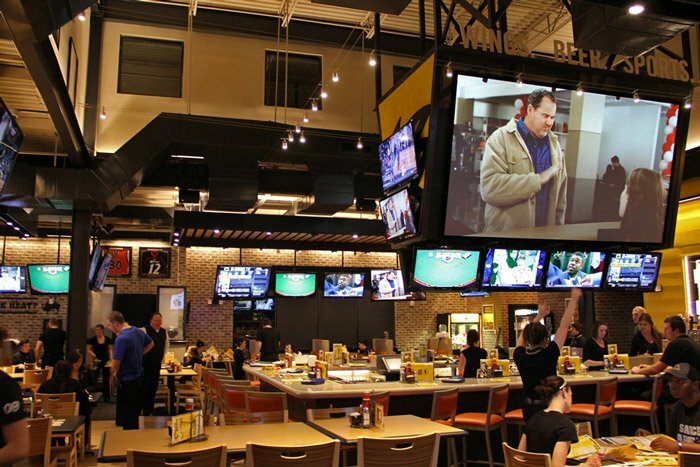 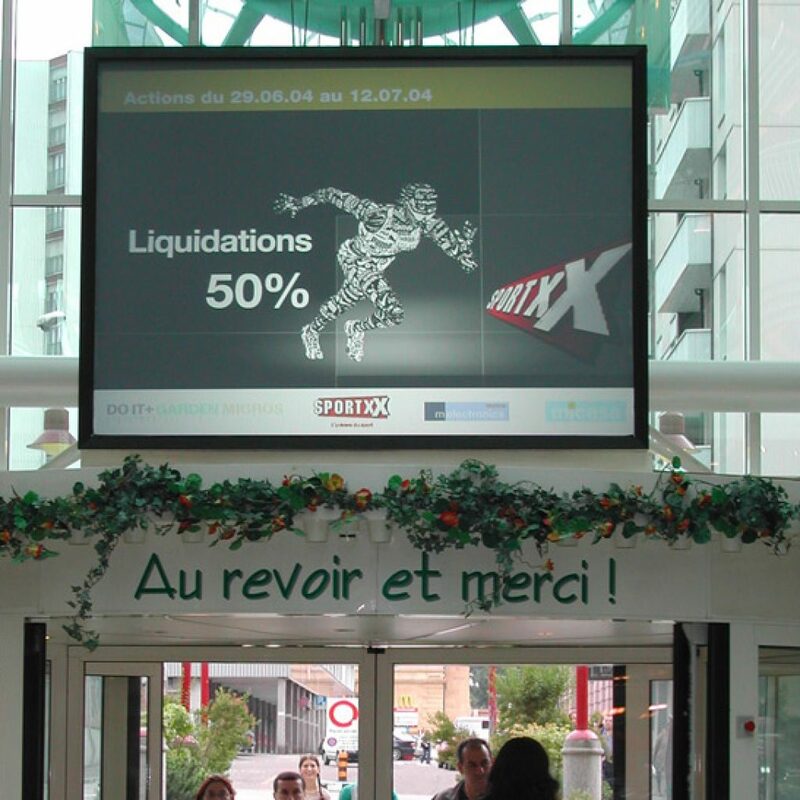 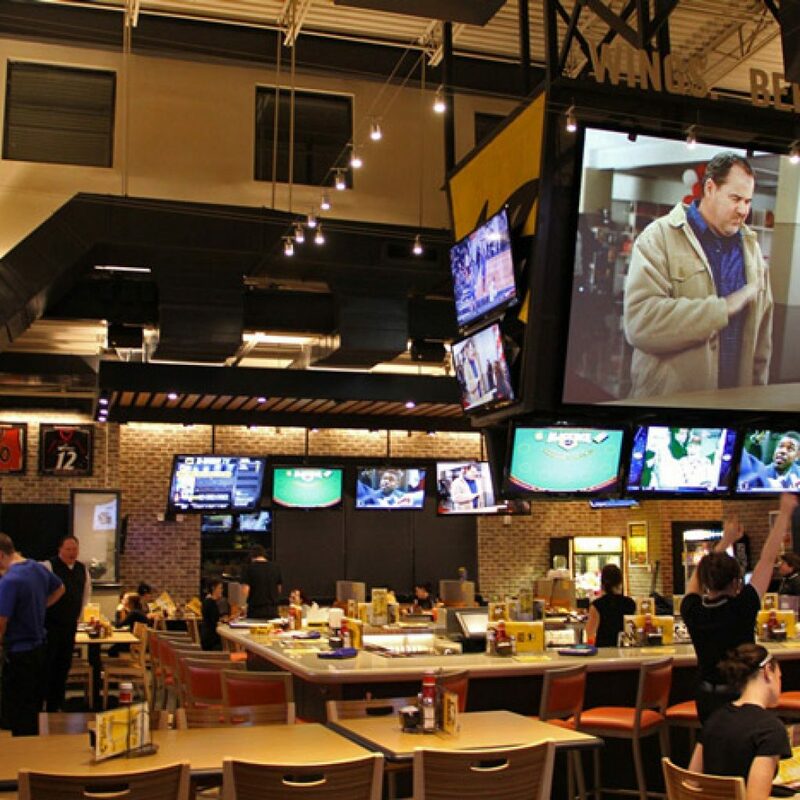 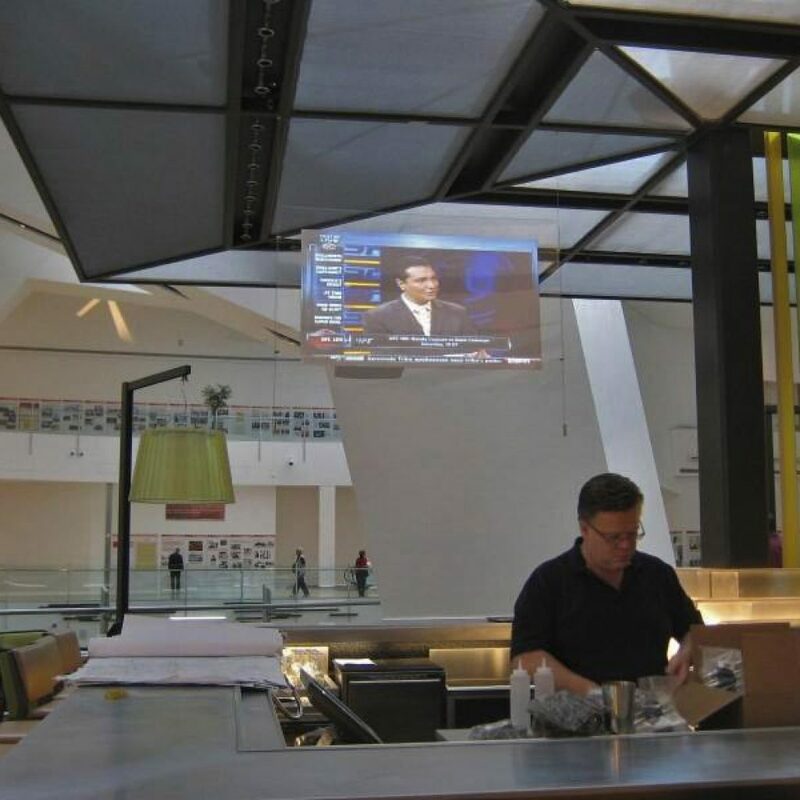 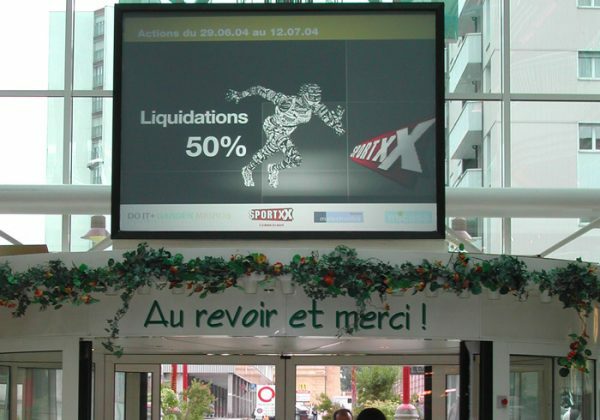 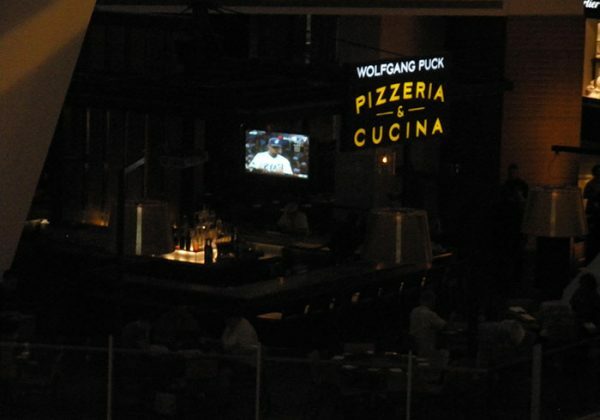 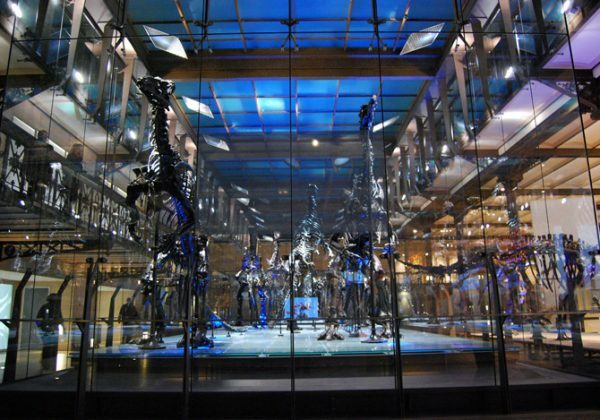 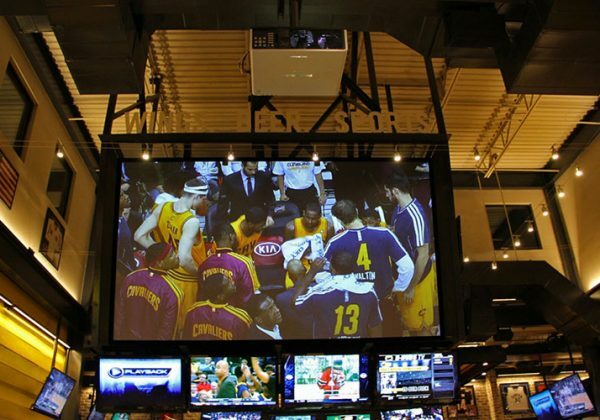 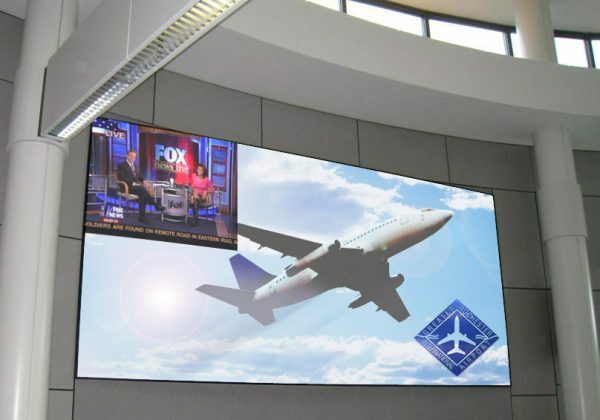 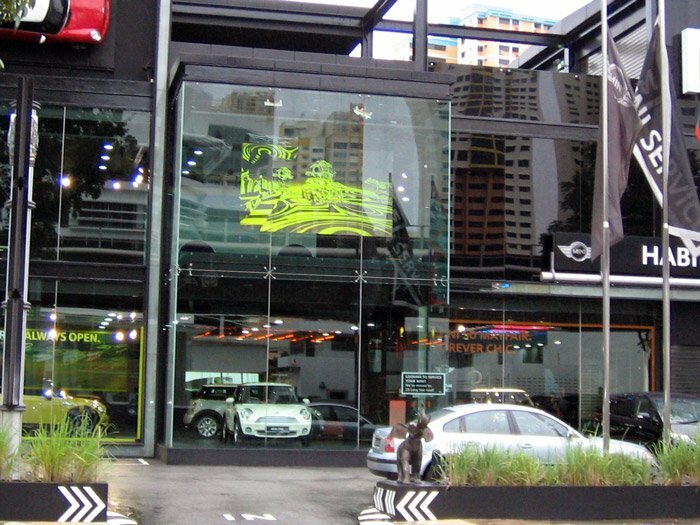 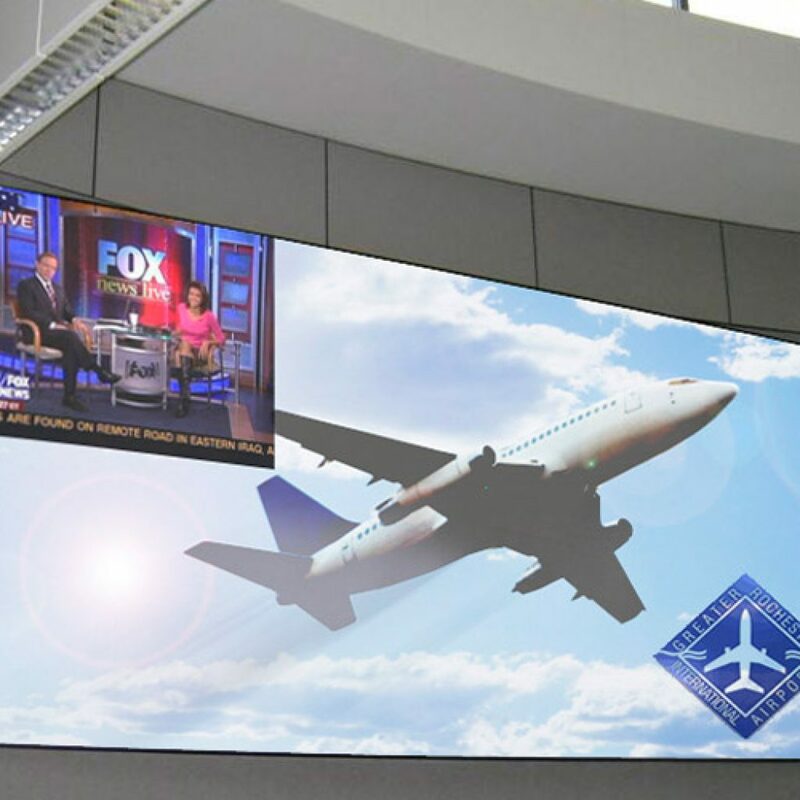 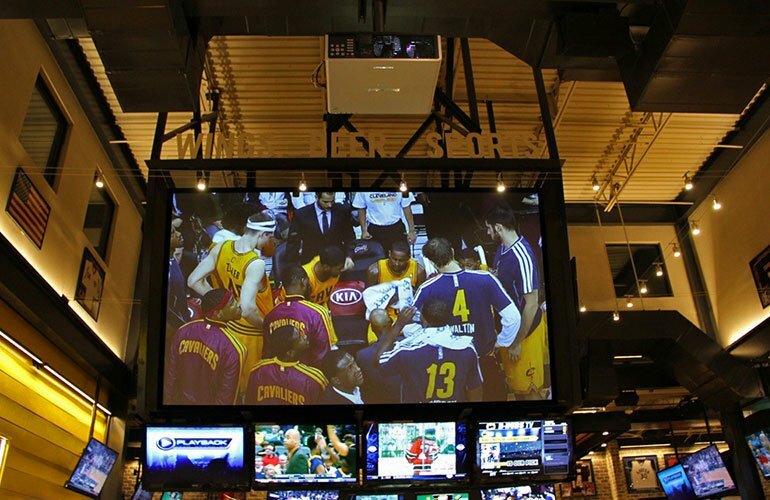 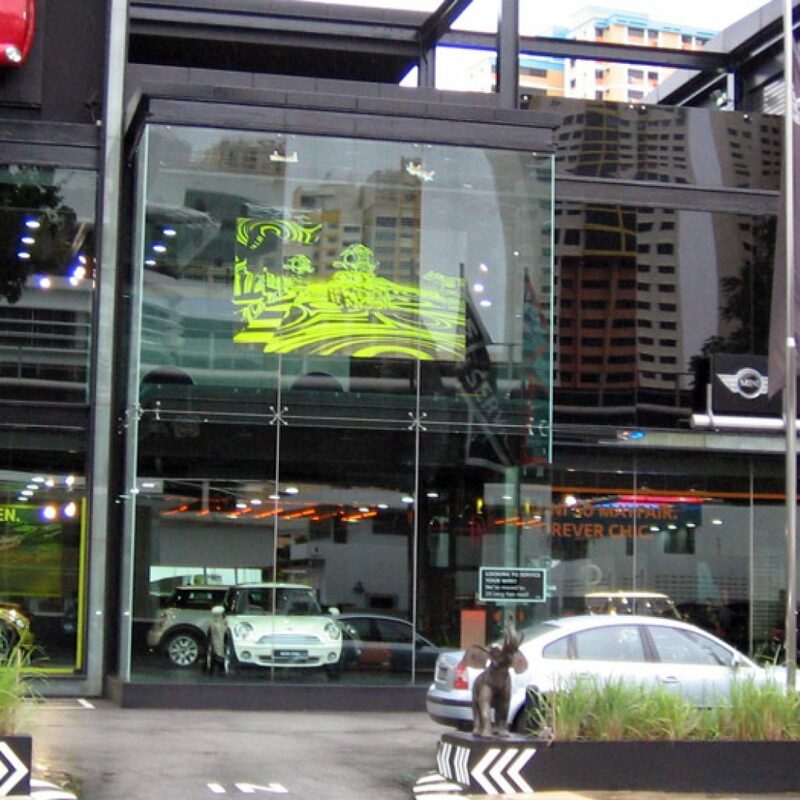 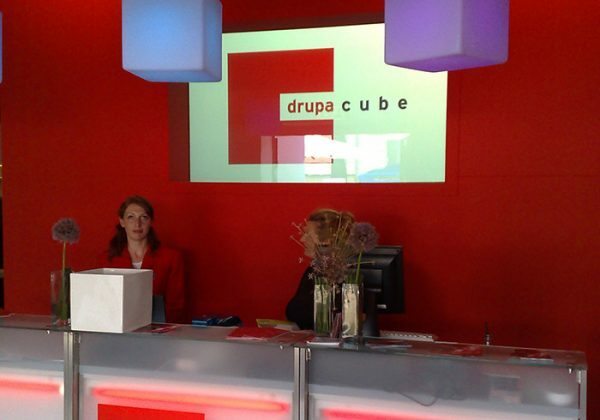 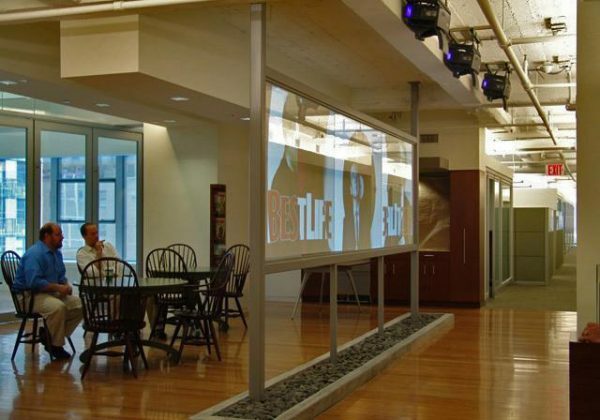 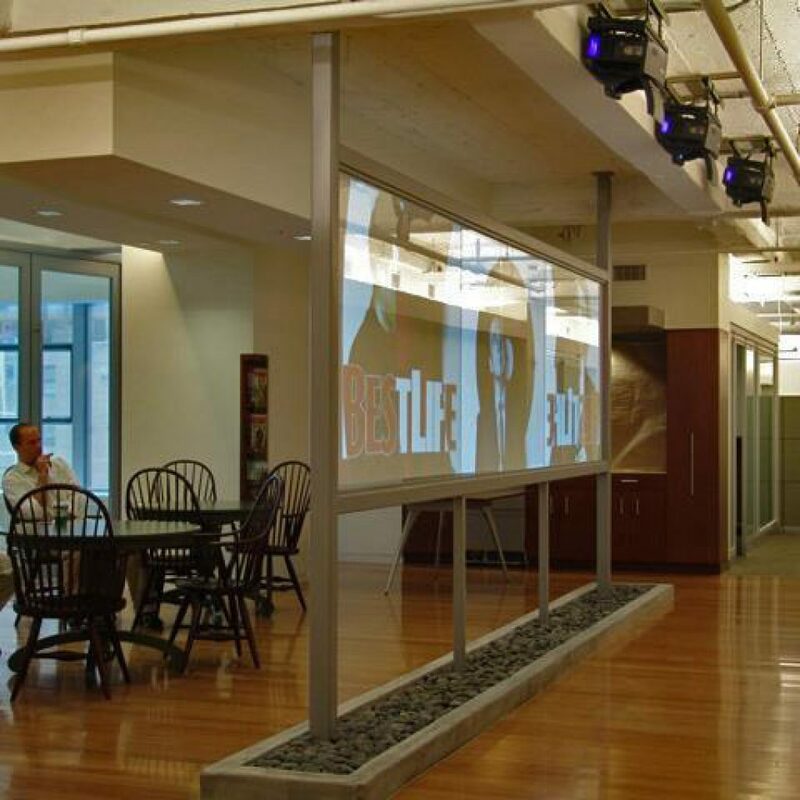 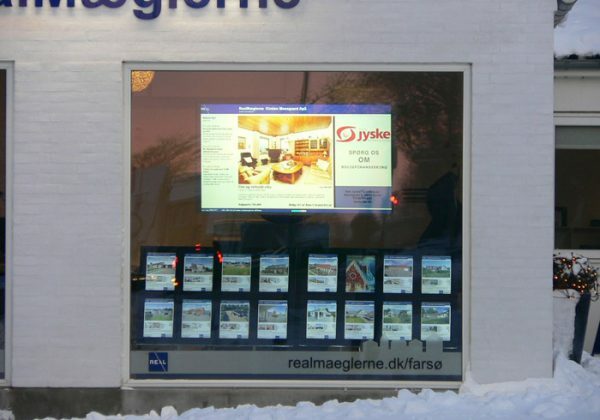 Digital Glass provides an extremely robust solution for digital signage, high-end projection and large format edge blending. 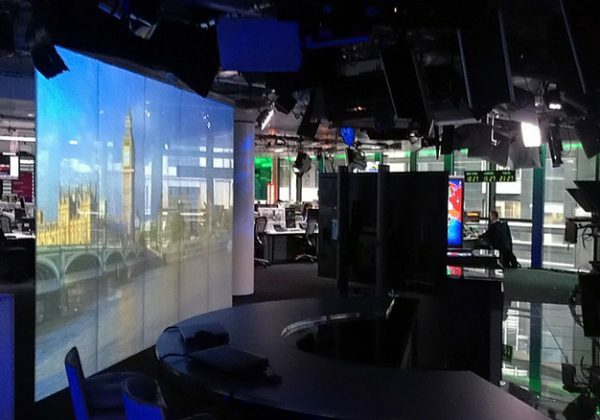 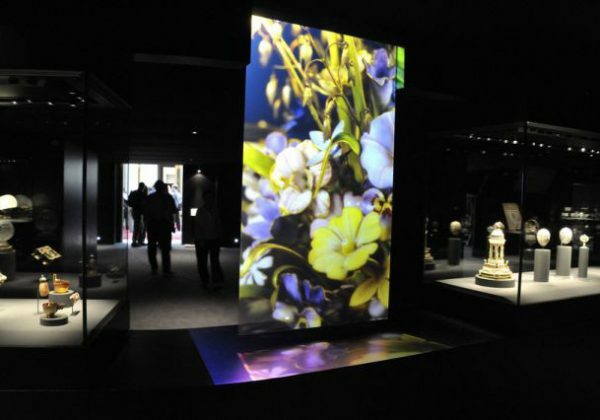 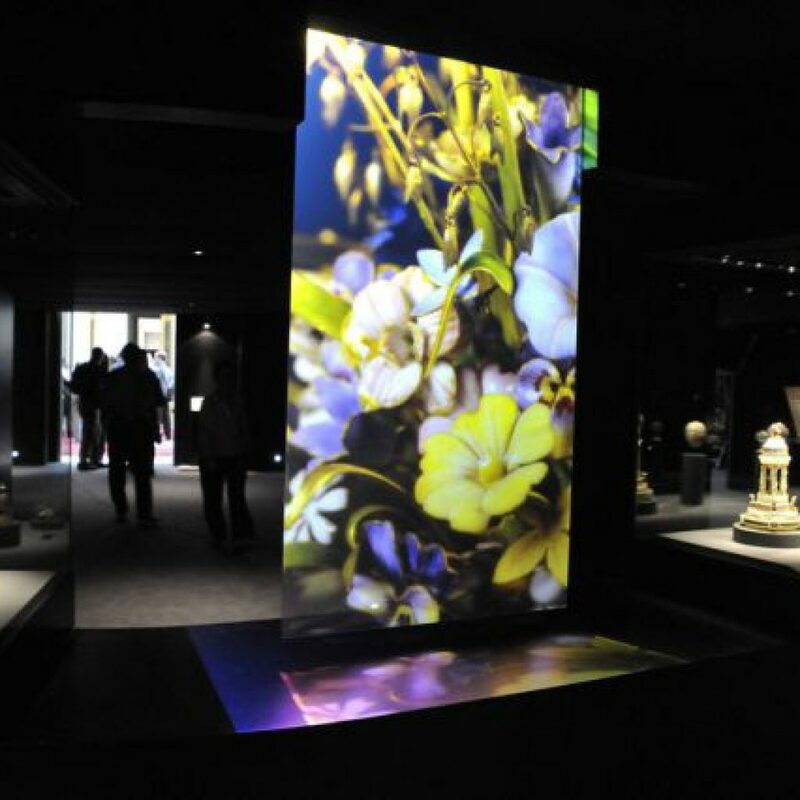 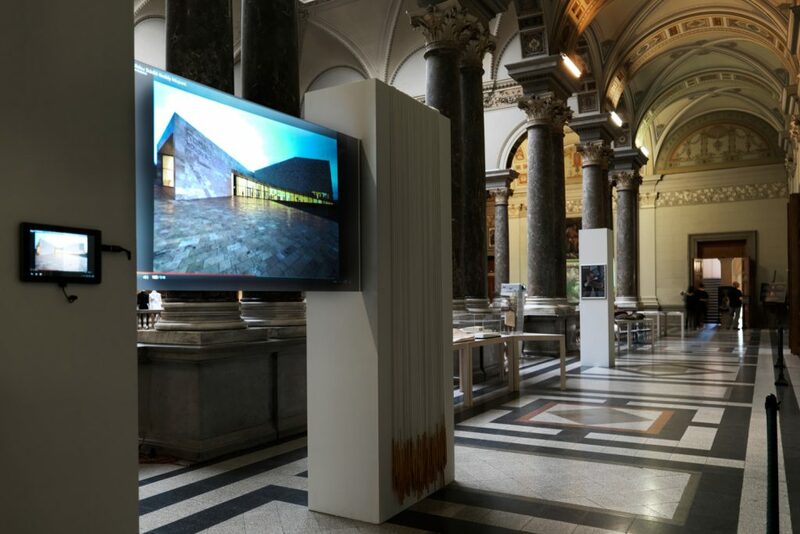 The polished edges of each Digital Glass panel enable multiple screens to be installed side-by-side, creating huge seamless screens and a genuine alternative to video walls. 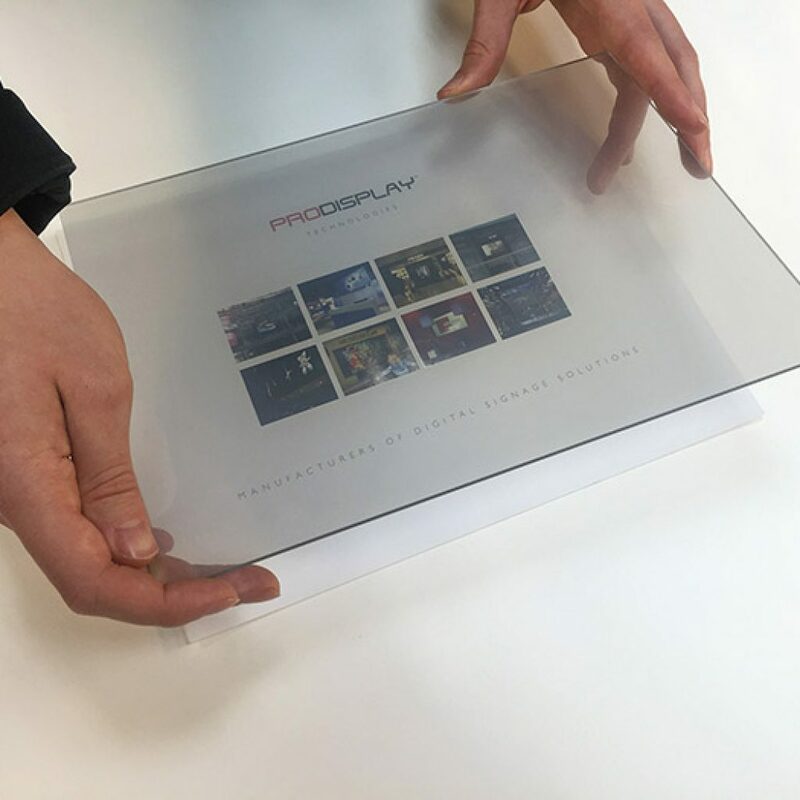 Available on rigid acrylic or toughened glass and can be combined with an infrared 6 point multi-touch frame for interactive applications. 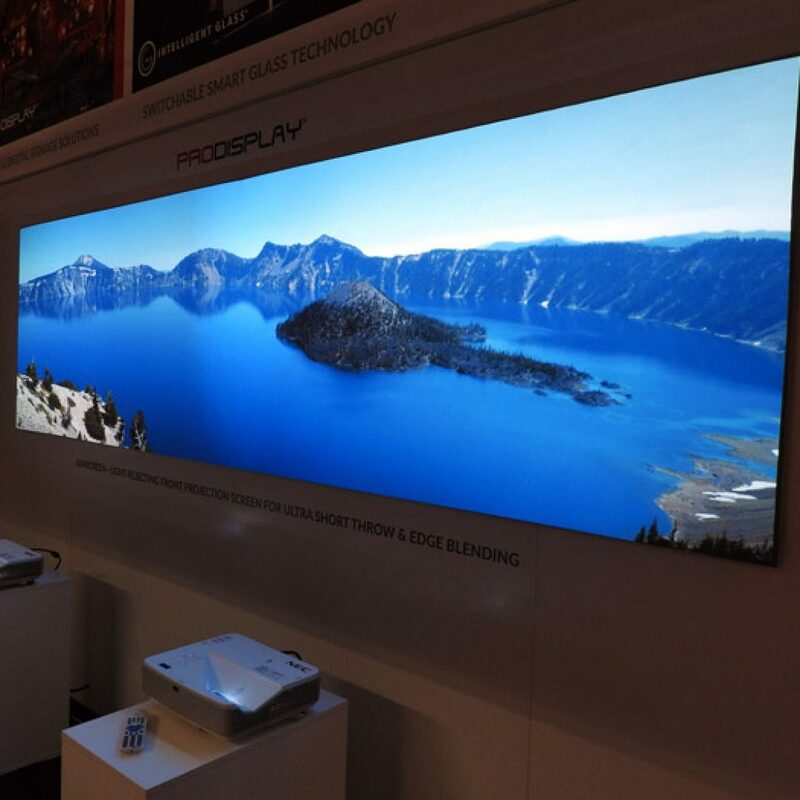 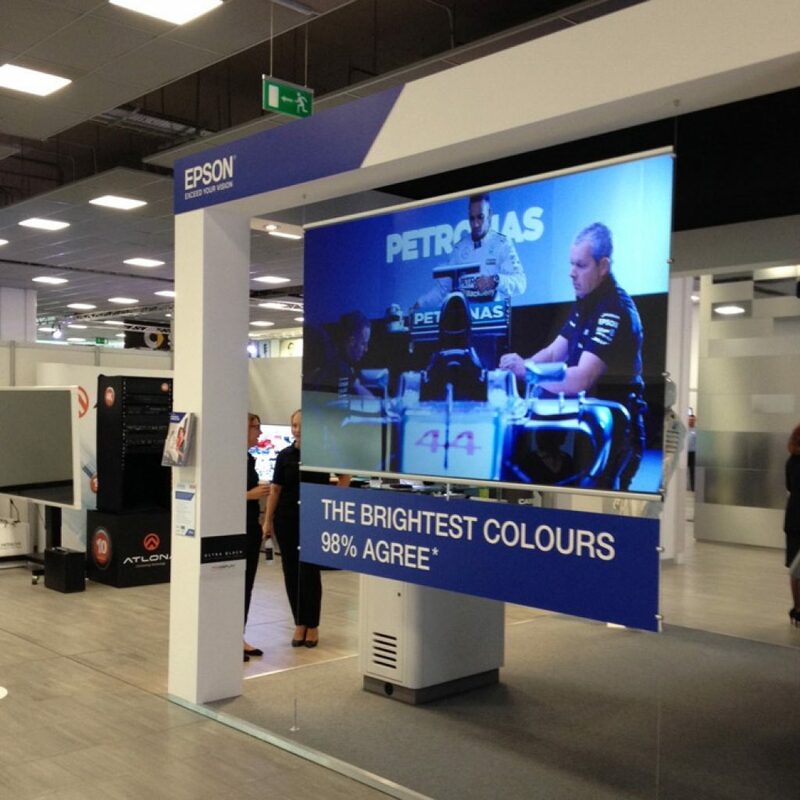 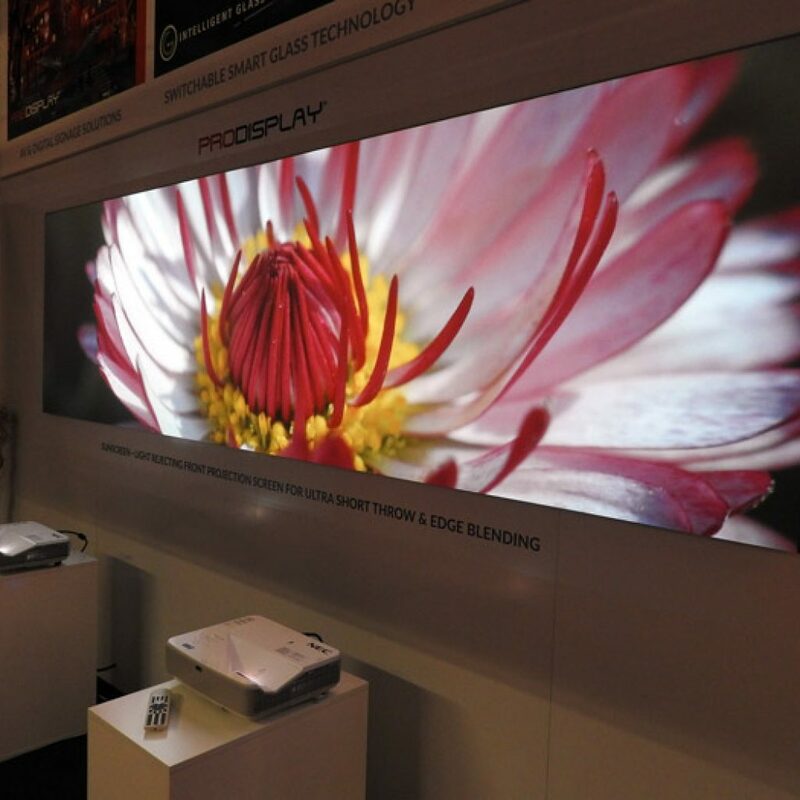 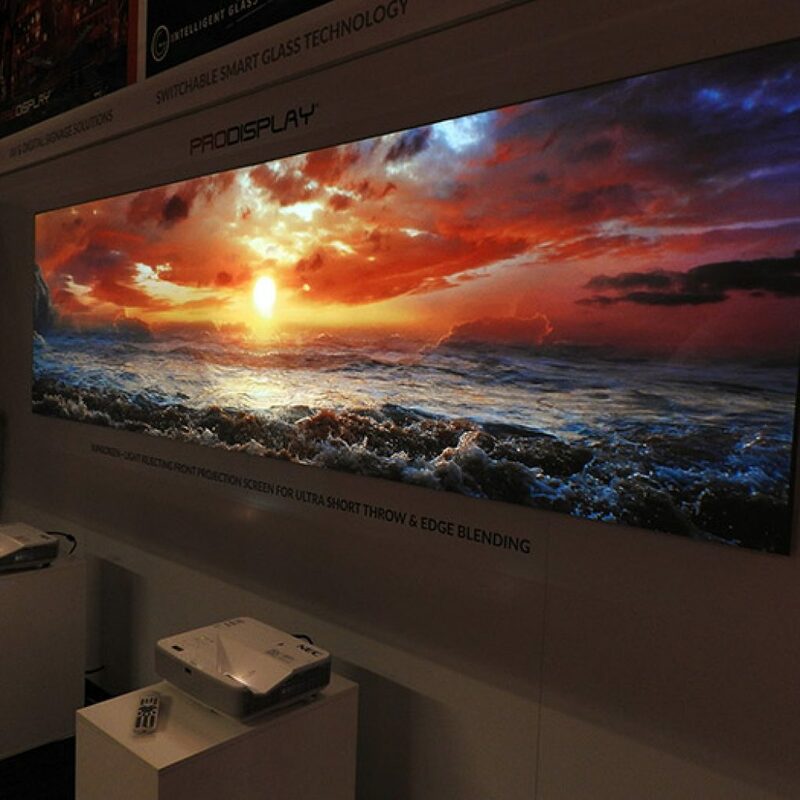 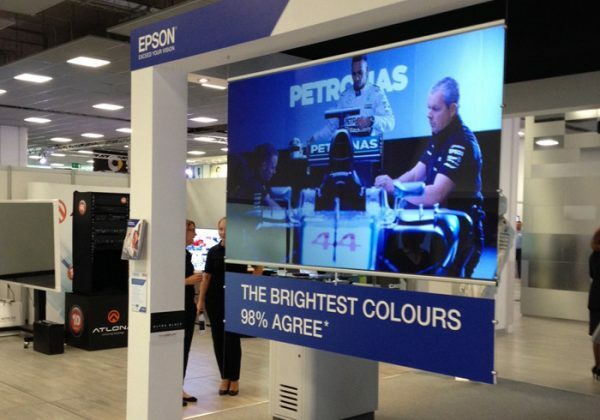 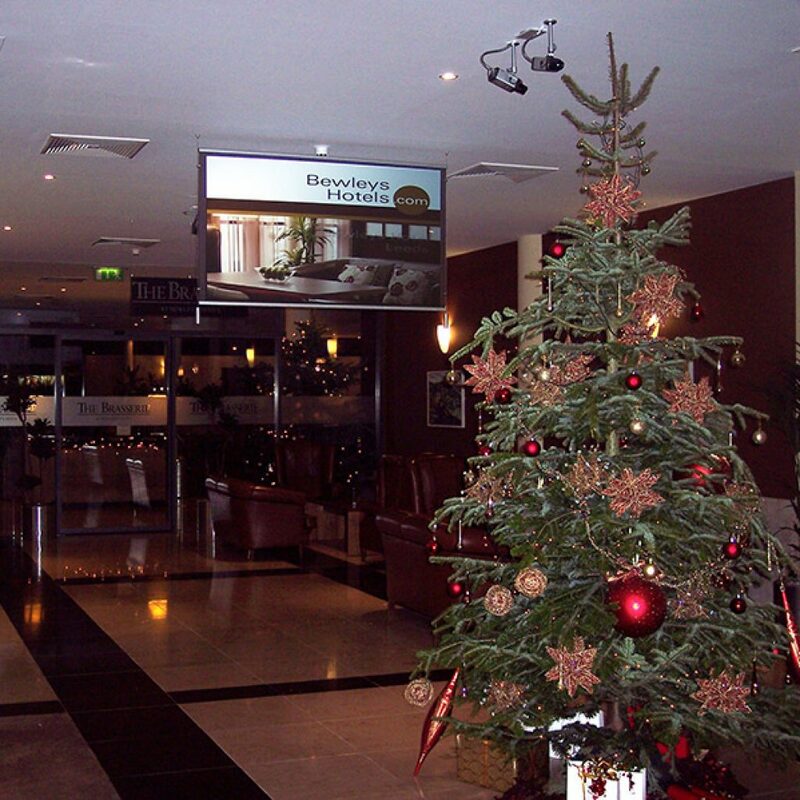 A black tinted diffusion screen offering superior contrast, resolution and colour reproduction. 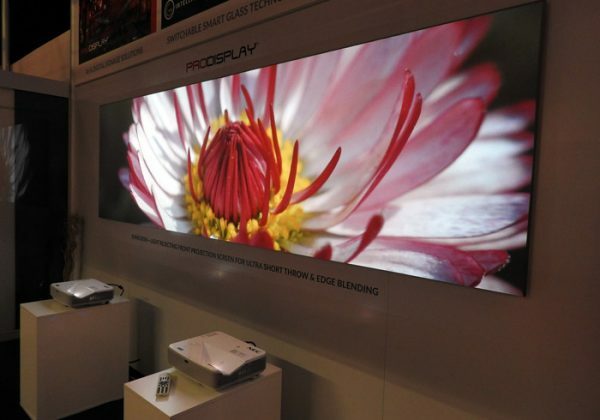 Ultra Black provides sharp, crystal clear and bright images at all angles. 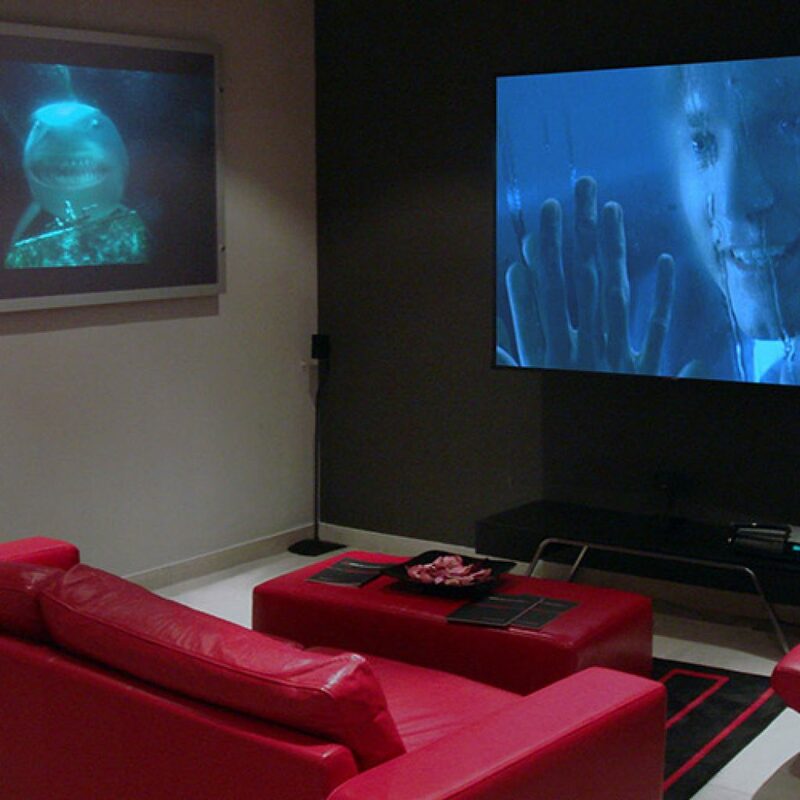 This screen technology has been designed for high end video and advertising especially suited to control room, home cinema and multi-screen applications. 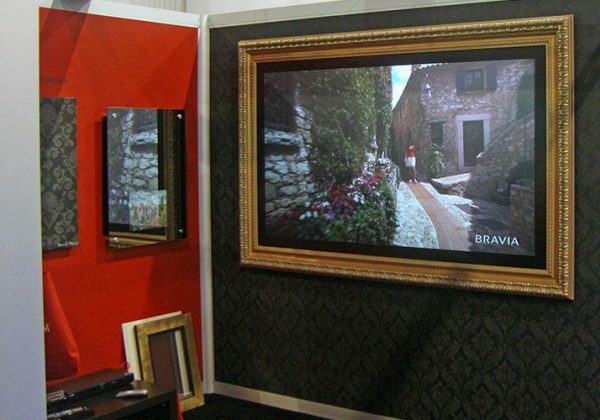 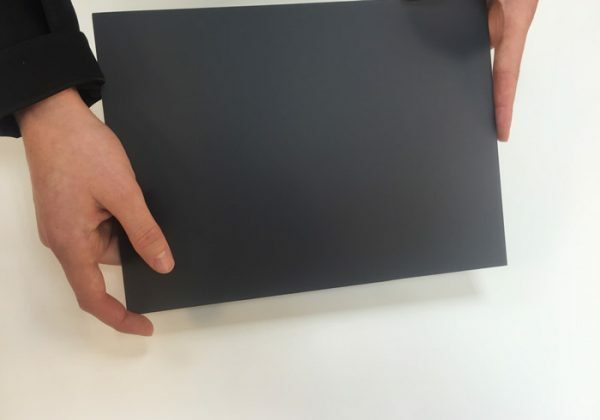 Ultra Black can also be combined with ‘mirrorvision’ technology so the screen appears as a mirror when not in use. 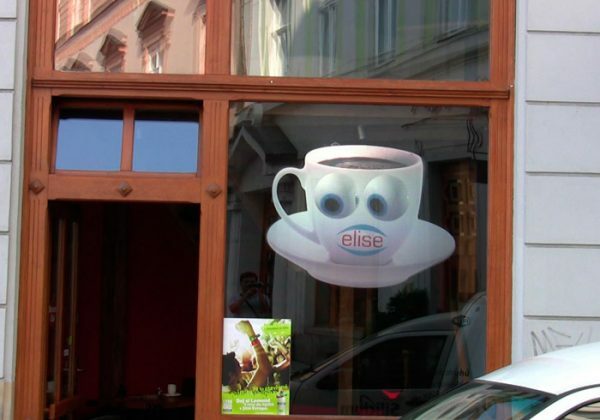 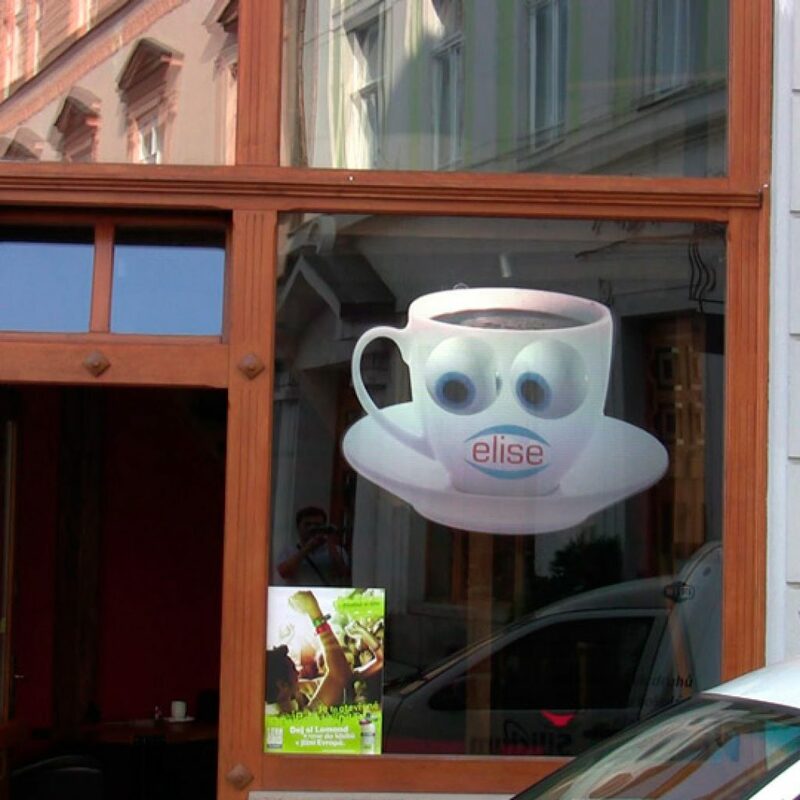 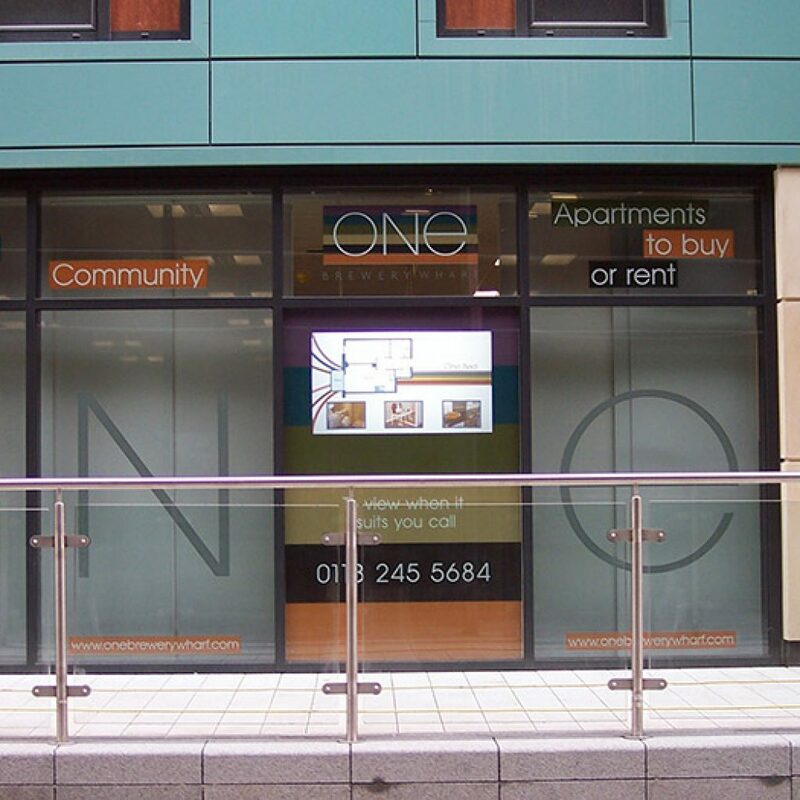 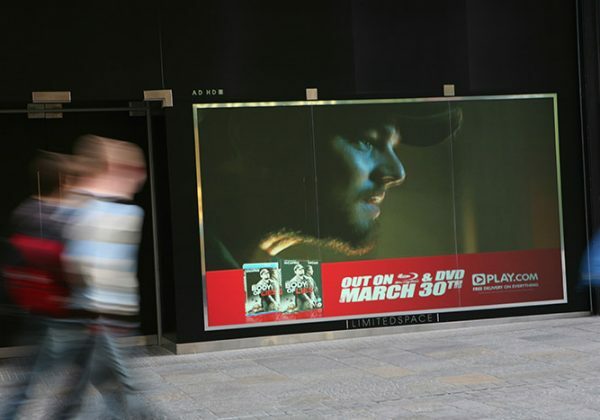 Available in rigid acrylic or self-adhesive film. 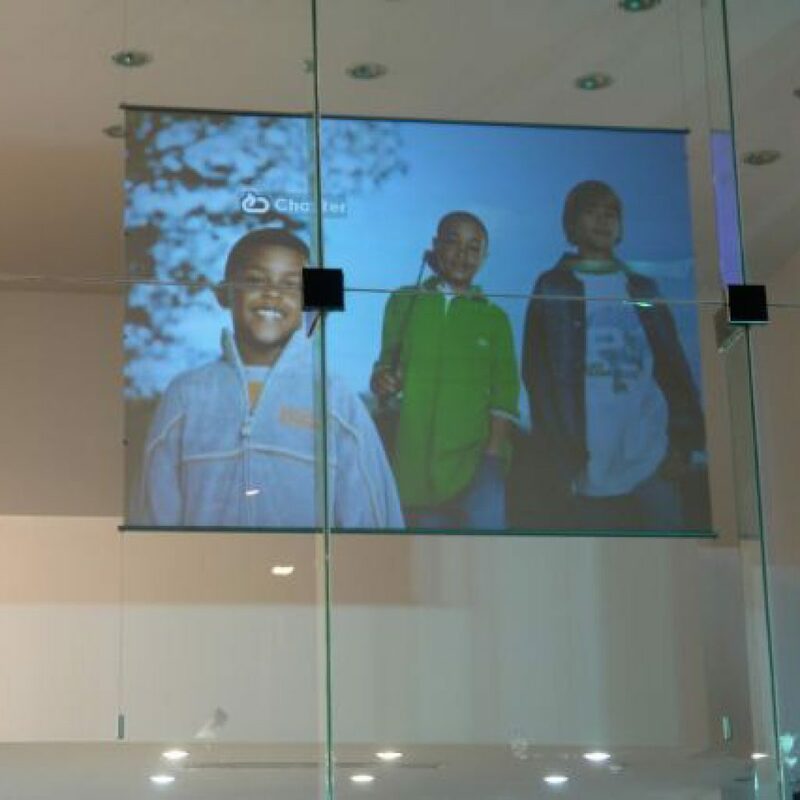 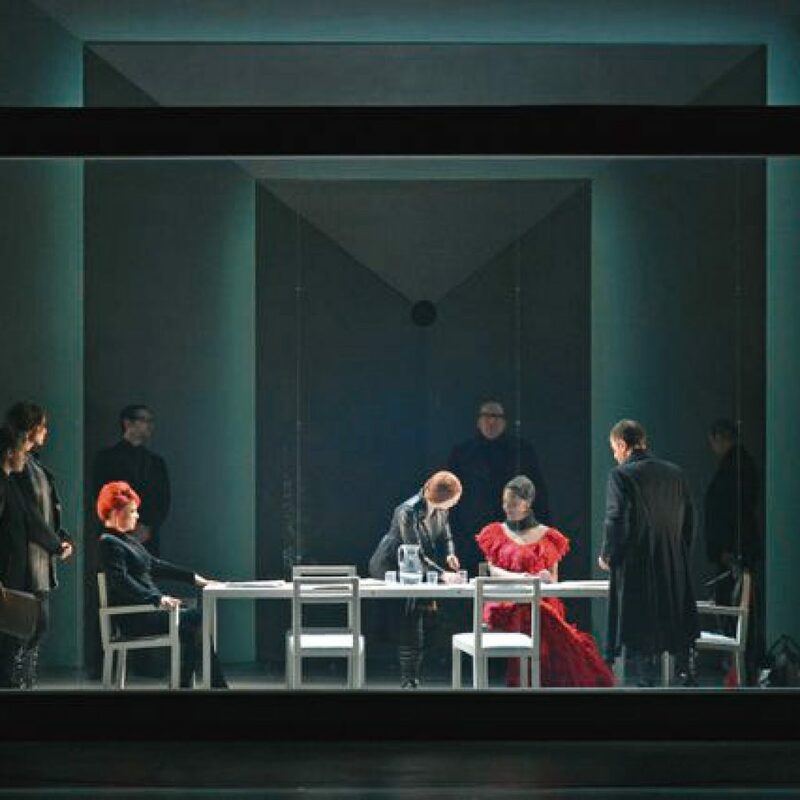 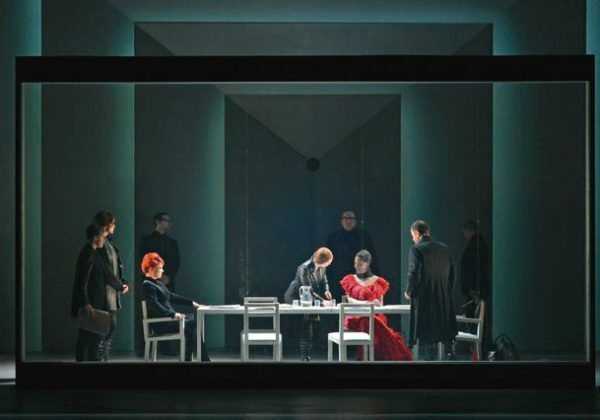 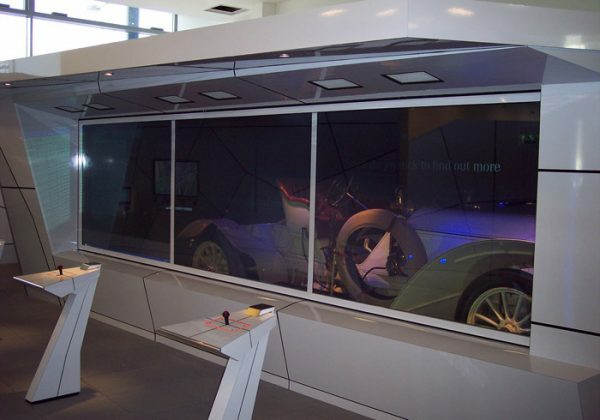 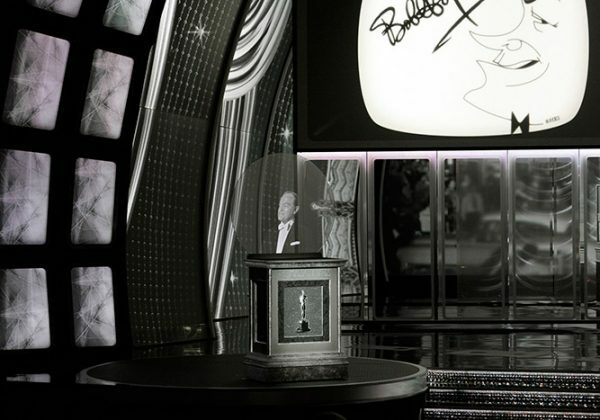 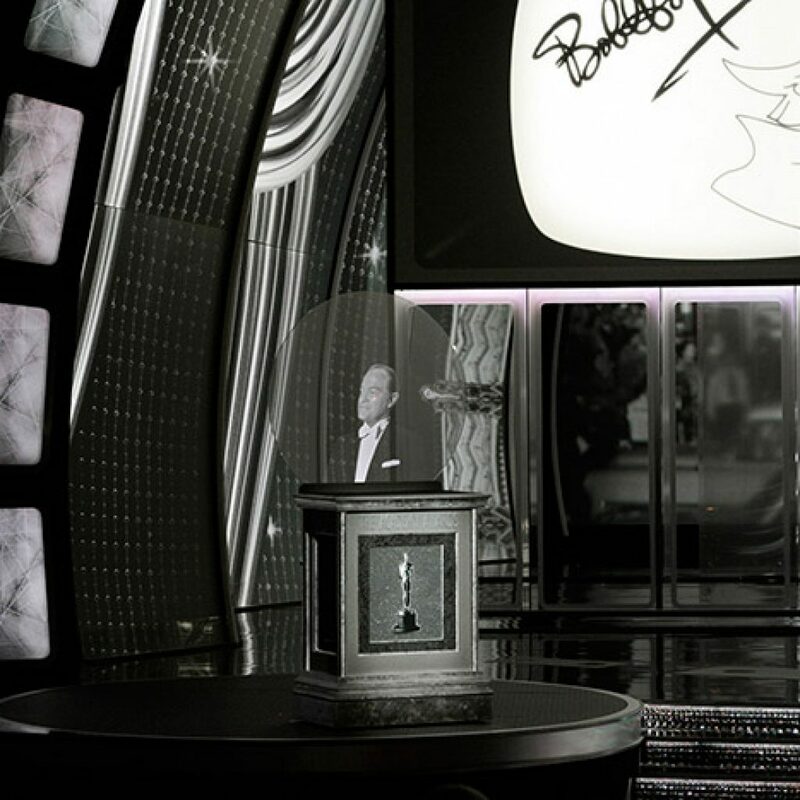 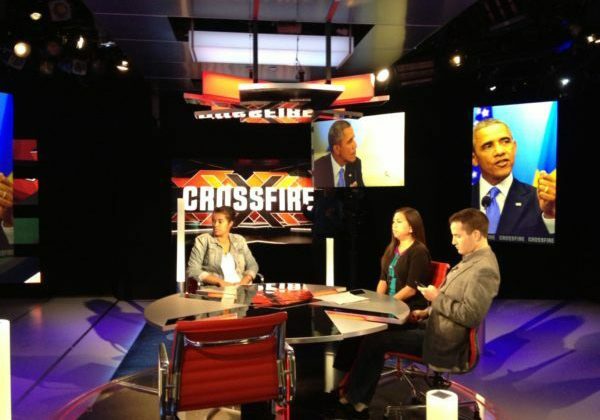 An Ultra Black rear projection screen combined with an optical mirror glass fascia. 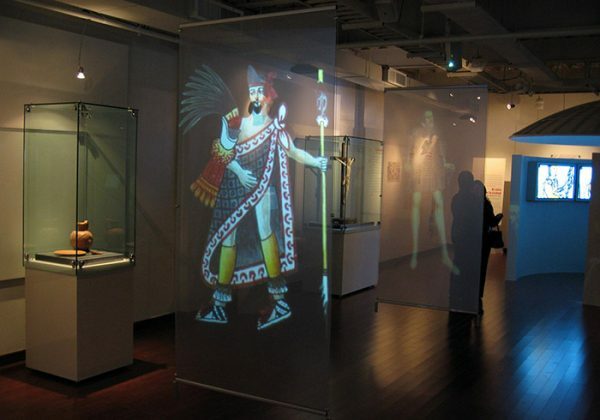 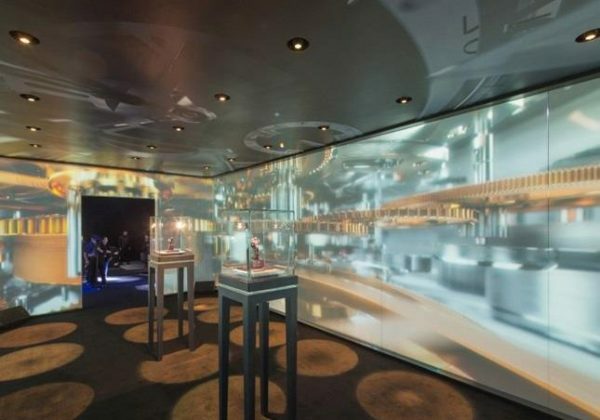 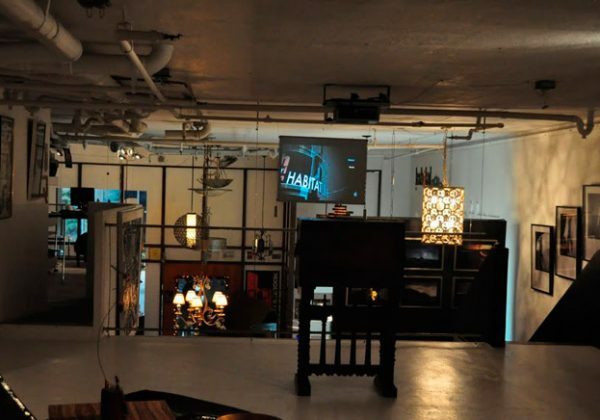 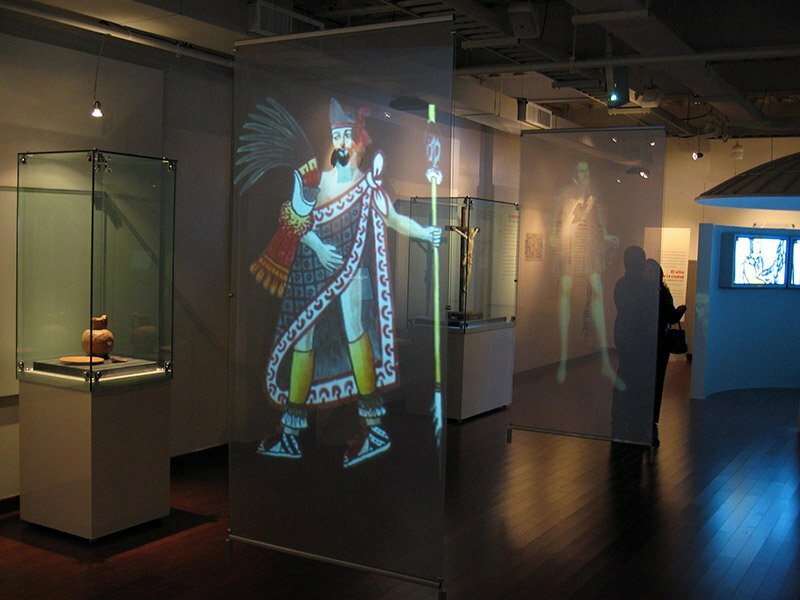 When the projector is switched on video appears through the glass surface and when switched off the screen reverts back to a decorative mirror. 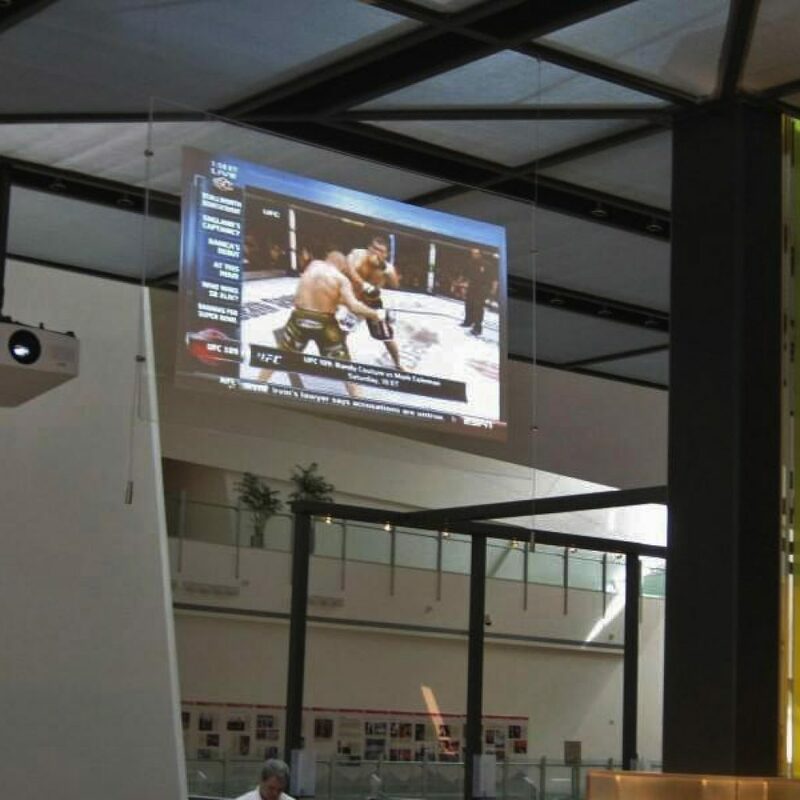 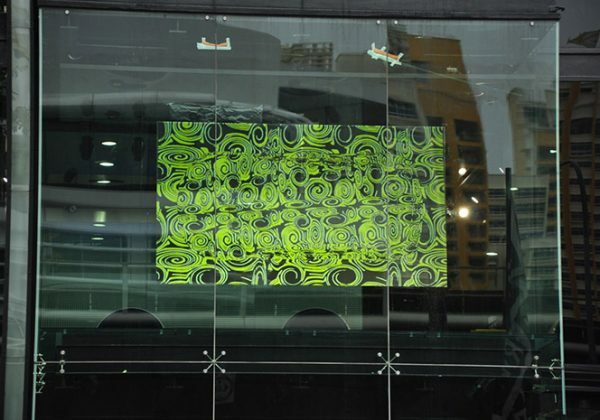 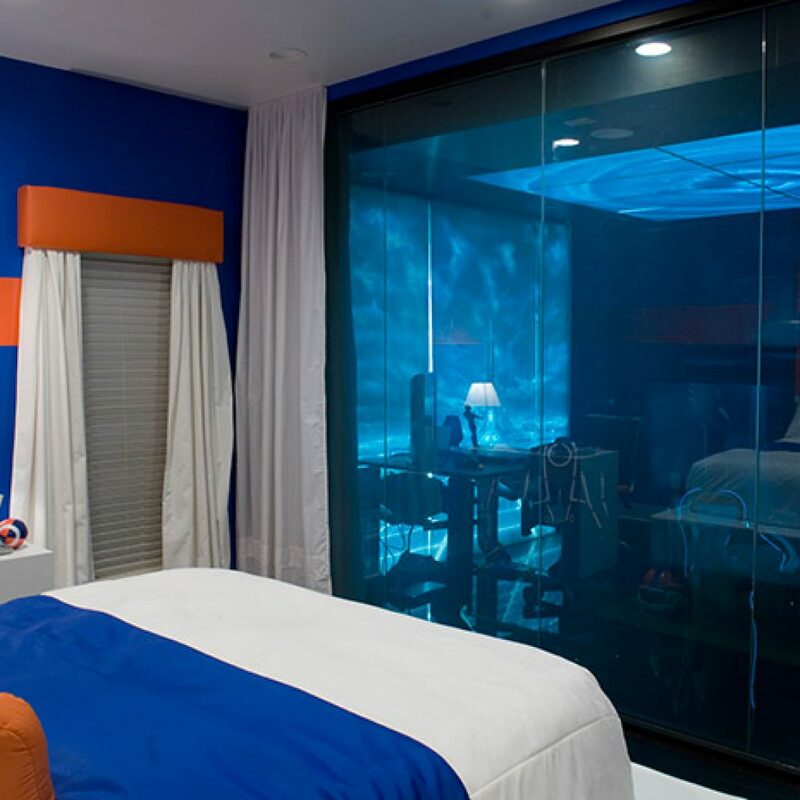 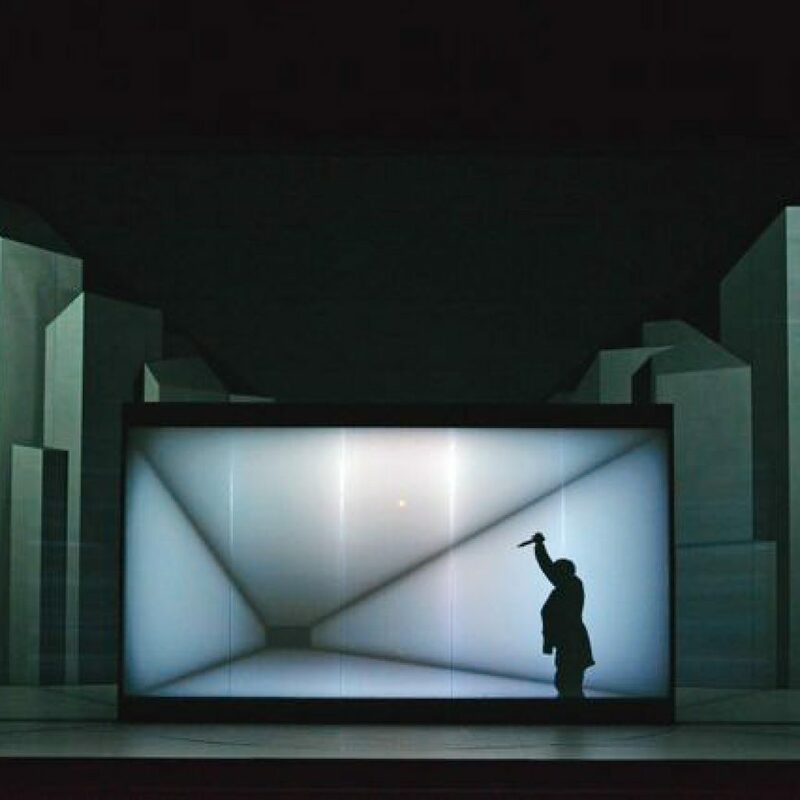 A highly transparent diffusion screen that creates a holographic projection effect whereby images can appear to float in mid-air. 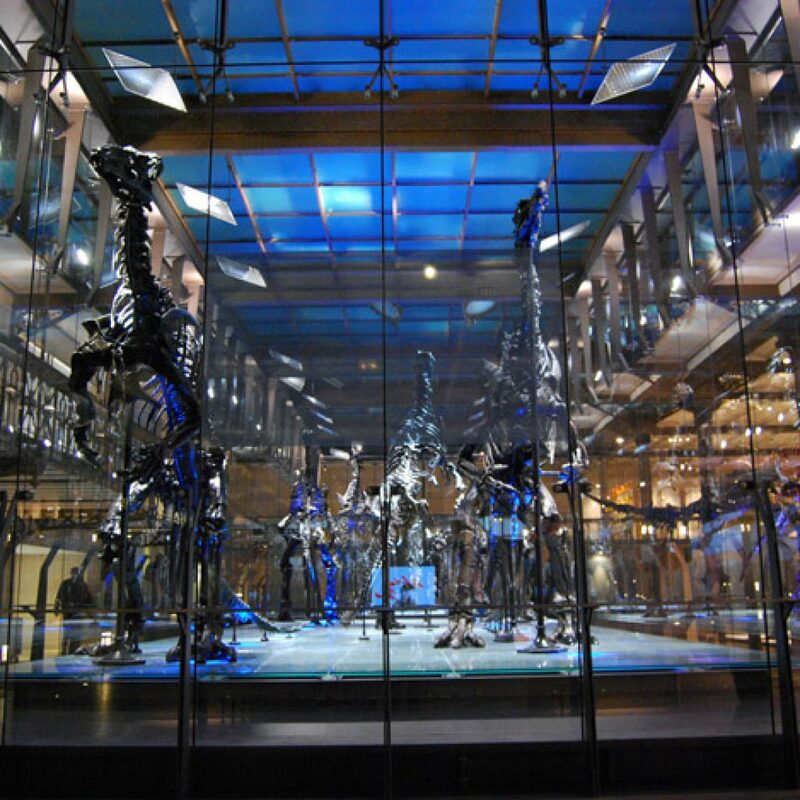 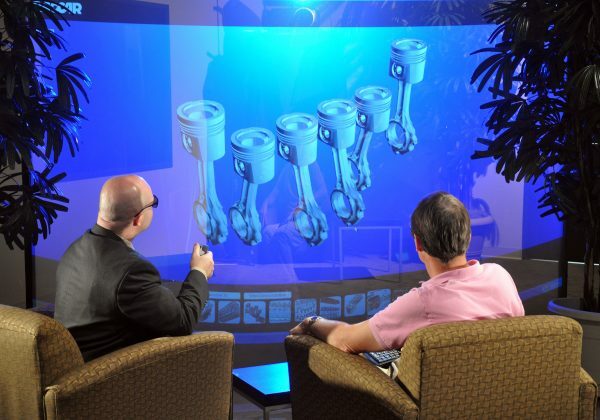 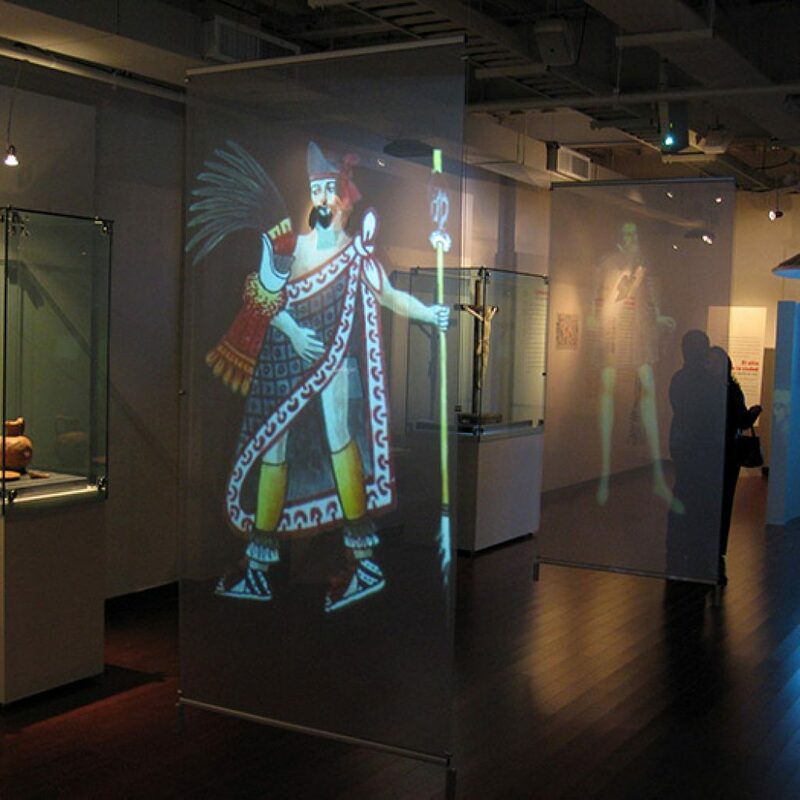 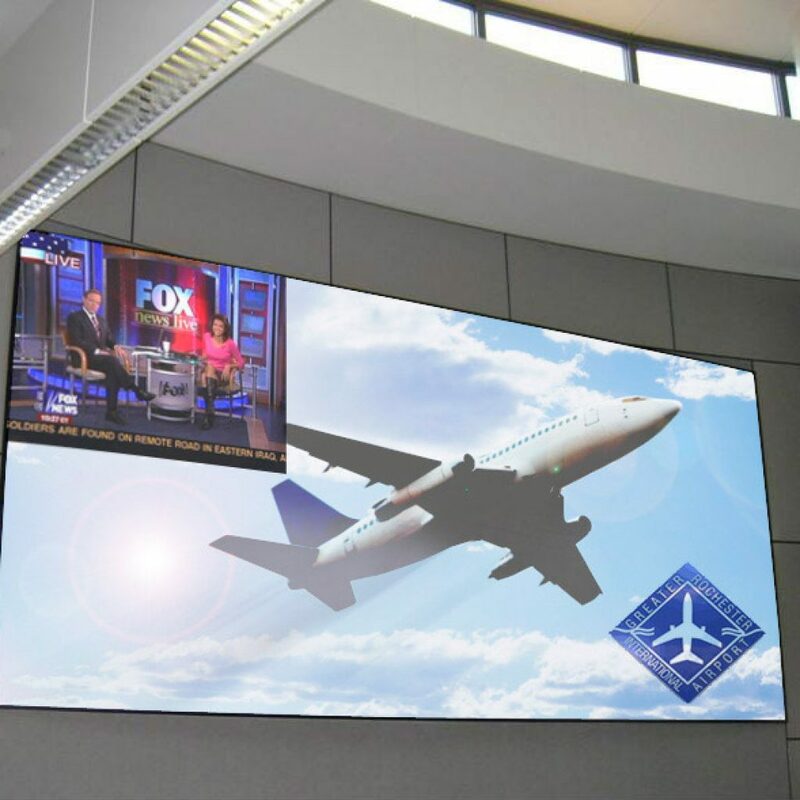 Clearview provides a low cost alternative to older holographic type screens, with superior performance, definition and no critical angle of projection. 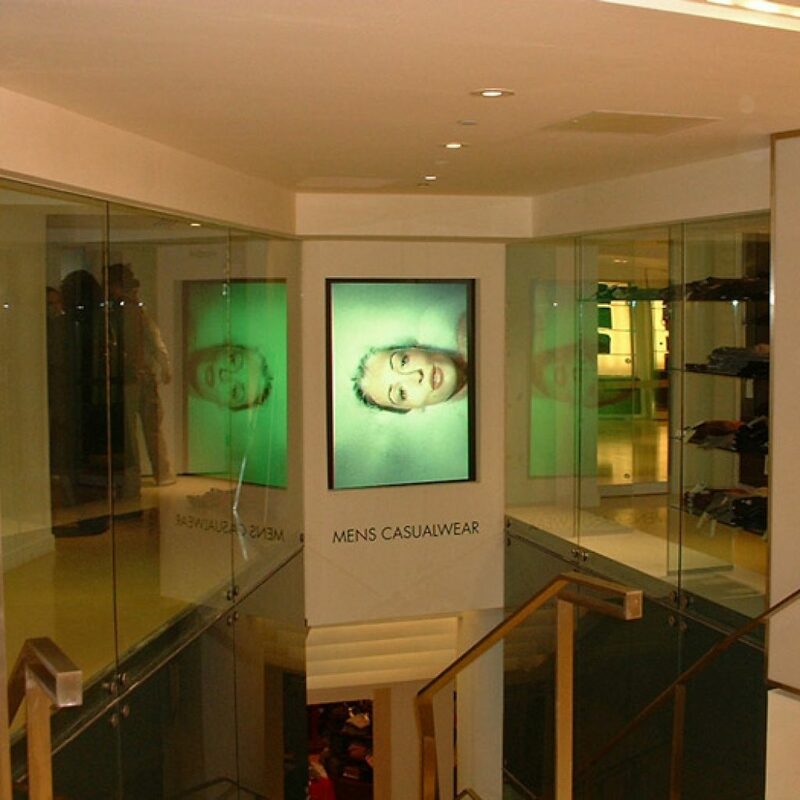 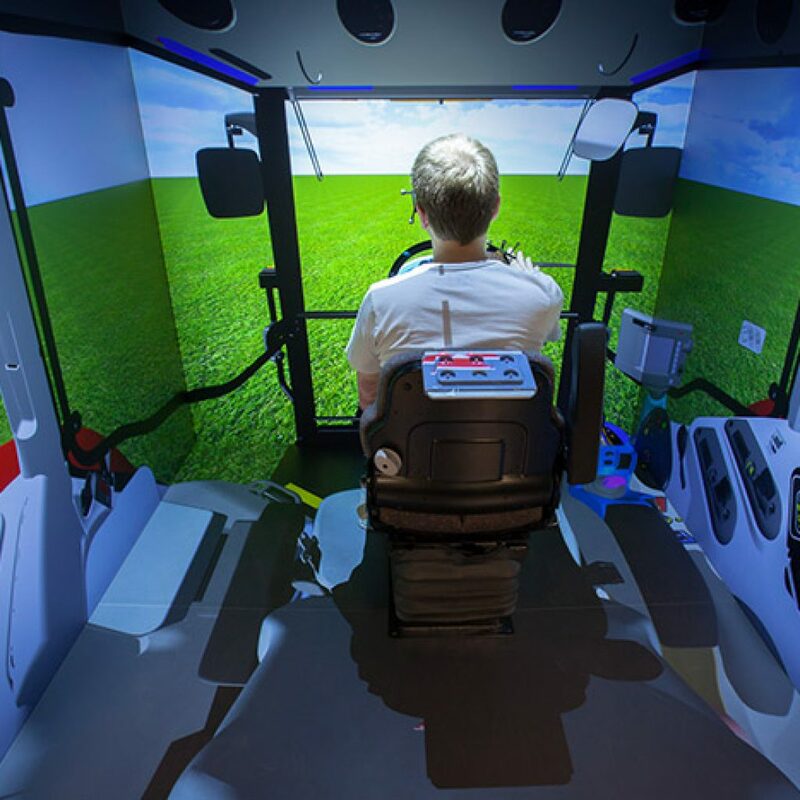 With Clearview you can see through the screen but at the same time display bright, sharp and vibrant images even in brightly lit environments. 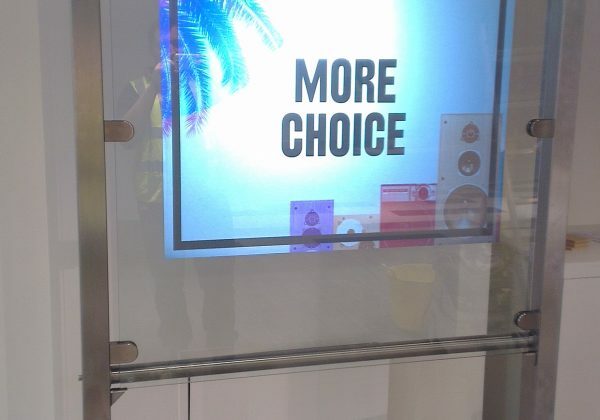 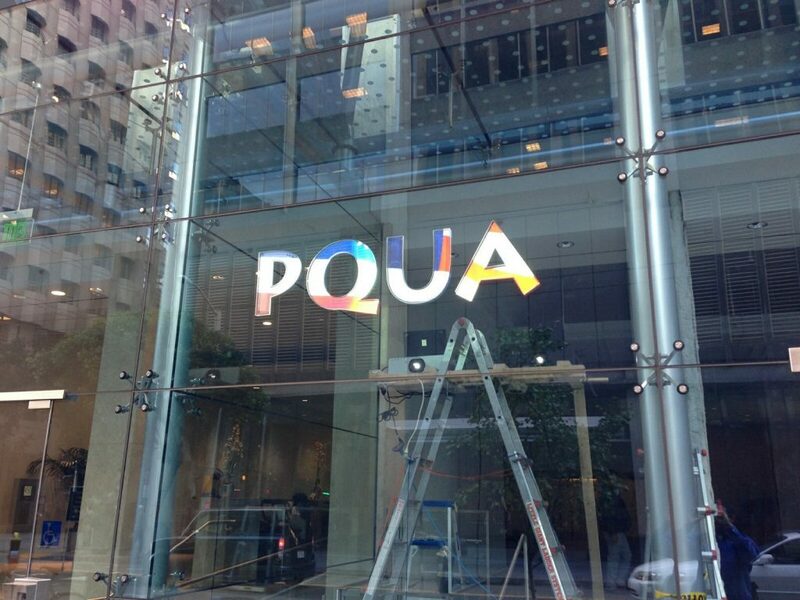 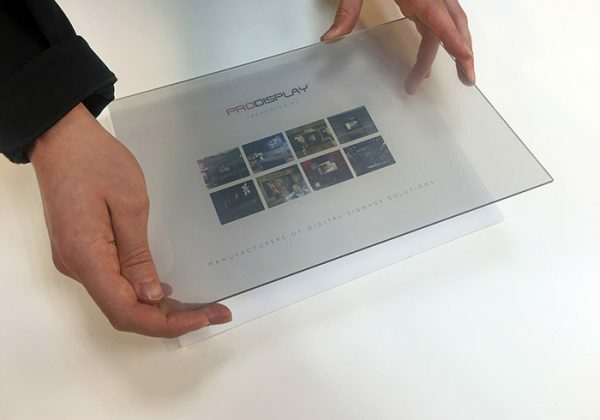 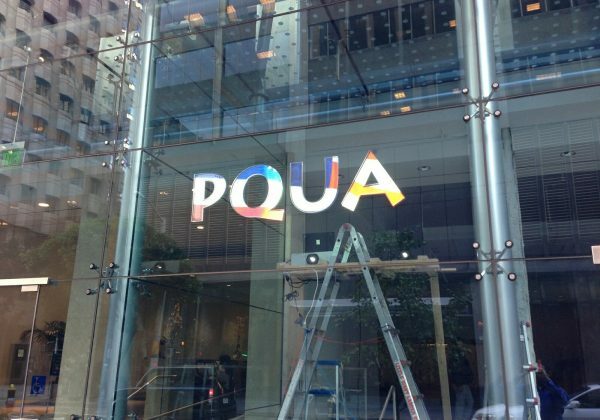 Available in rigid acrylic or self-adhesive film and also available with ‘through glass’ touchscreen technology (PCAP) with a choice of either single / dual touch or multi-touch foils for interactive window displays. 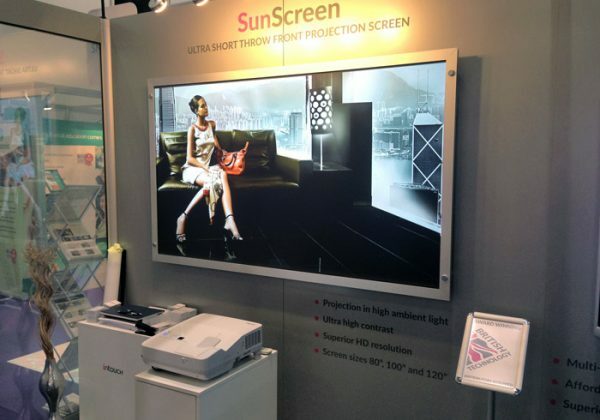 SunScreen is a revolutionary sun readable rear projection technology specifically designed for applications in direct sunlight. 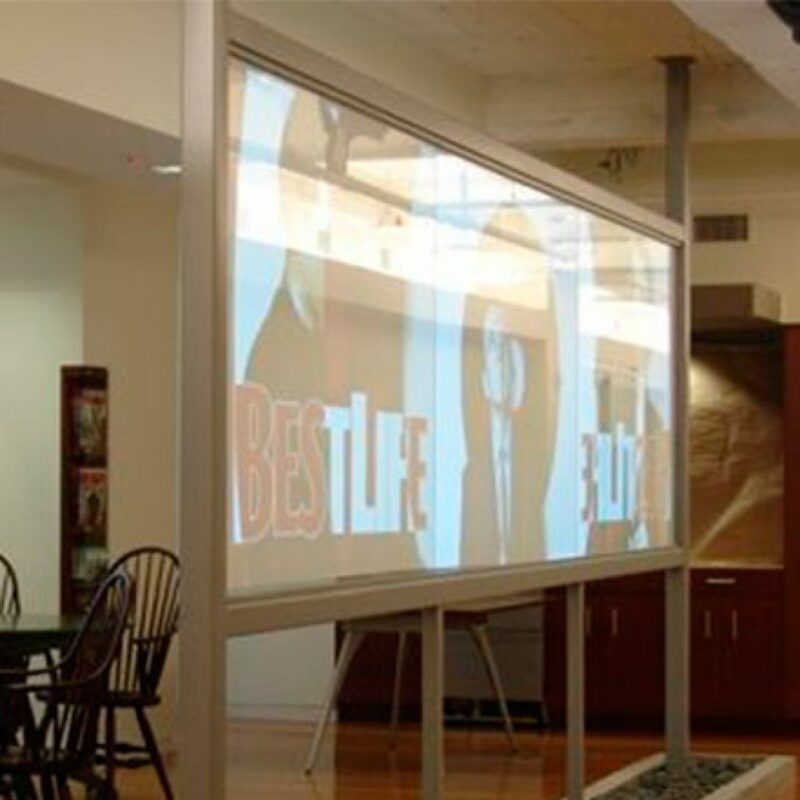 This unique screen has a light rejecting optical filter that deflects external light to provide bright, sharp and crystal clear images in sunlight. 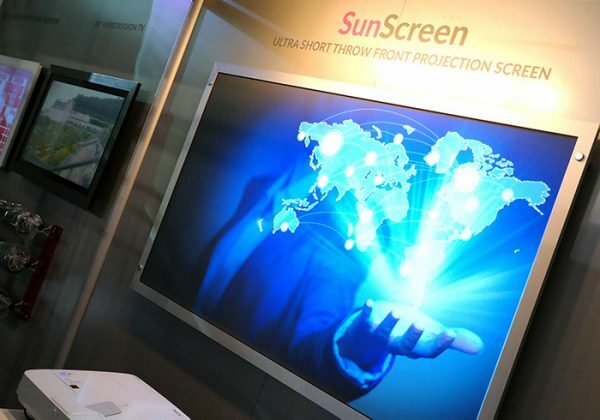 SunScreen is the only true projection screen technology in the world that will perform in direct sunlight. Images should be projected at 26° +/- 5° for optimum viewing effect. 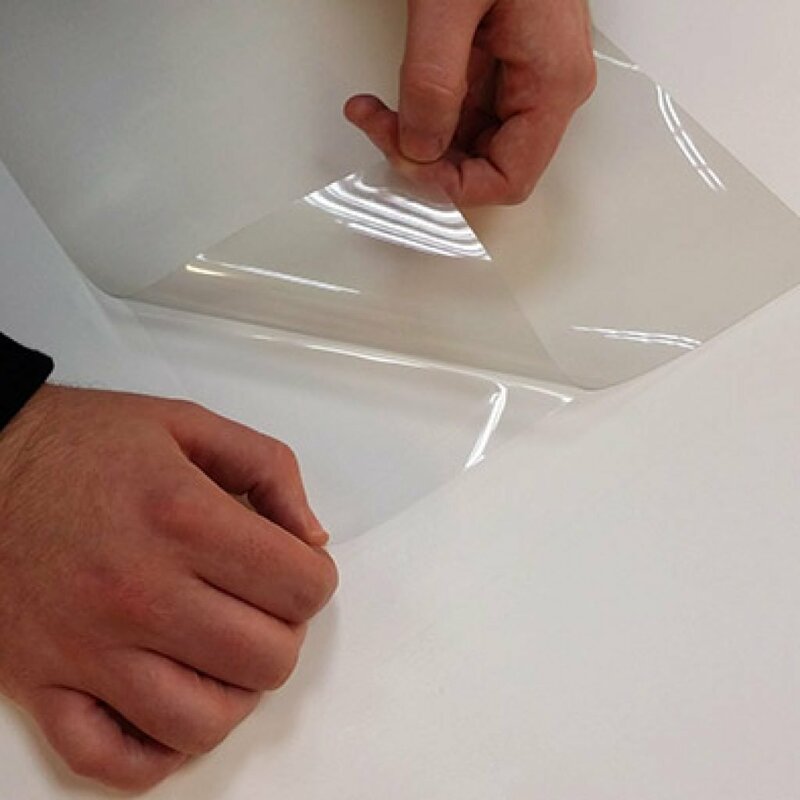 SunScreen’s are suitable for standard or short throw projection and are available in rigid acrylic or a non-adhesive film. 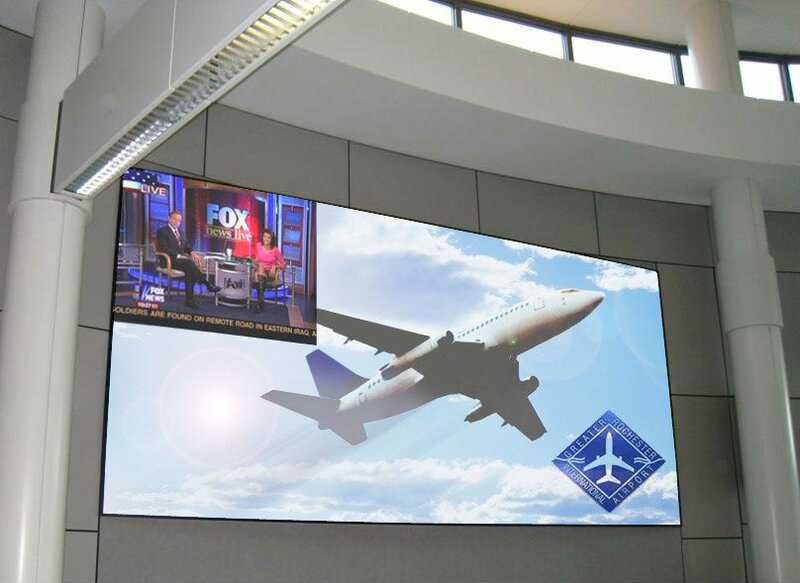 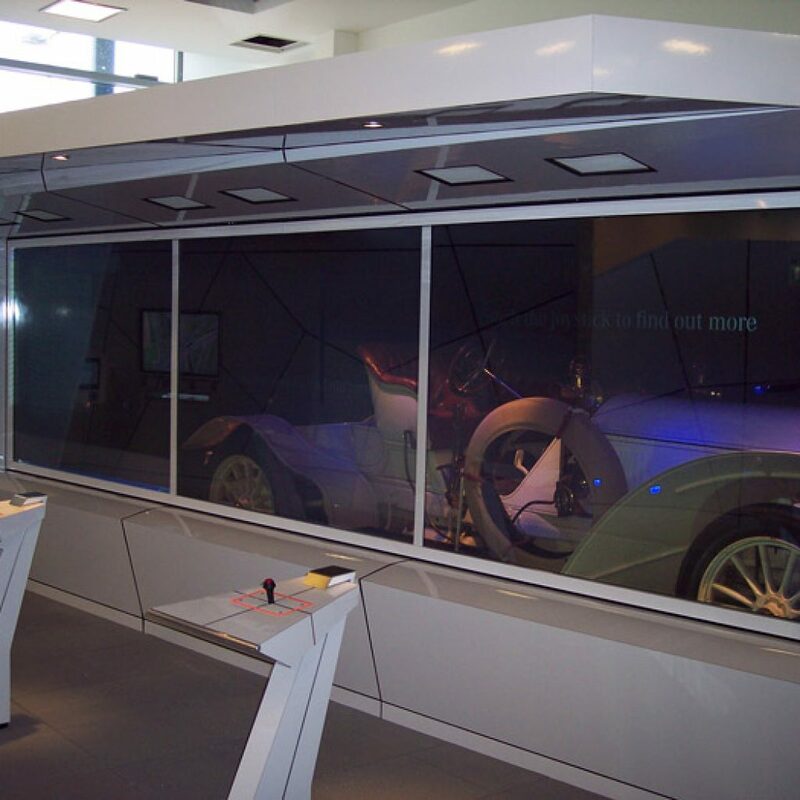 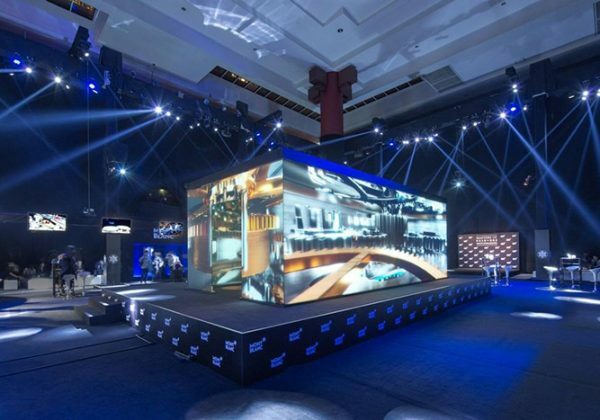 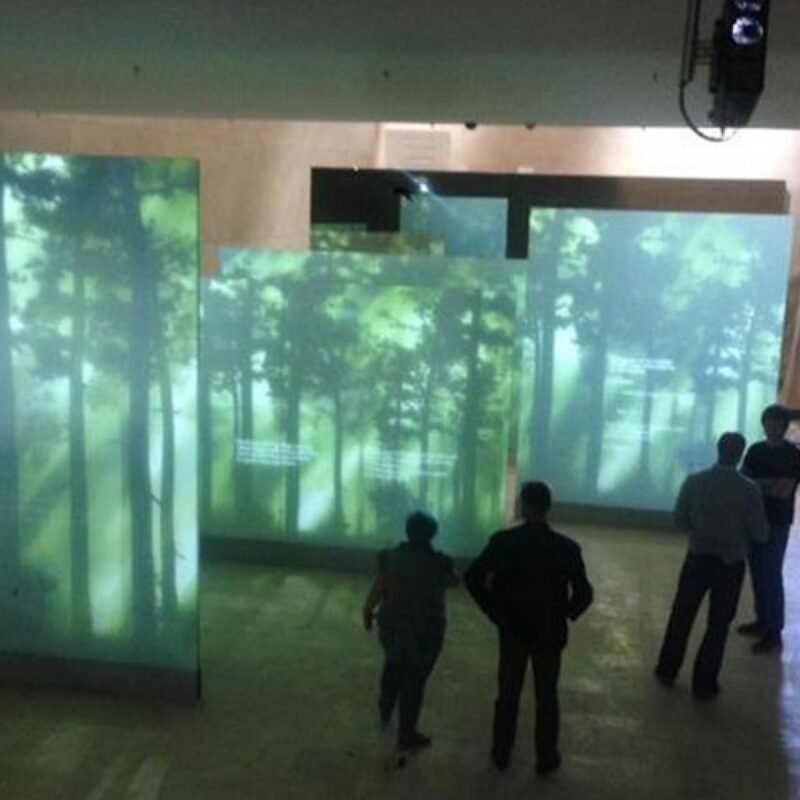 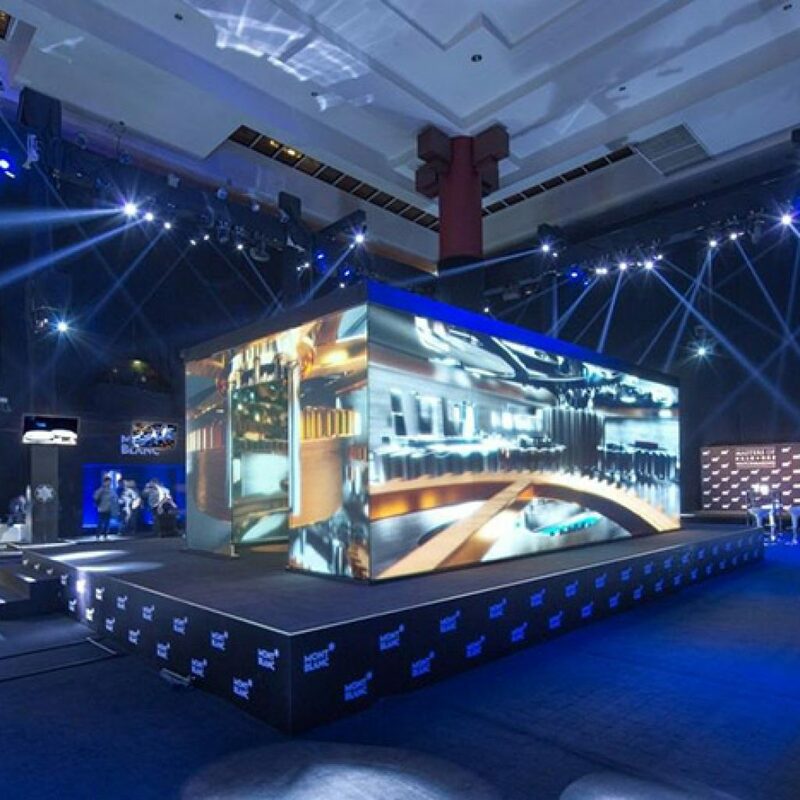 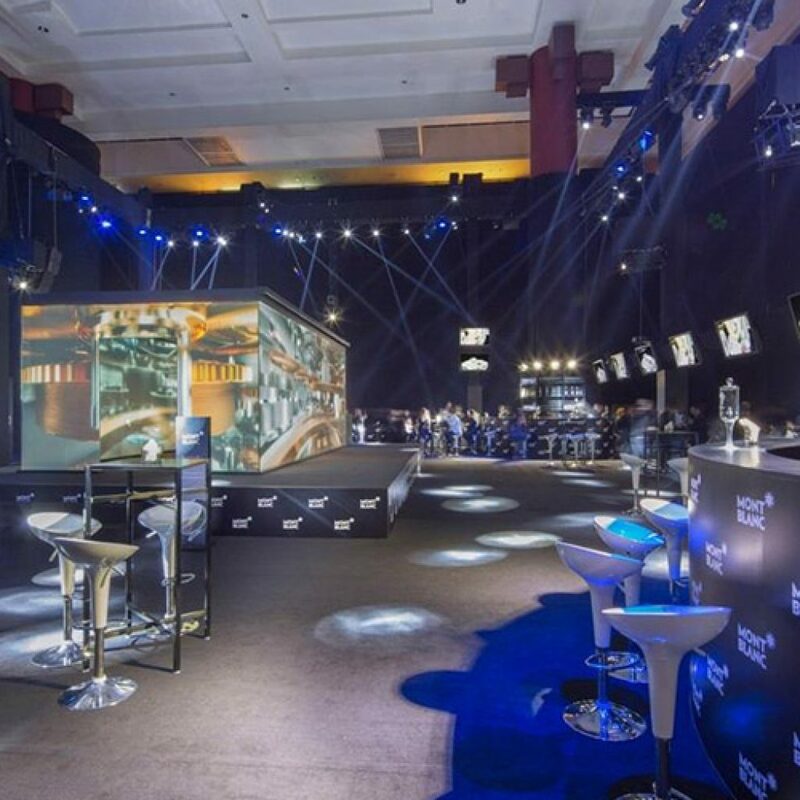 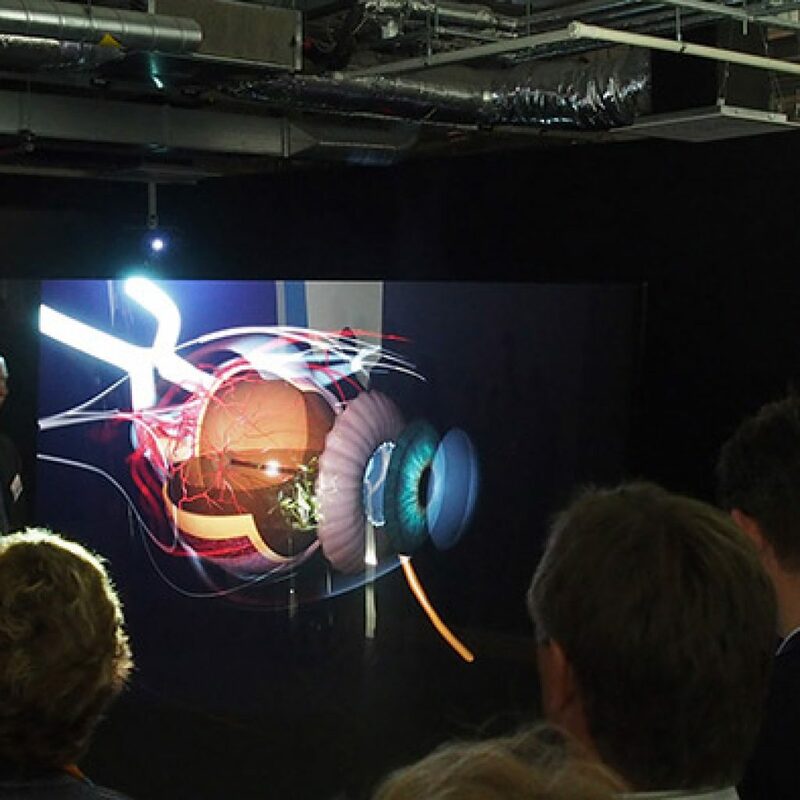 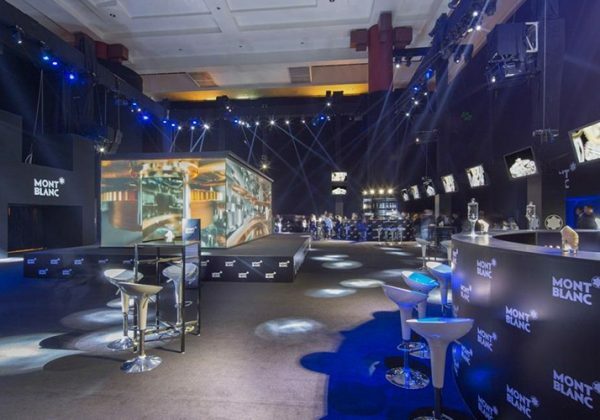 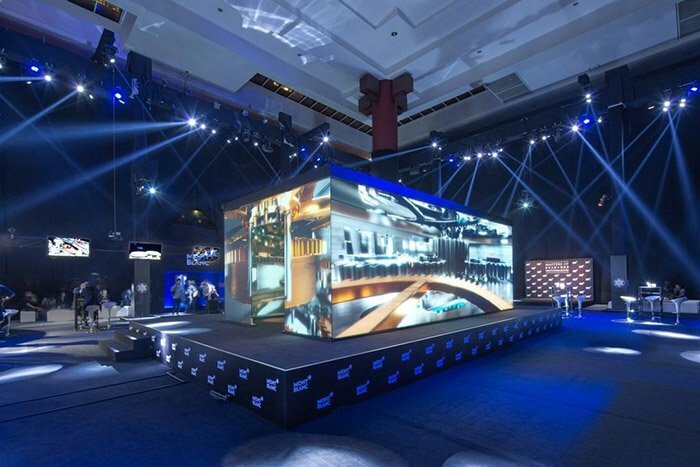 Offering the ultimate wow factor, turning instantly from a clear transparent screen into an HD rear projection surface at the press of a button. 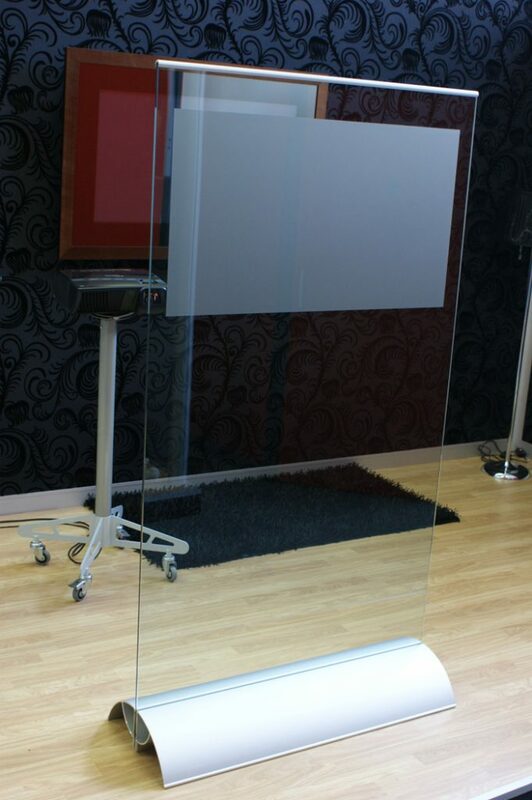 This type of screen can change its appearance from being frosted to clear when an electrical current is applied. 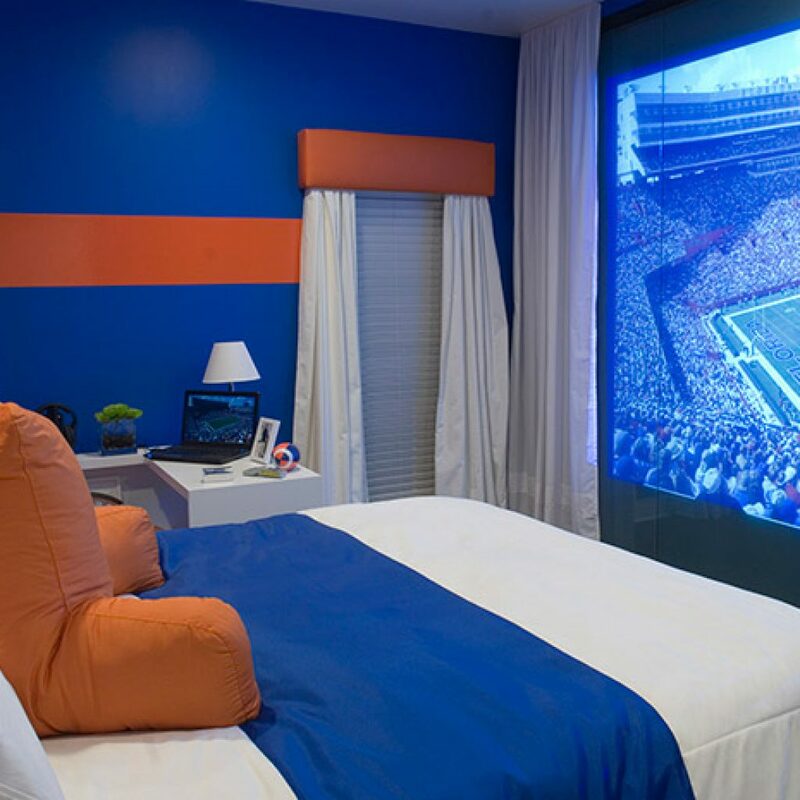 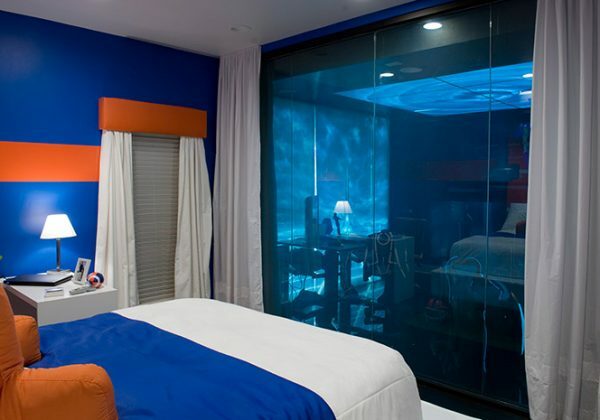 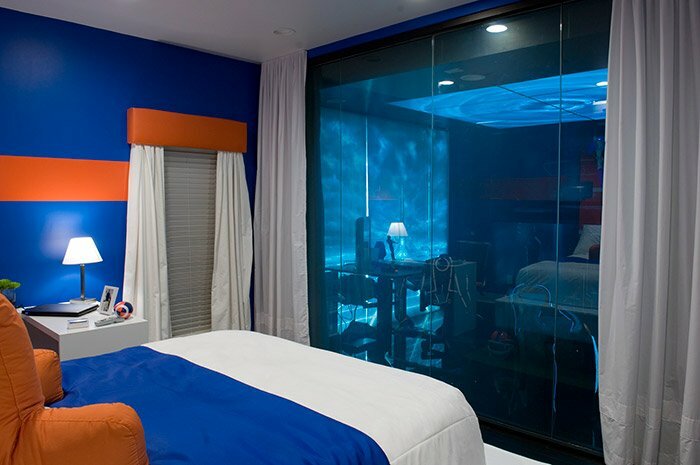 When in the frosted state it can be used as privacy glass or a rear projection screen. 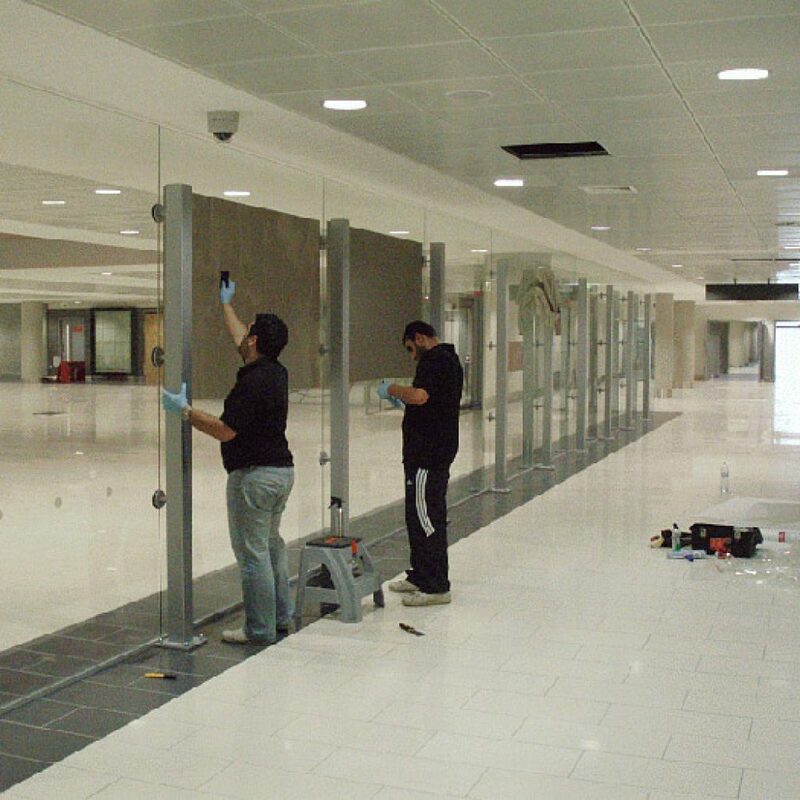 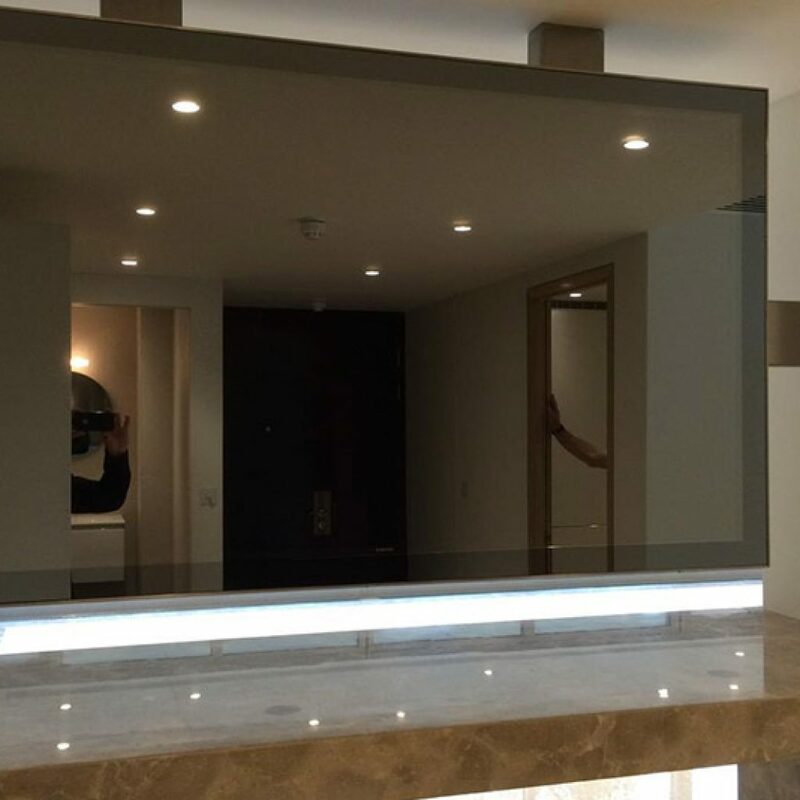 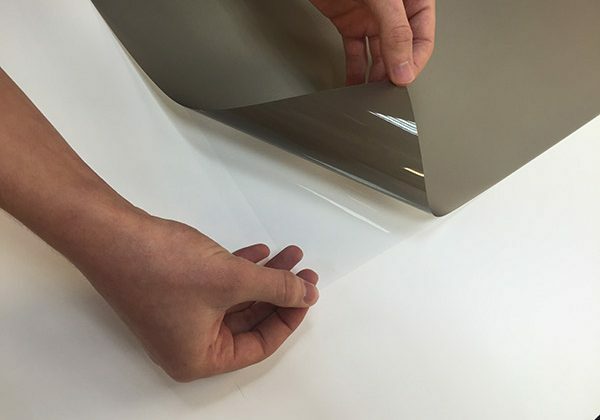 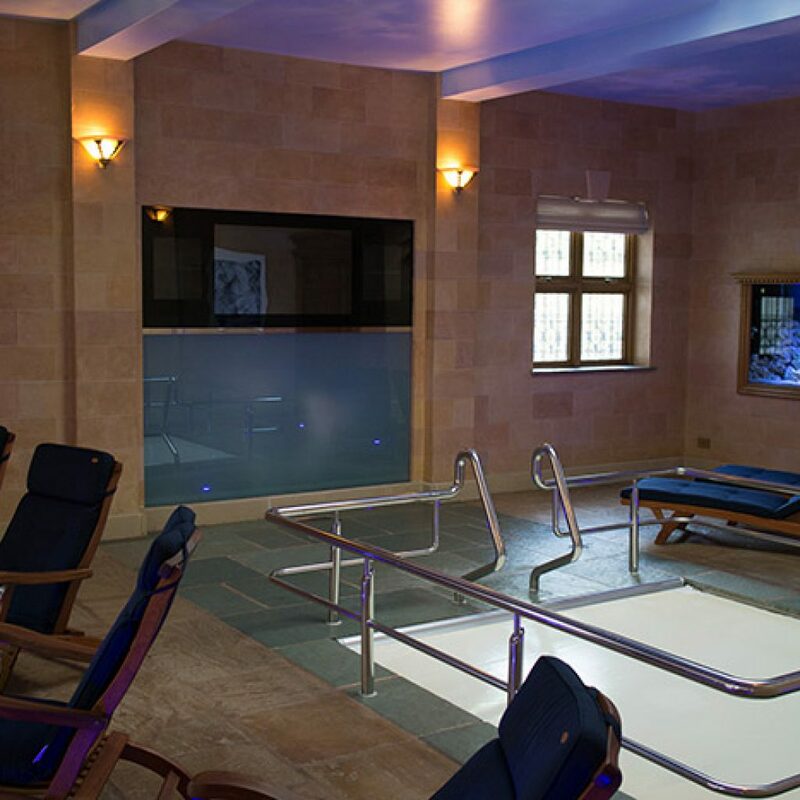 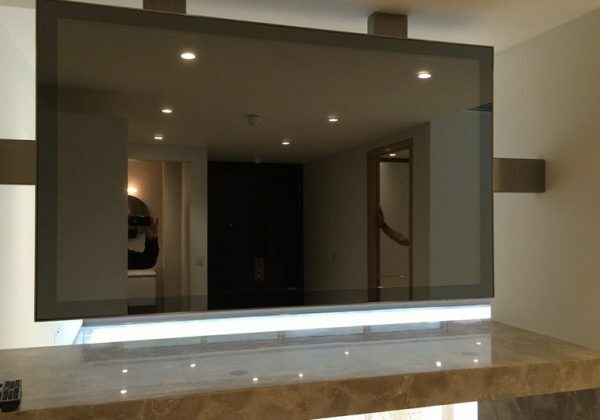 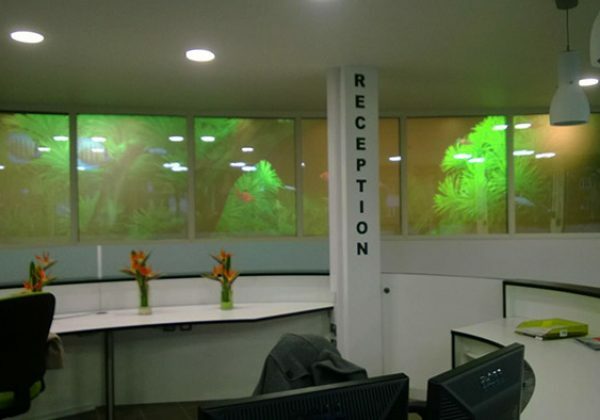 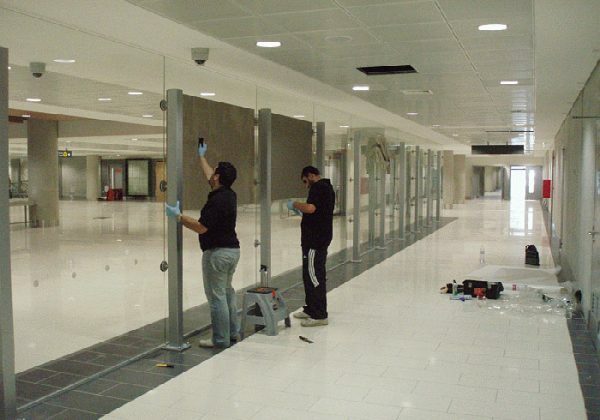 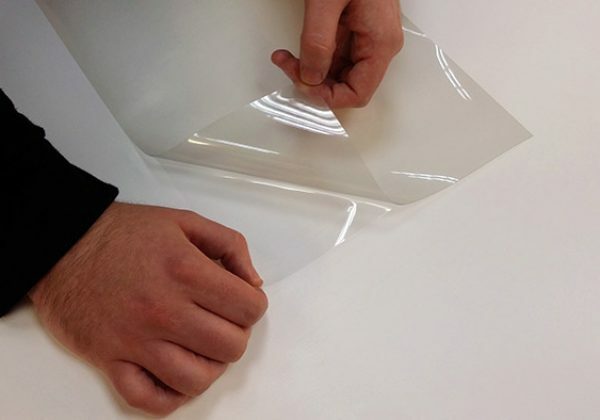 Switchable screens are available as either a self-adhesive film that can be applied to existing glass or applied to a variety of new glazing panels such as double glazing and laminated etc. 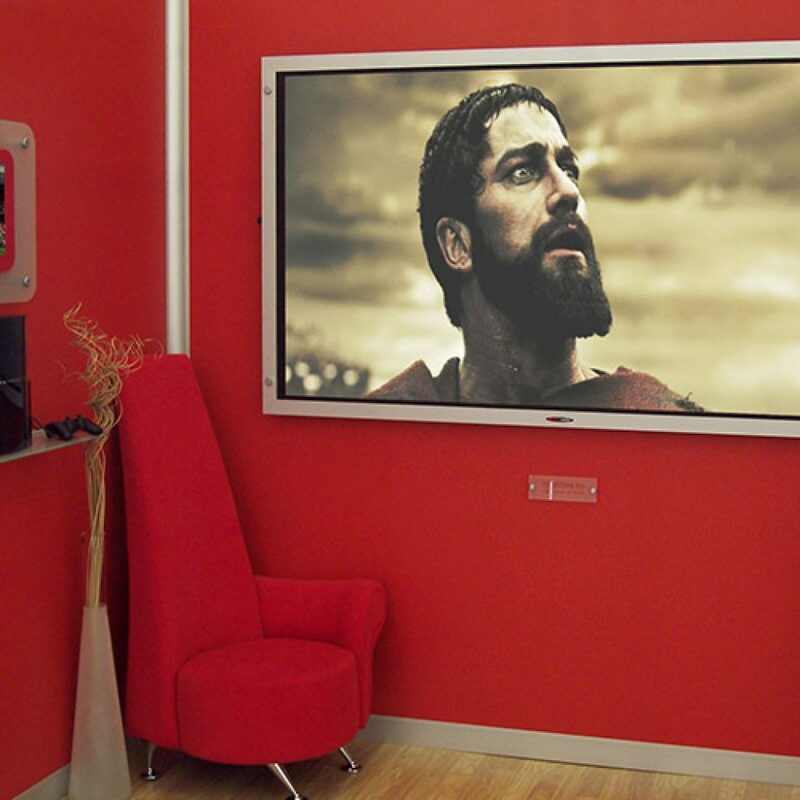 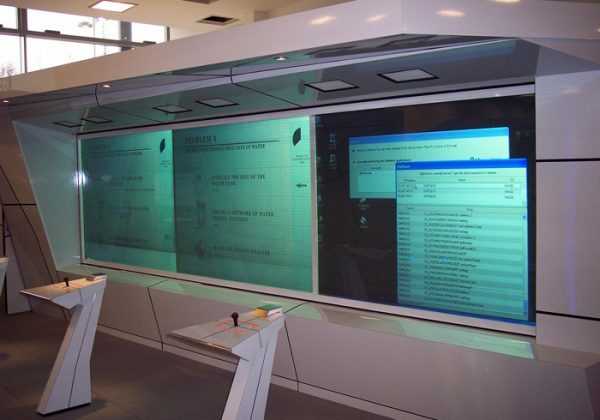 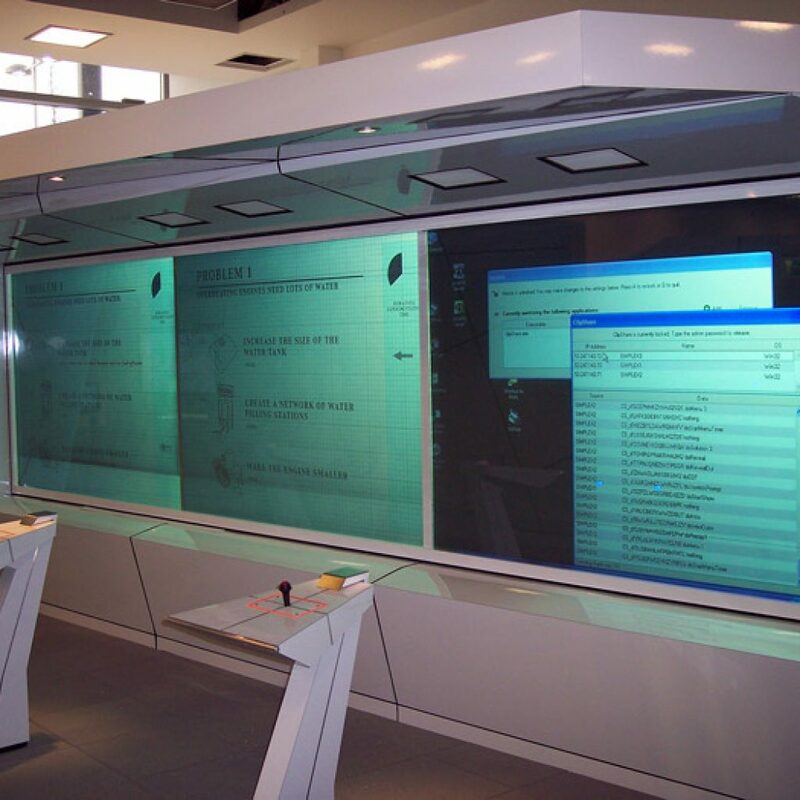 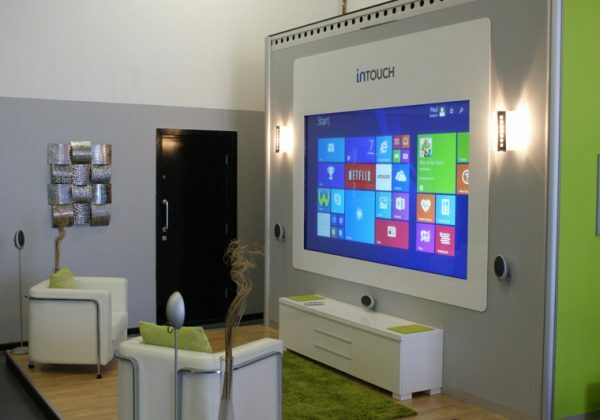 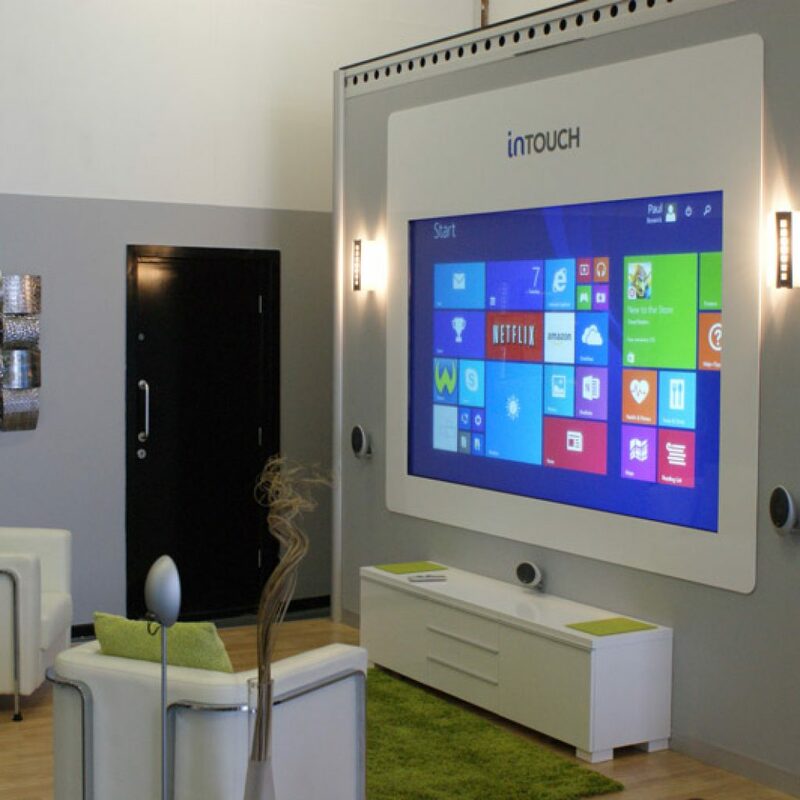 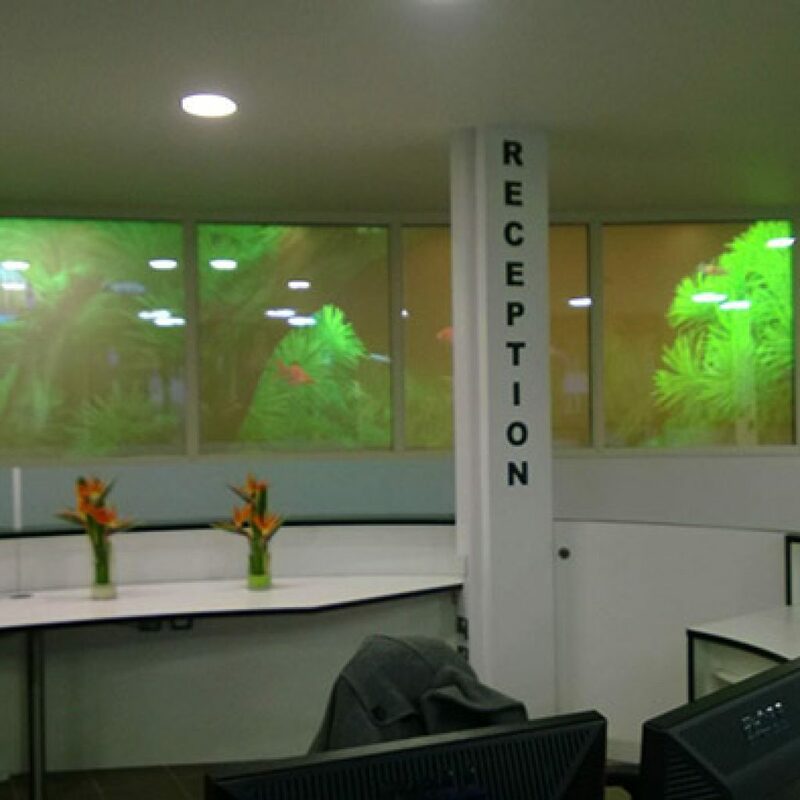 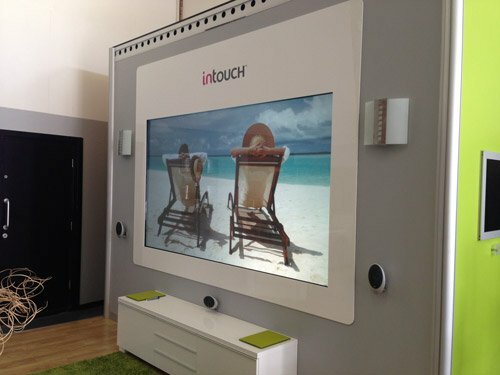 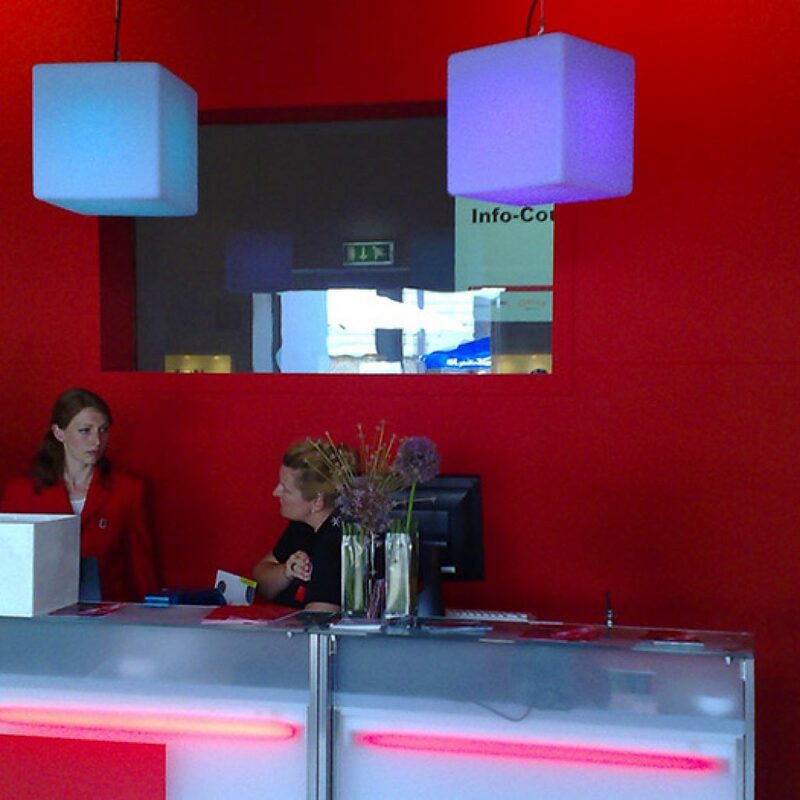 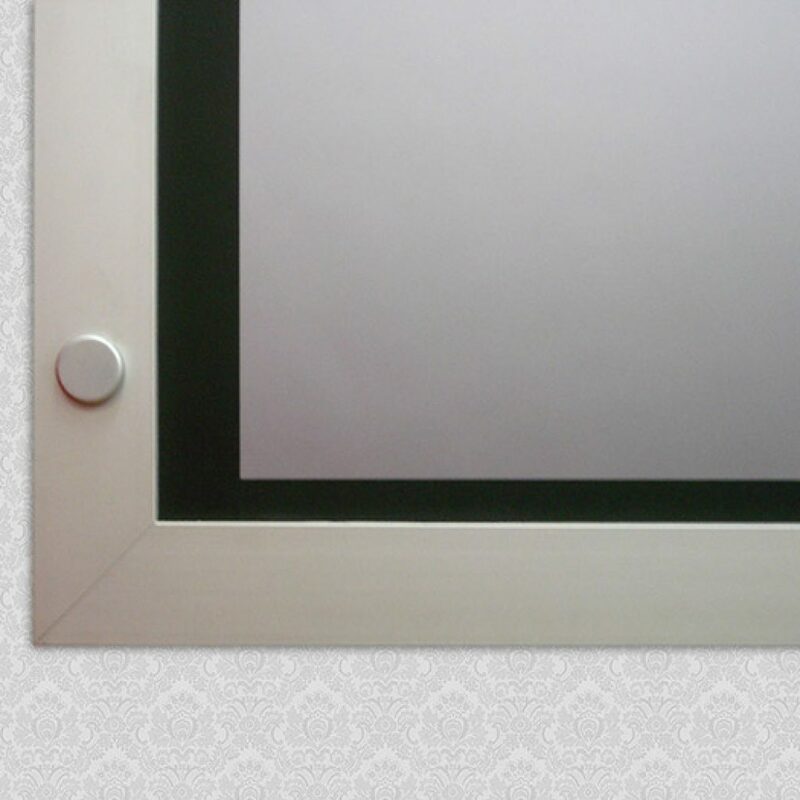 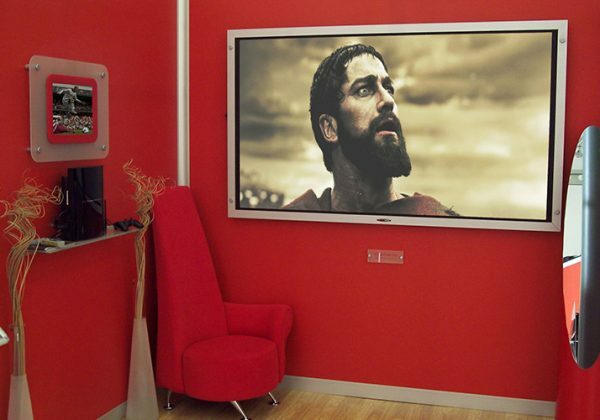 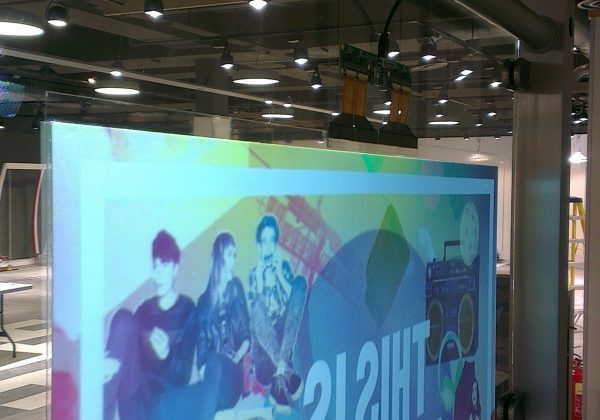 Multi-touch switchable glass is also available for interactive applications. 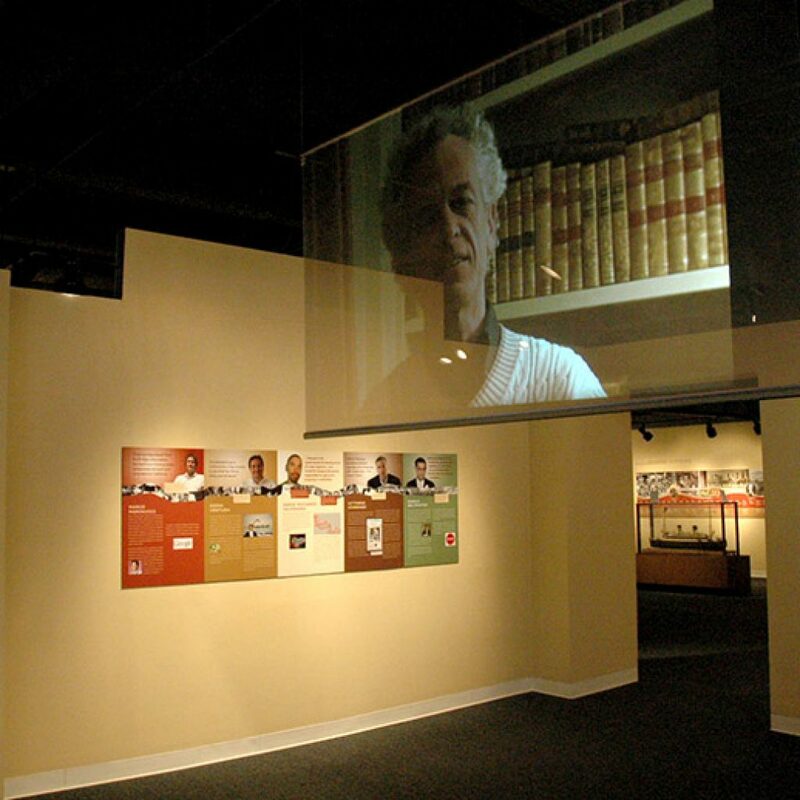 Front projection versions are also now available, see the “Front projection screens & Films” section for more information. 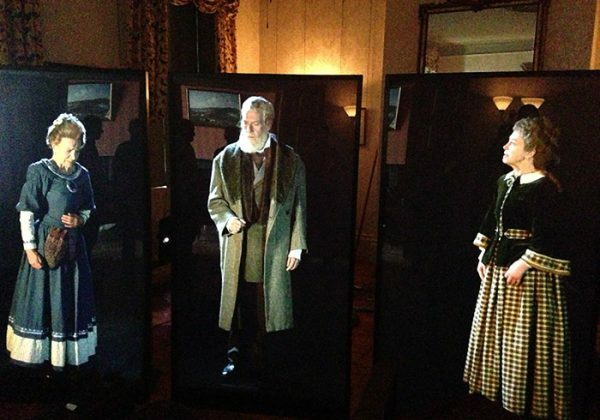 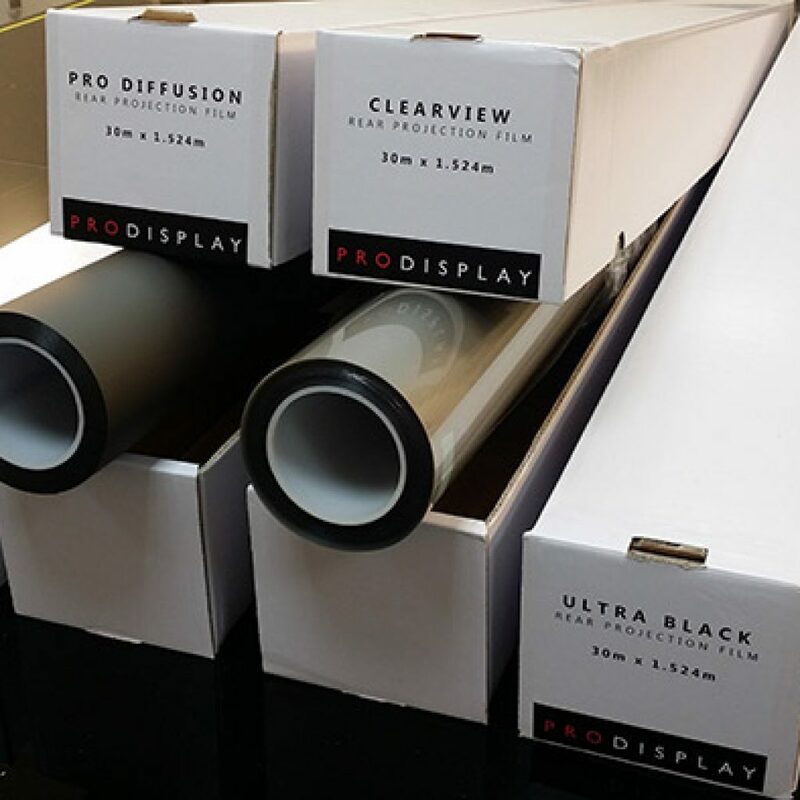 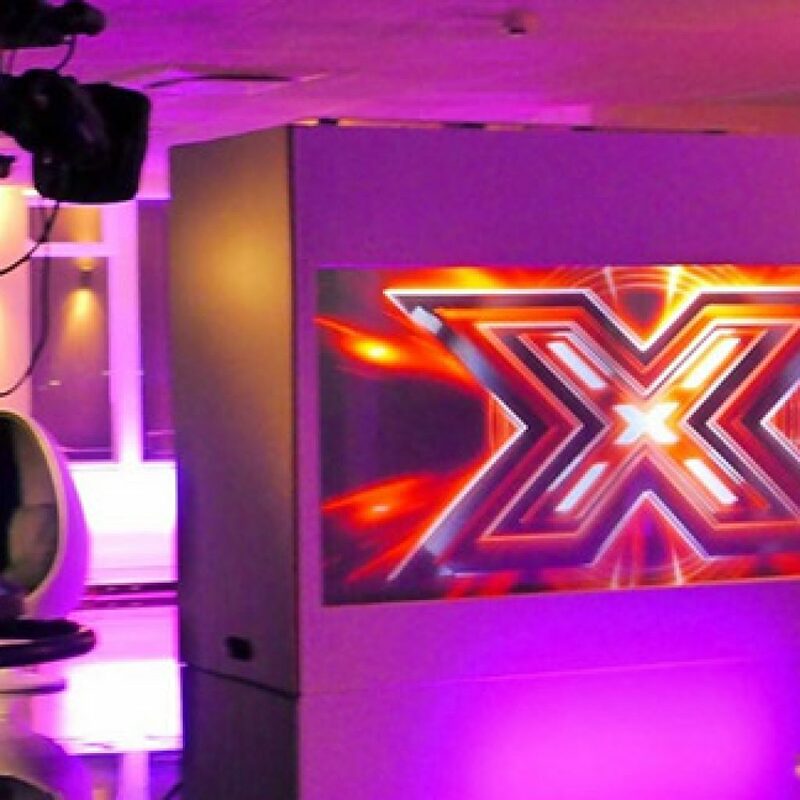 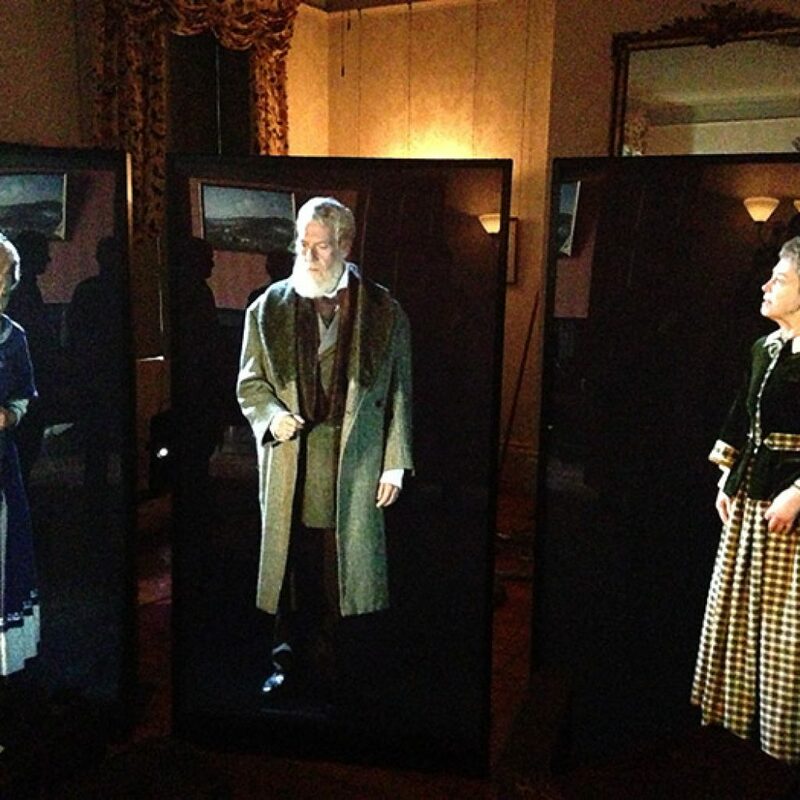 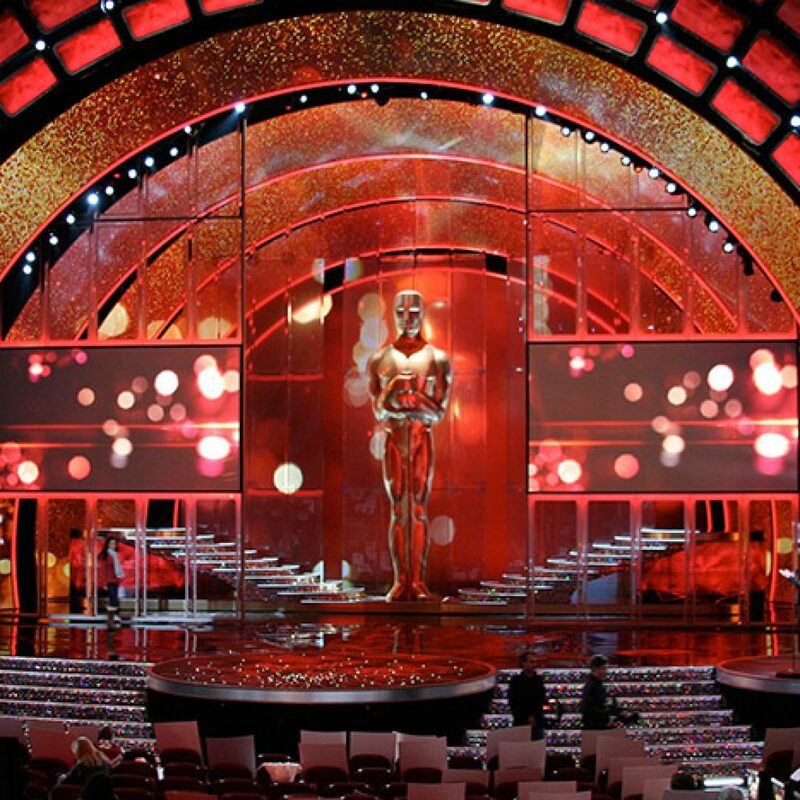 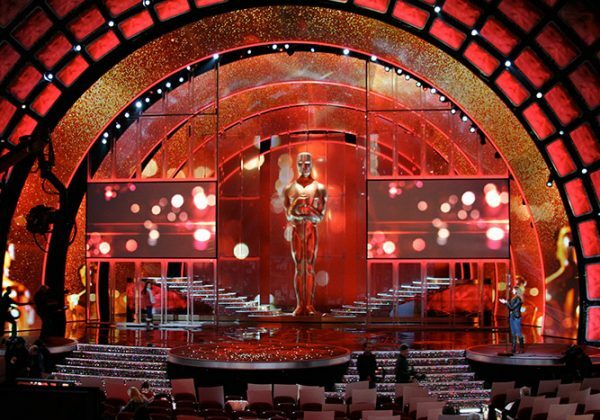 A designer rear projection glass stand with a choice of rear projection film to suit your application and budget, choose from Pro Diffusion, Clearview or Ultra black. 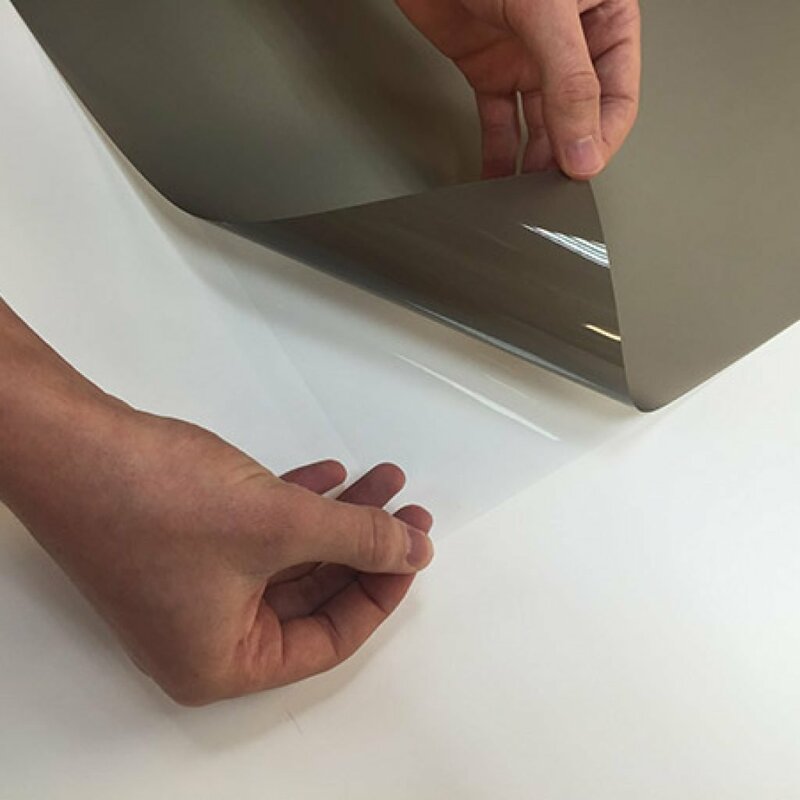 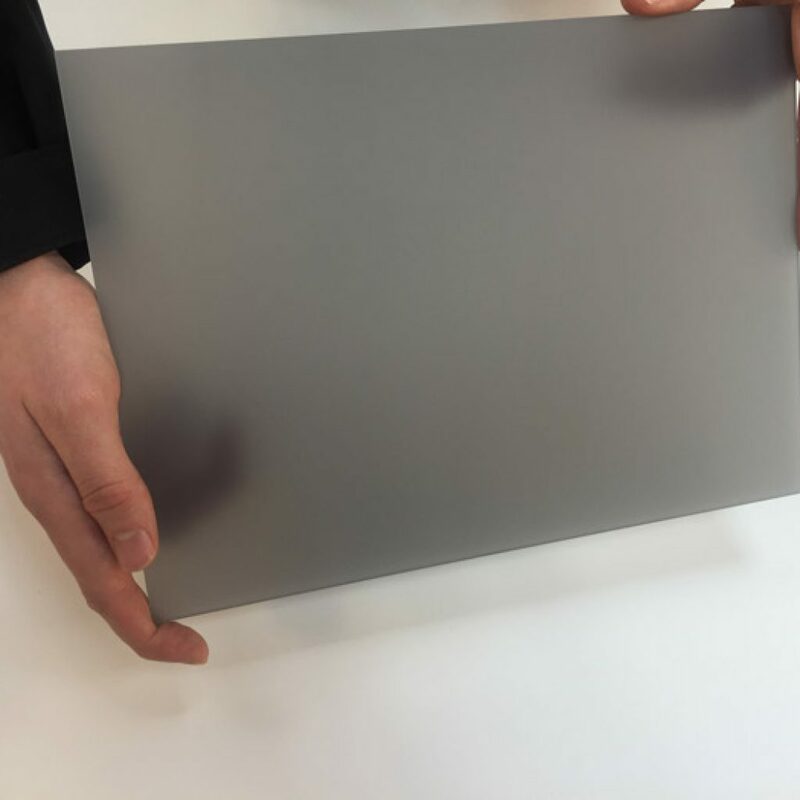 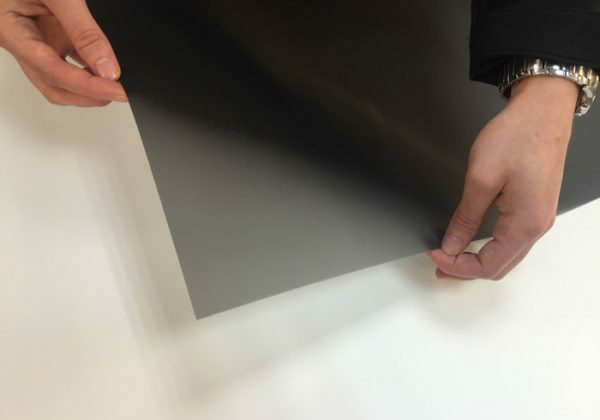 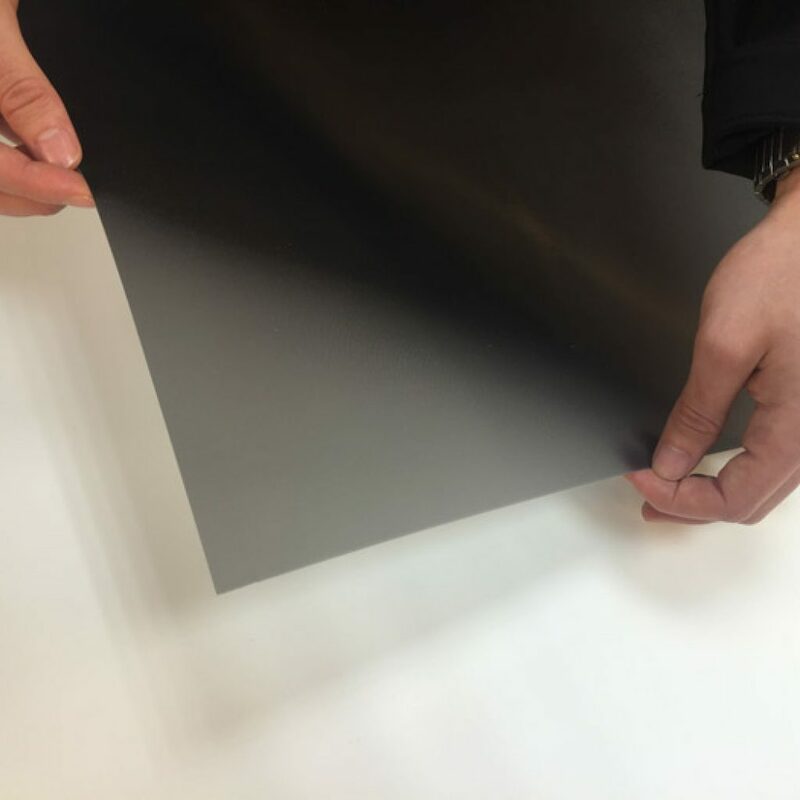 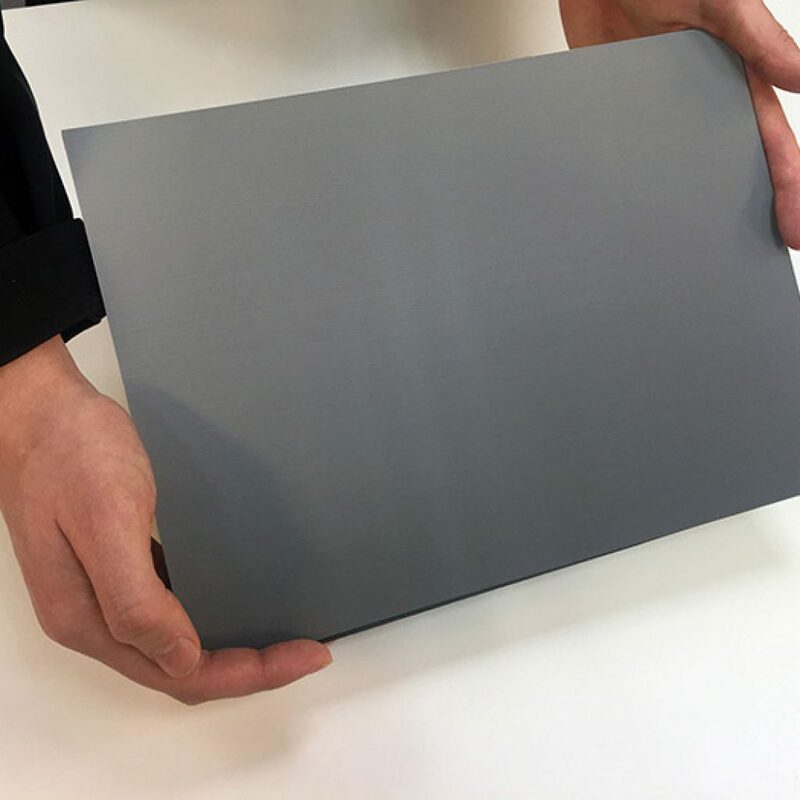 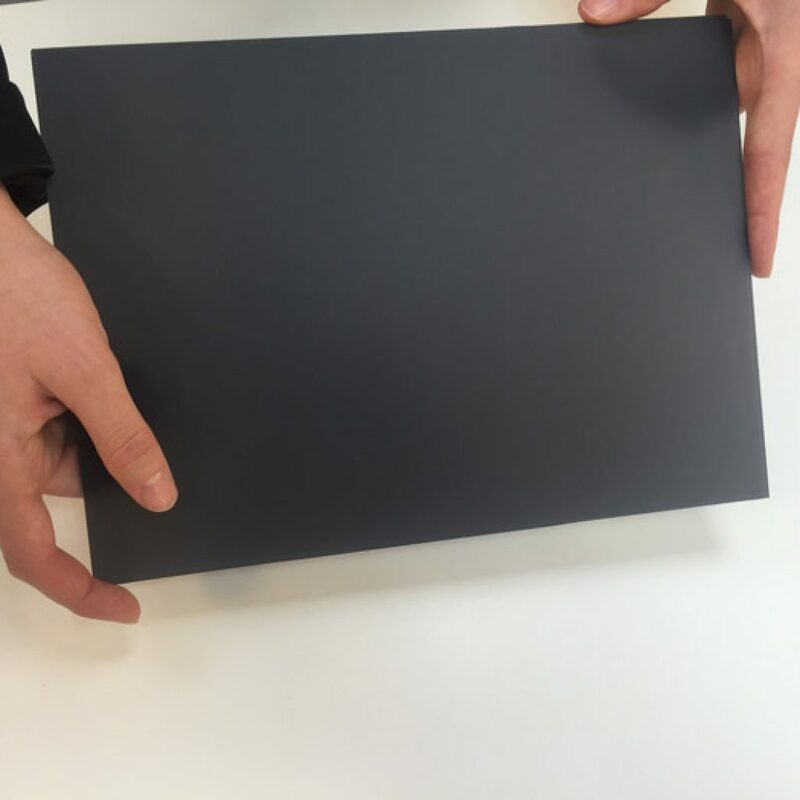 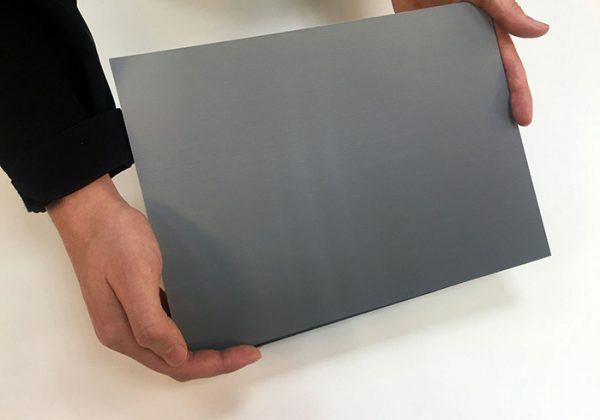 An entry level high brightness diffusion film screen that is light grey in appearance. 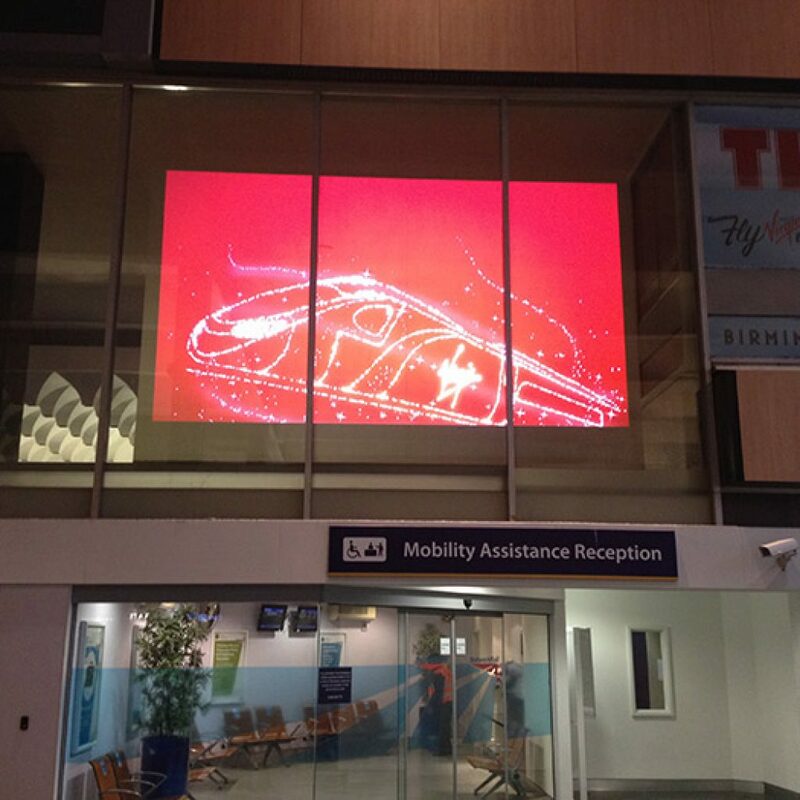 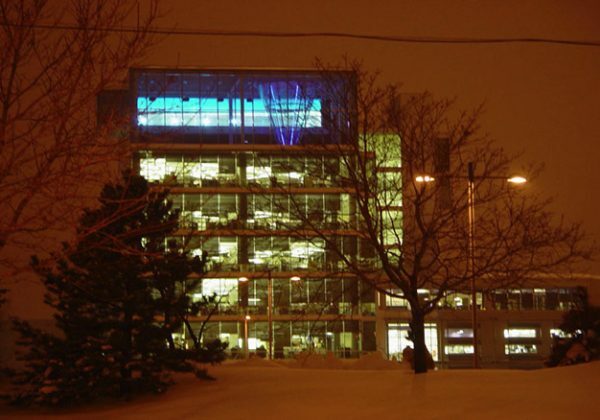 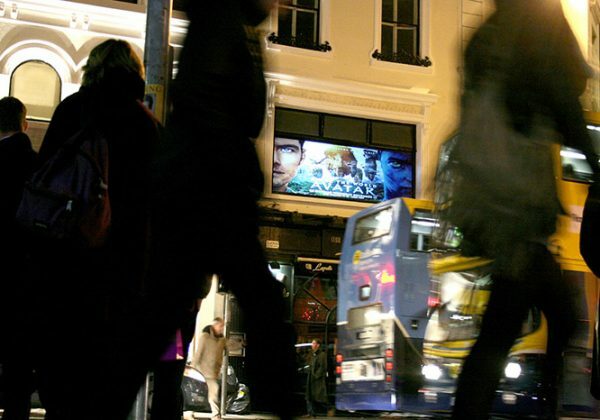 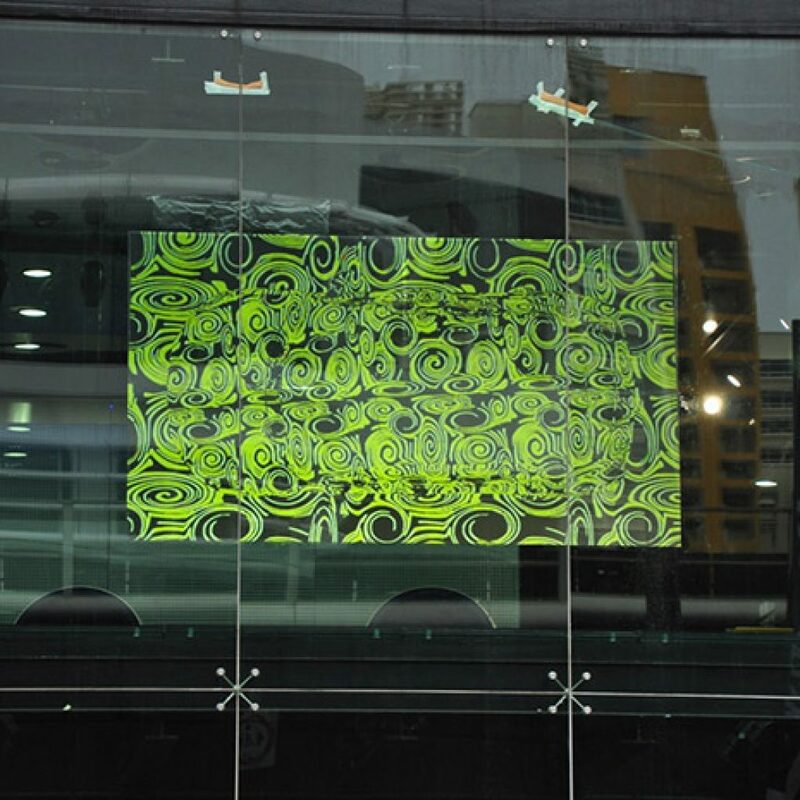 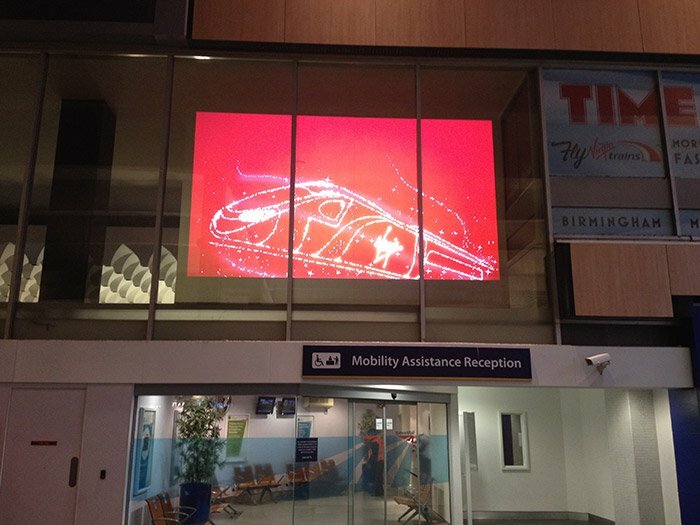 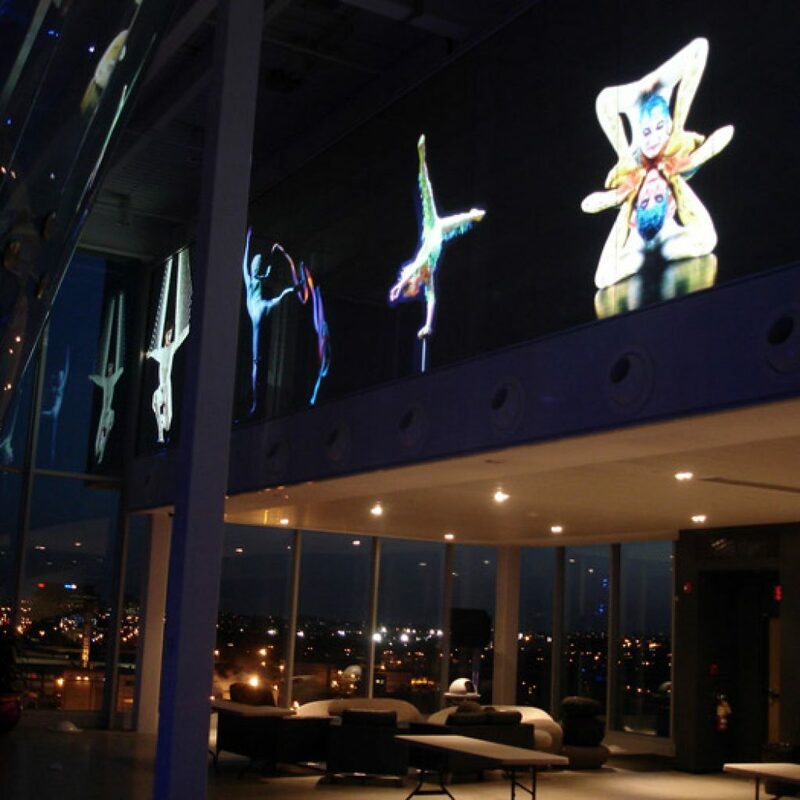 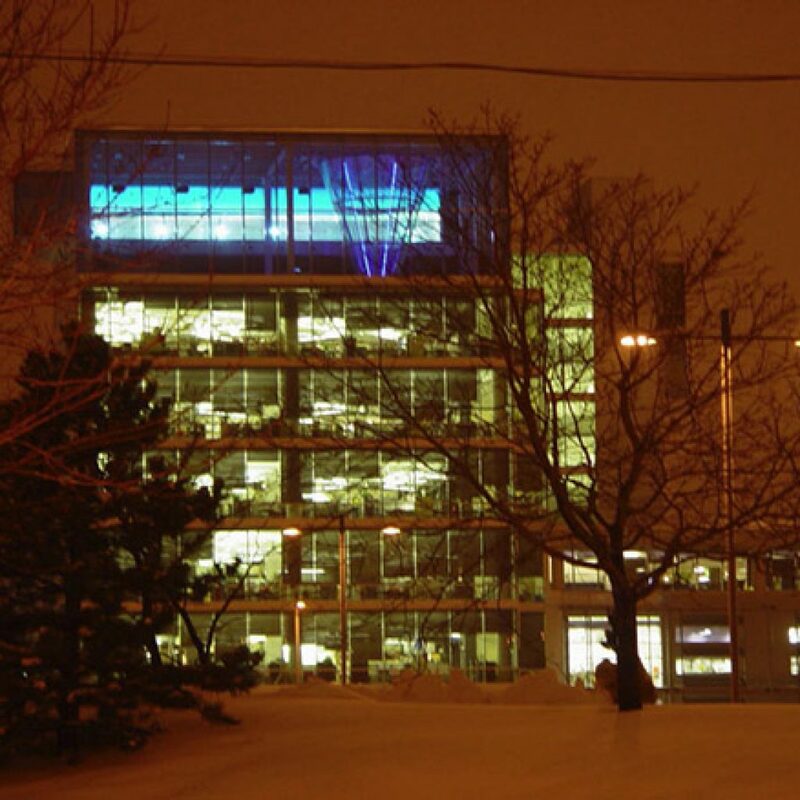 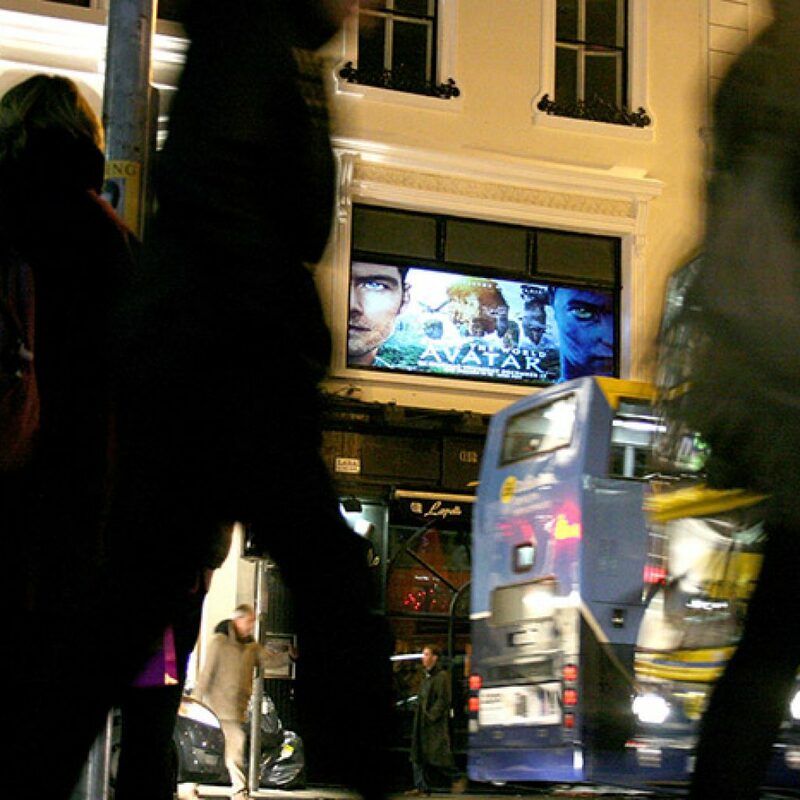 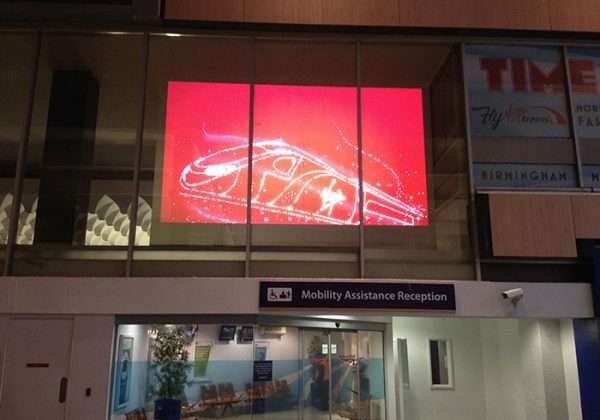 High Gain offers a cost effective solution for window projection applications where budget is key and is suitable for high brightness applications using lower powered projectors. 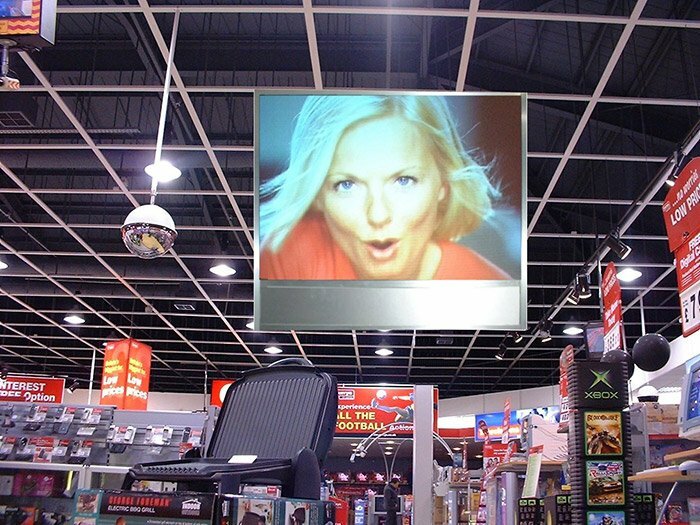 High Gain is ideal for general display but not recommended for high end video due to its relatively low contrast levels. 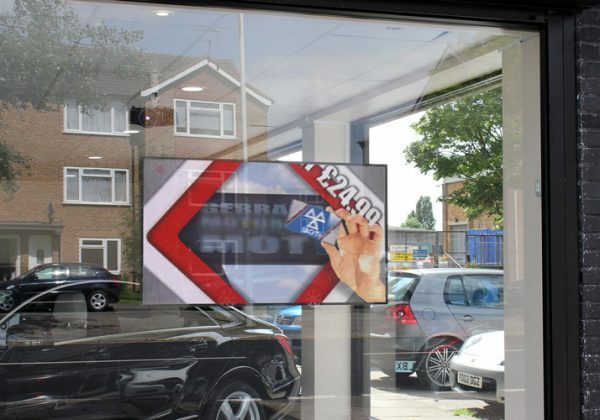 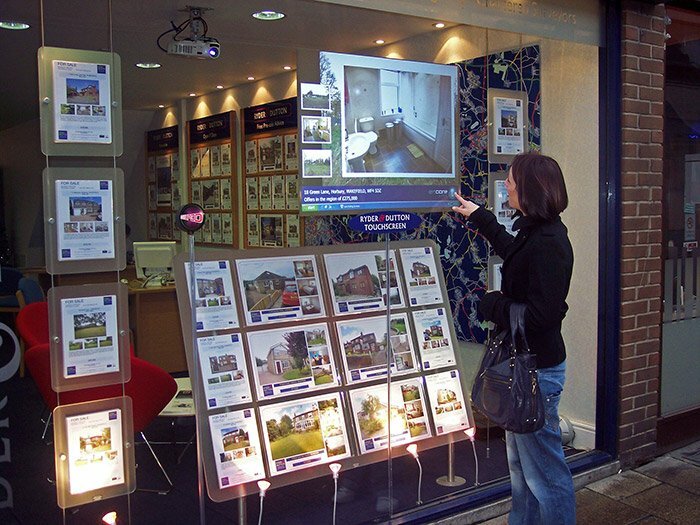 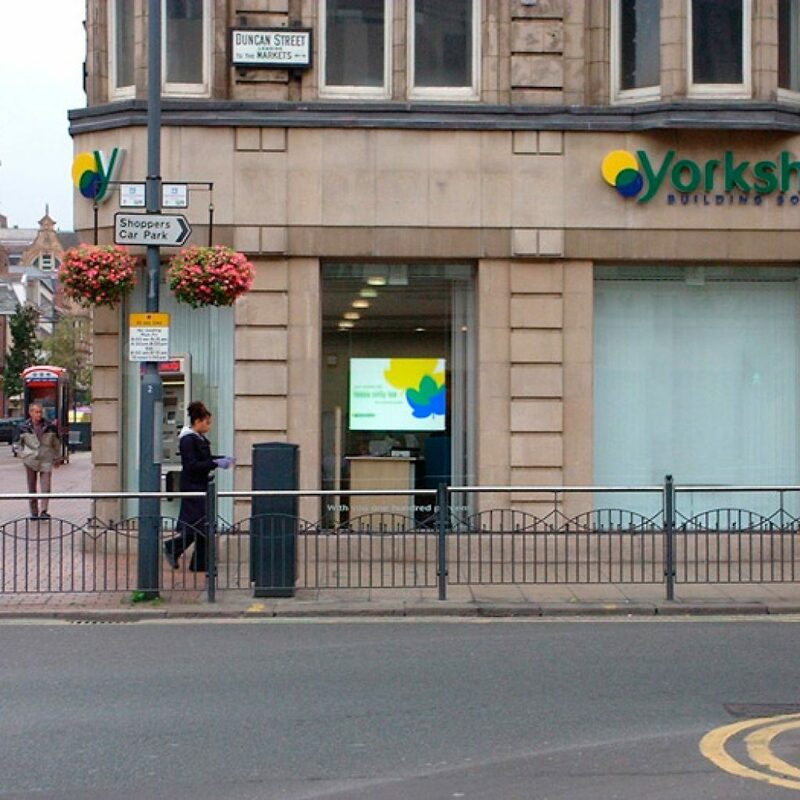 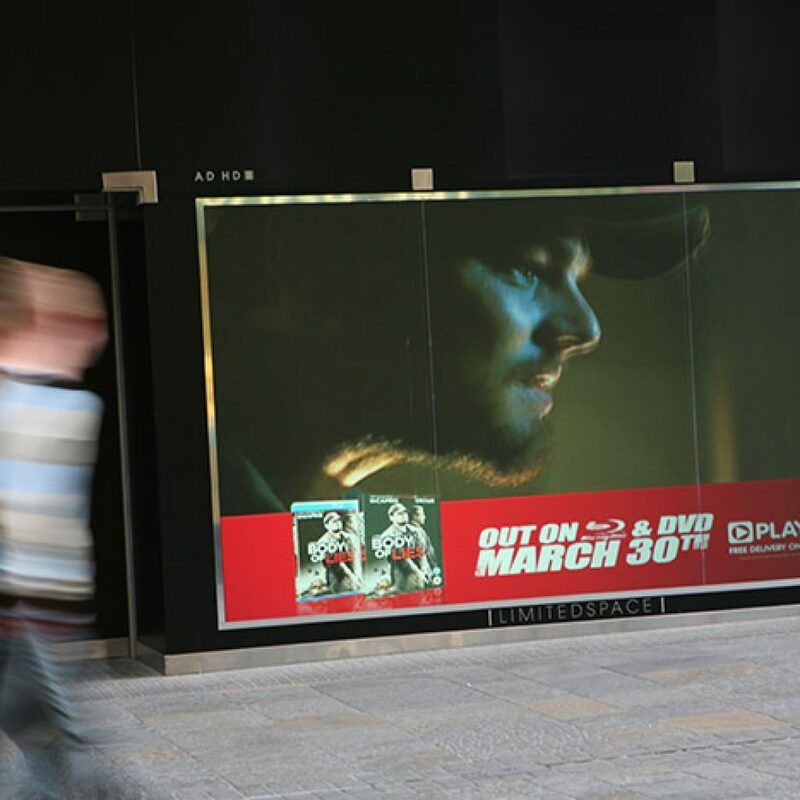 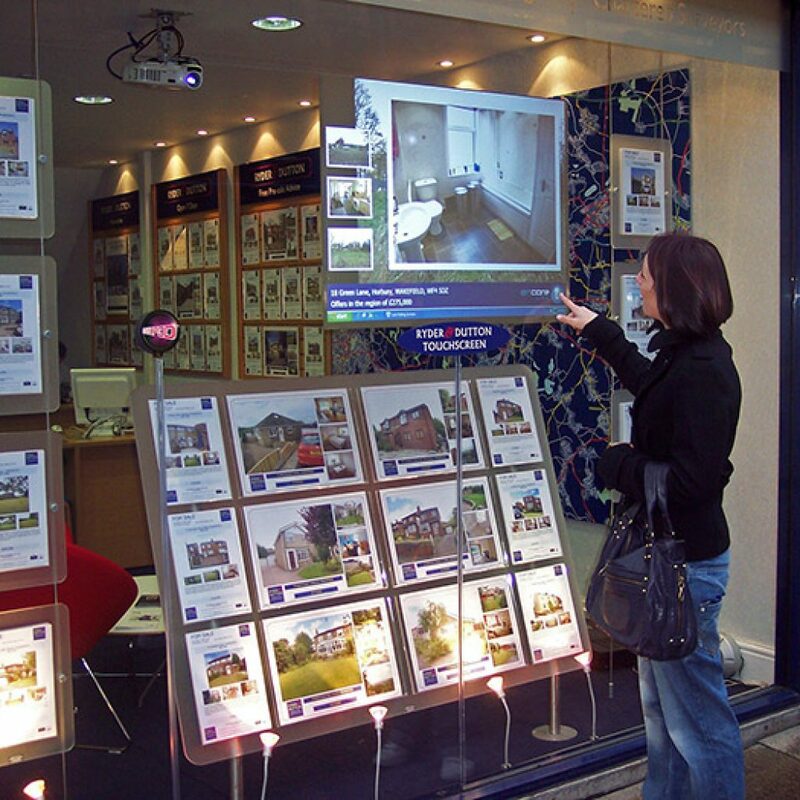 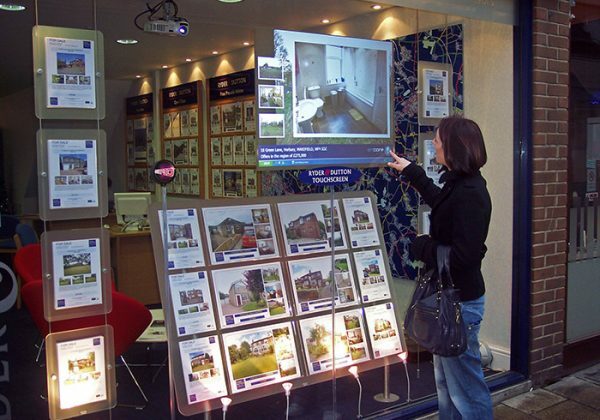 Available as a self-adhesive film and also available with ‘through glass’ touchscreen technology (PCAP) with a choice of either single / dual touch or multi-touch foils for interactive window displays. 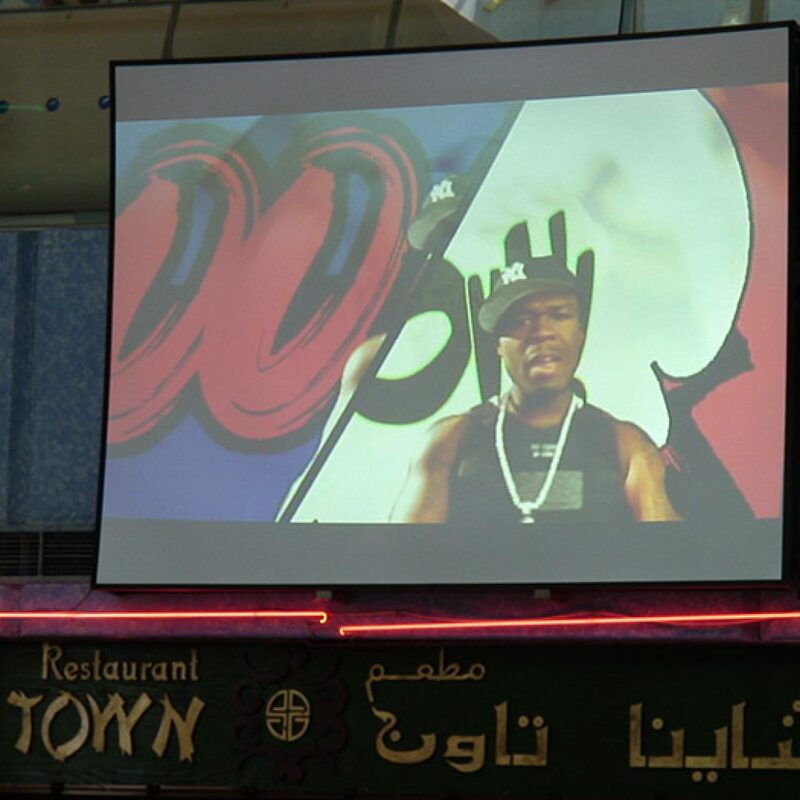 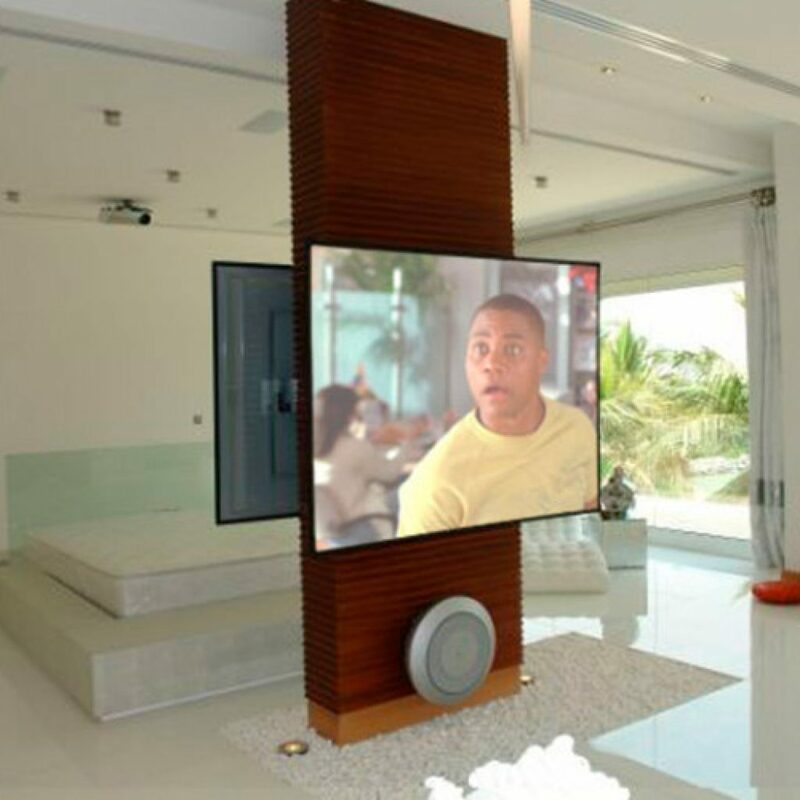 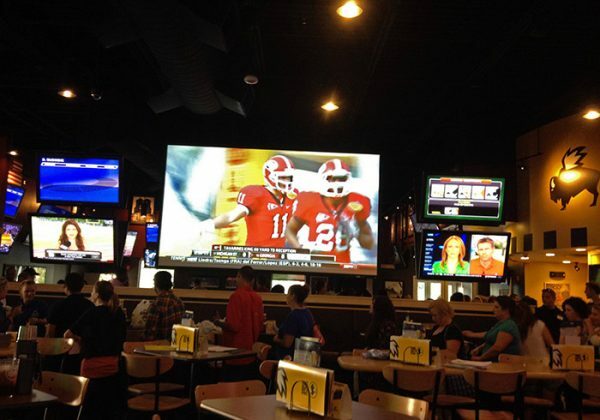 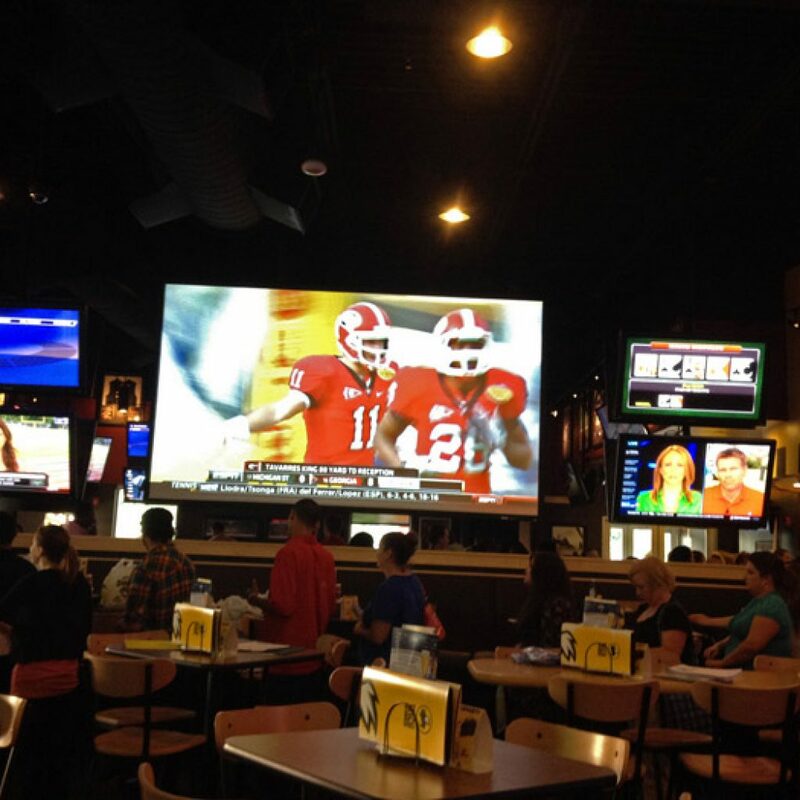 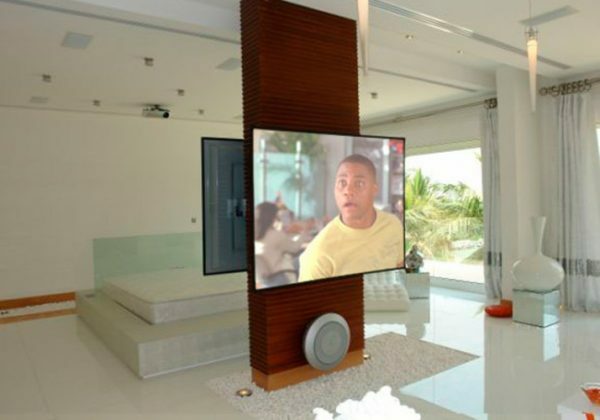 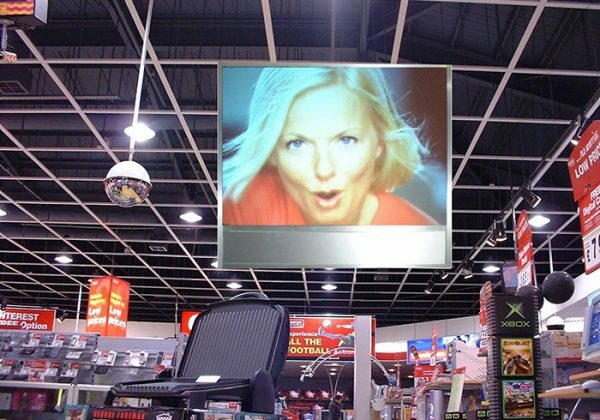 The No.1 selling front projection screen. 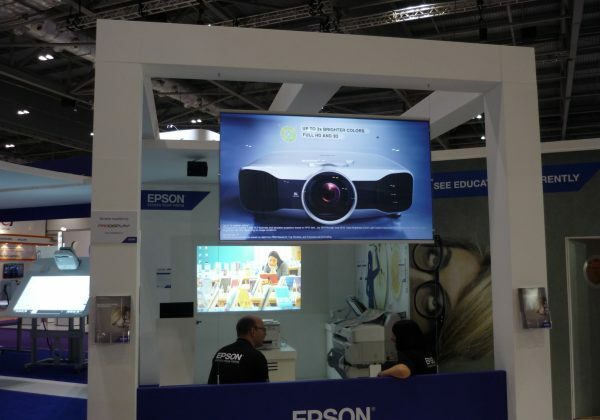 The Ultravision screen boasts superior brightness, contrast and black levels for perfect colour reproduction & HD viewing quality even in brightly lit environments. 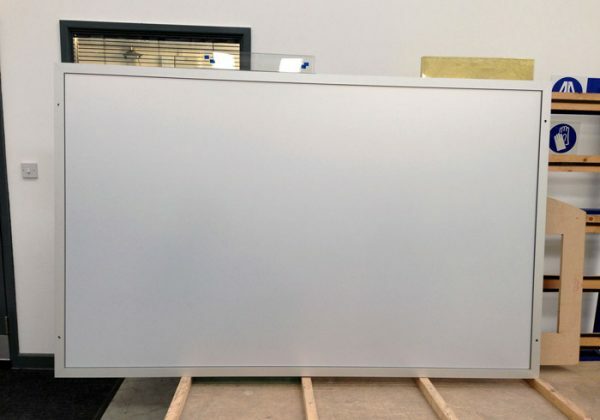 A silvery grey colour this screen was designed for the professional home theatre market and high end commercial applications such as reception areas & hotels. 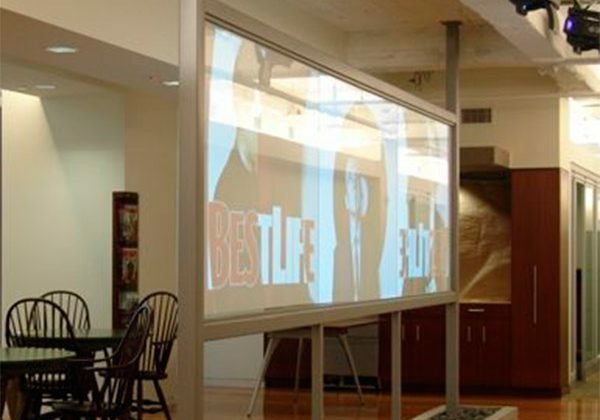 The screen is rightly known as the best front projection screen available, offering 10 times the contrast and 5 times the brightness levels of conventional screens! 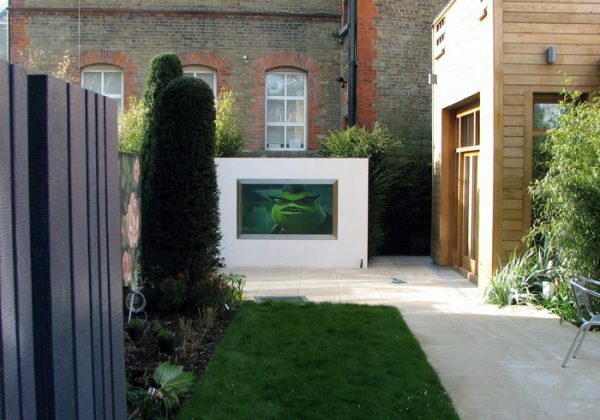 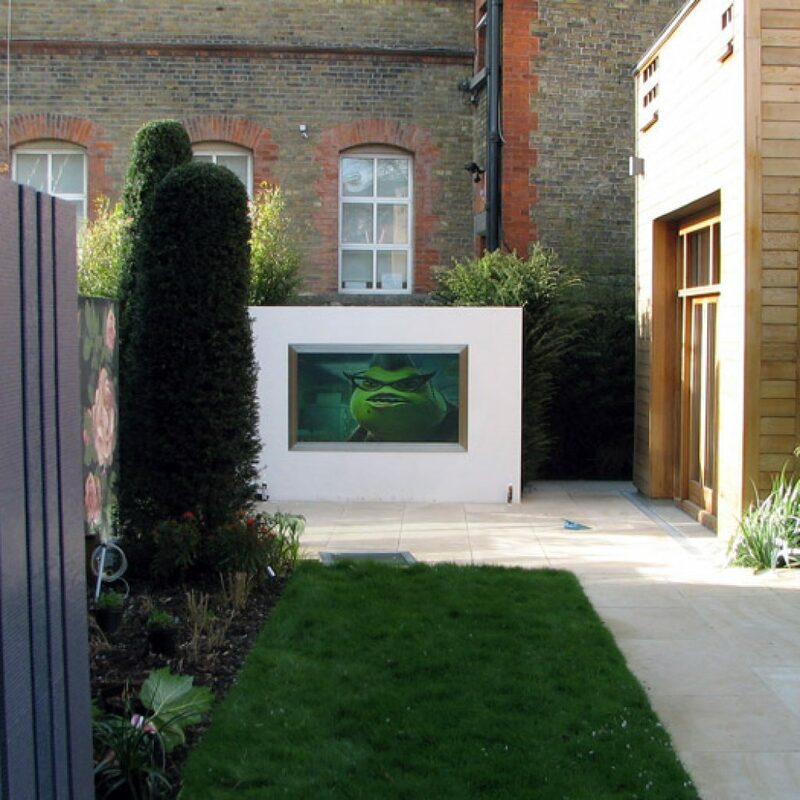 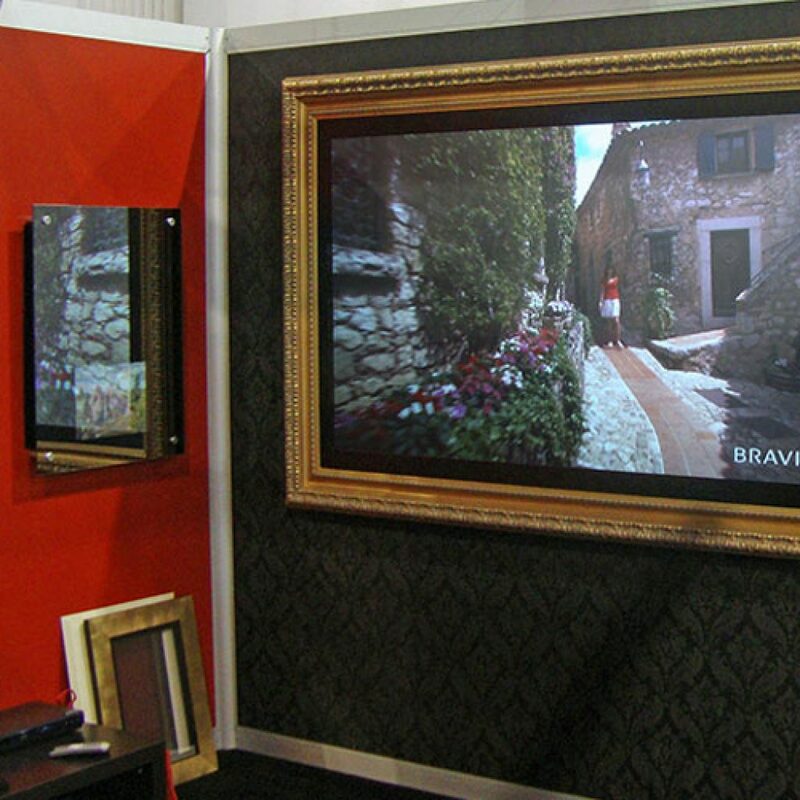 A rigid acrylic front projection screen, it is also available with a range of decorative frames in either contemporary or traditional styles to suit any décor. 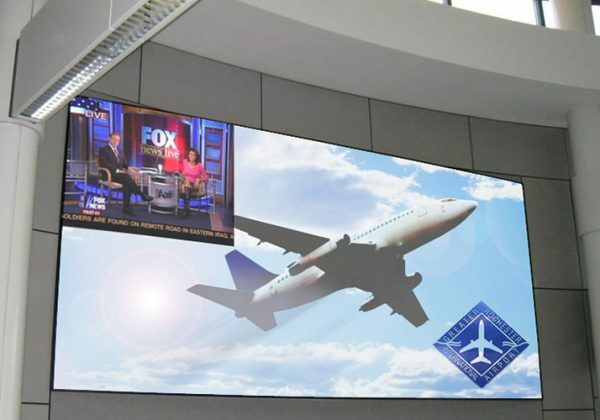 Available in sizes up to 8000 x 3000mm in a lightweight acrylic, or 6000 x 3000mm in an optical glass, these screens are designed to create true larger than life visual experiences. 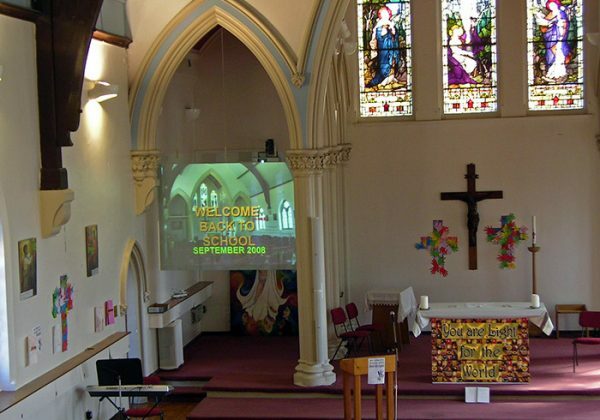 Available in front or rear projection and also suitable for use with short throw projectors where space is limited. 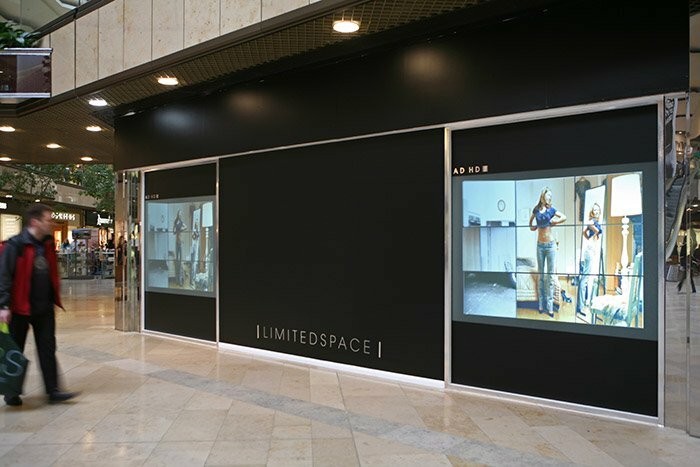 The Ultra Gain screen is built with a silver reflective surface & offers the brightest front projection images possible, whilst maintaining good contrast levels for better image quality. 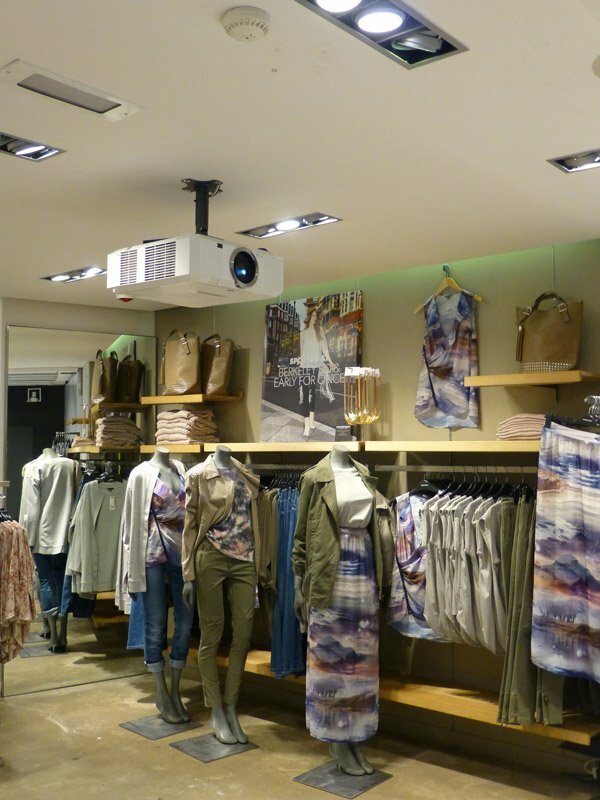 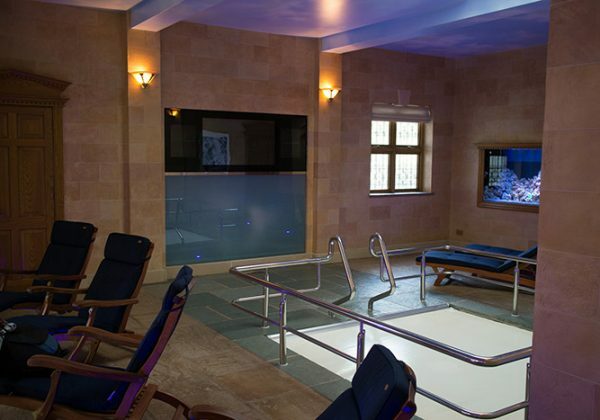 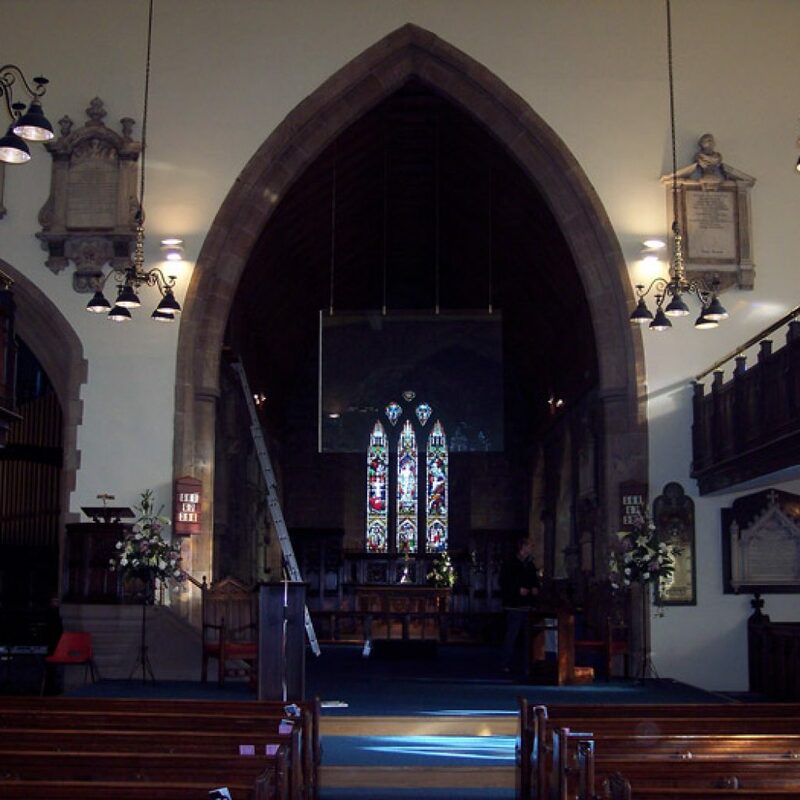 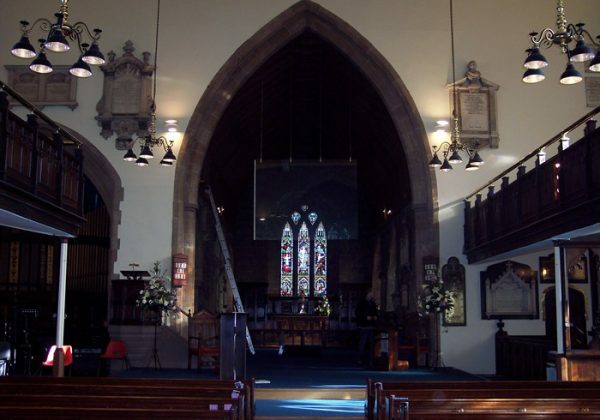 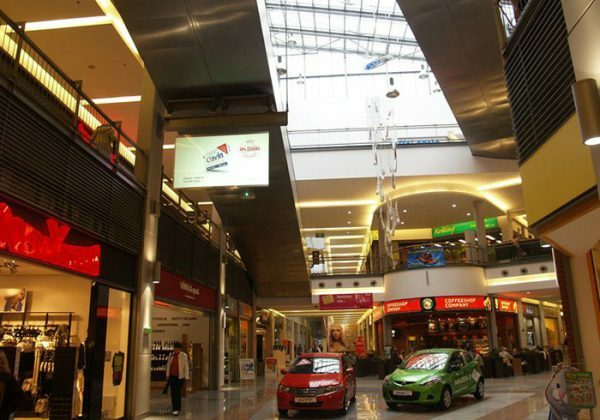 Designed for areas with high levels of ambient light and daylight or where lighting cannot be controlled. 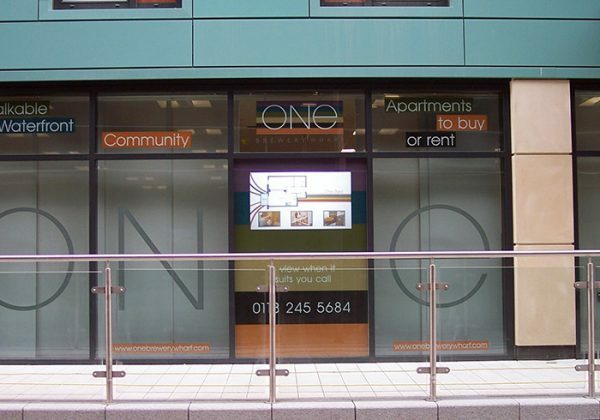 Available in rigid acrylic or self-adhesive film. 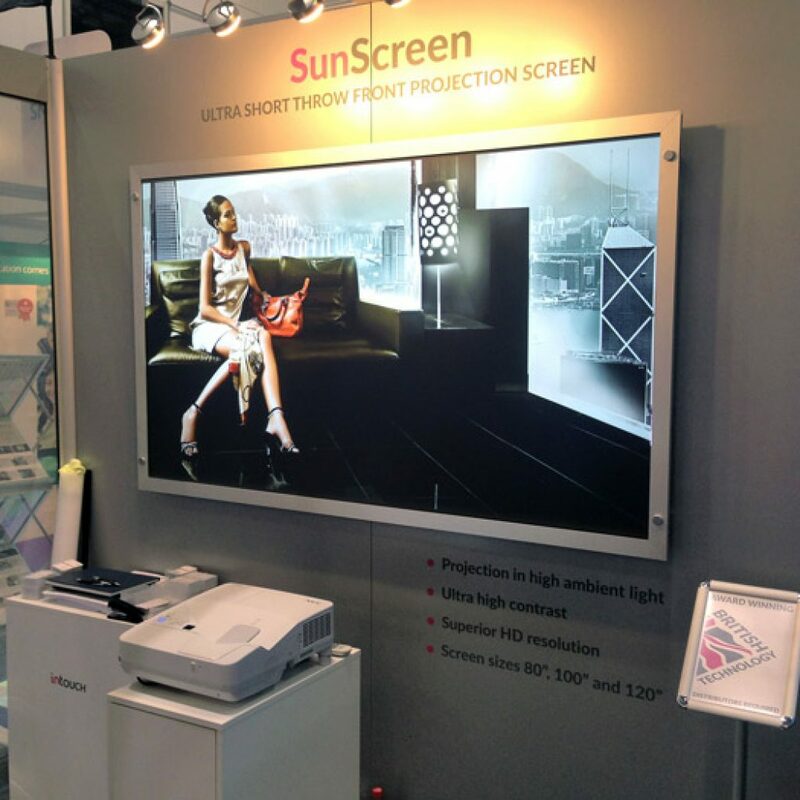 The screen combines a high contrast optical projection layer with a light-rejecting filter used in Sunscreens. 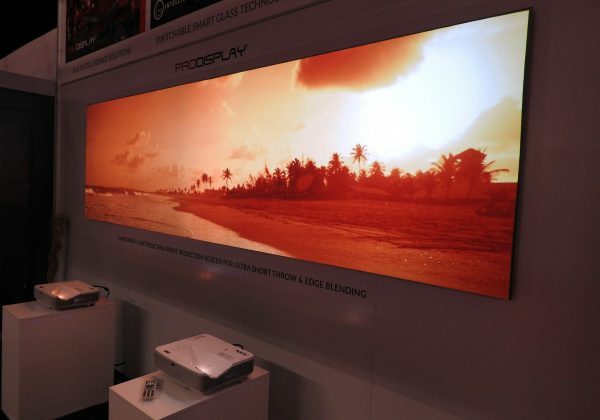 The result is stunning images with high brightness, contrast and resolution even in high ambient light conditions, bright daylight or sunlight. 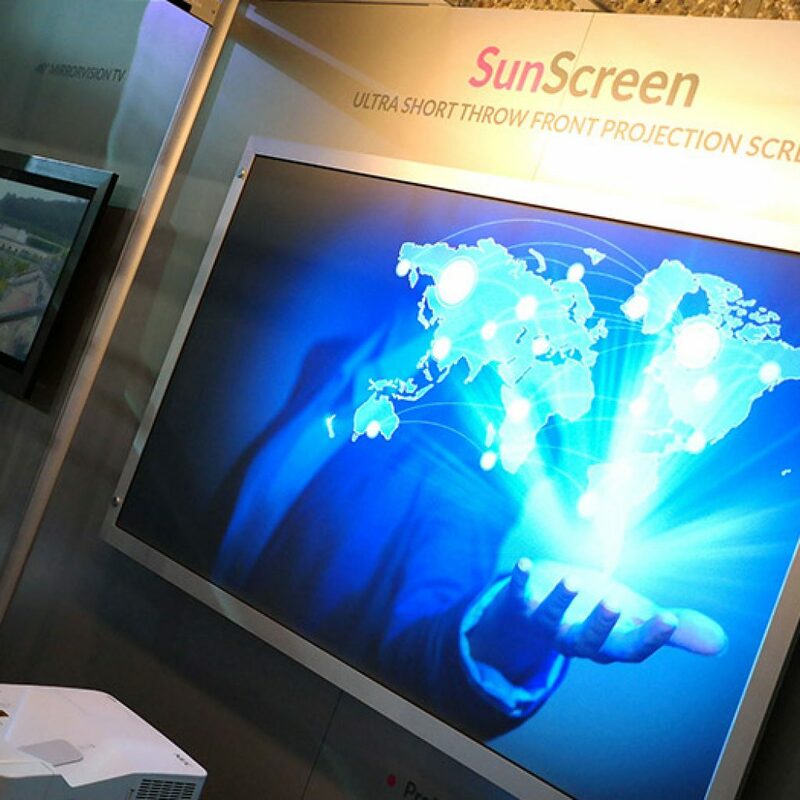 The SunScreen Ultra Short Throw front projection screen is designed specifically for the latest ultra short throw (UST) projectors (around 0.4 lens and shorter) and produces high quality images without any hot-spots. 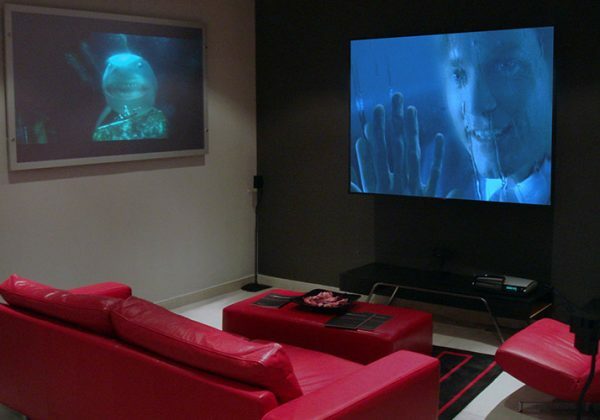 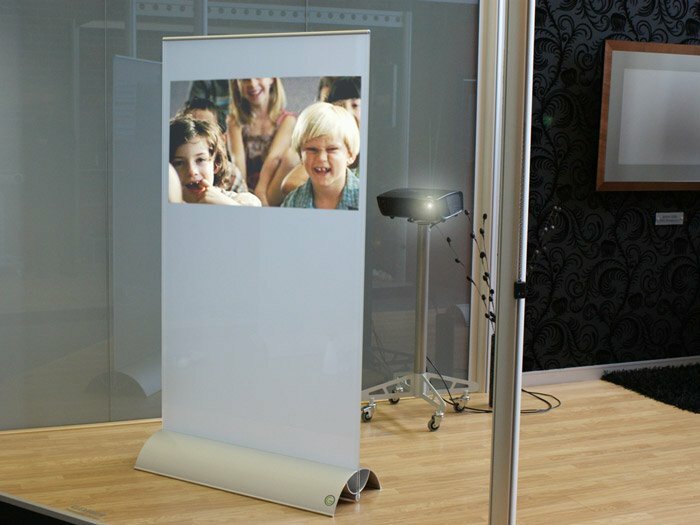 SoundVision - The only projection screen where the actual surface of the screen acts as a loudspeaker! 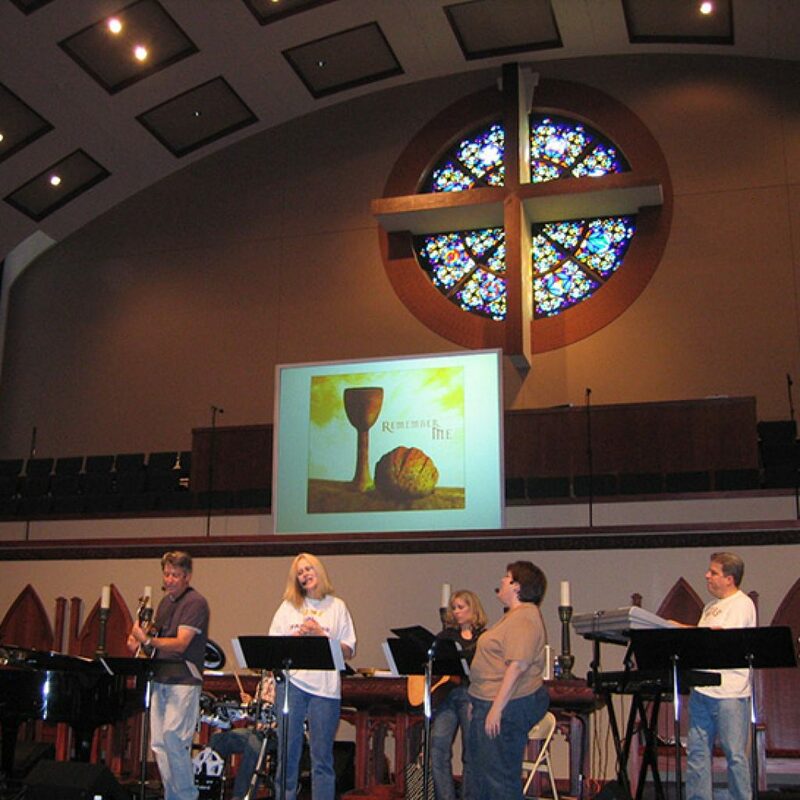 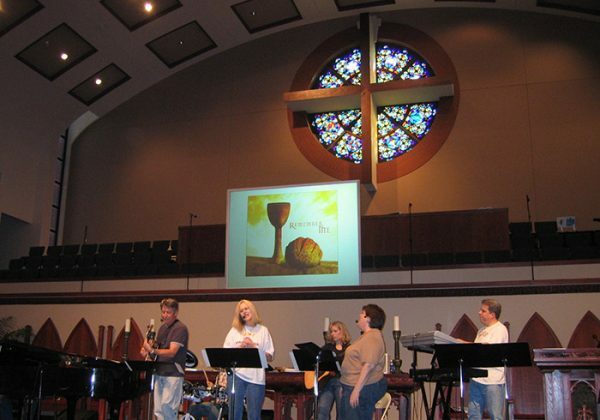 SoundVision: As standard SoundVision is combined with the Ultra Gain projection screen for maximum image brightness. 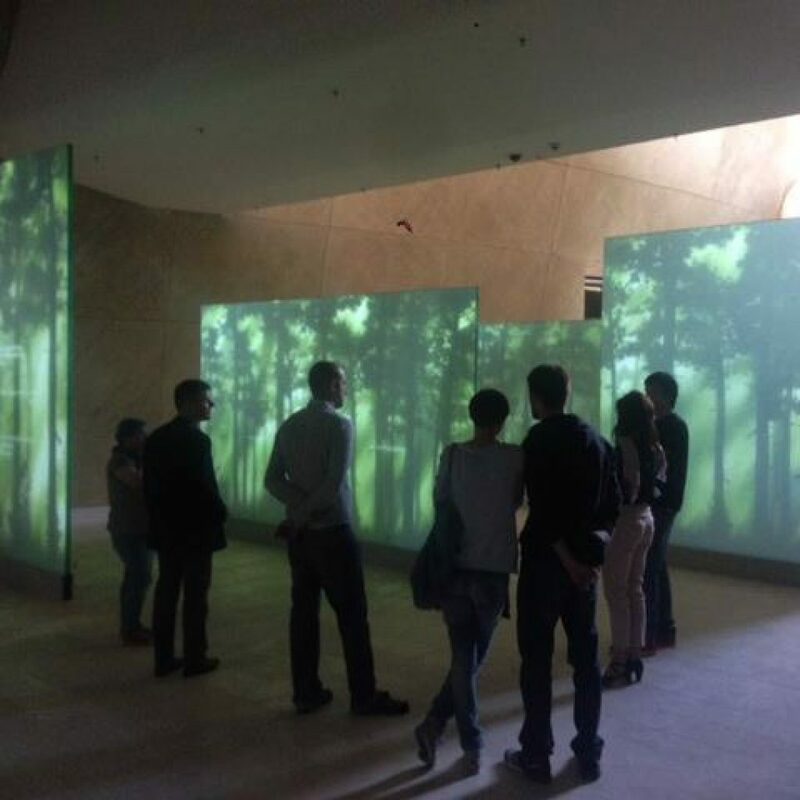 SoundVision 3D Cinematic Curve: This high brightness screen has a parabolic curve for immersive 3D viewing & is the leading 3D front projection screen, supplied with stereoscopic active 3D glasses. 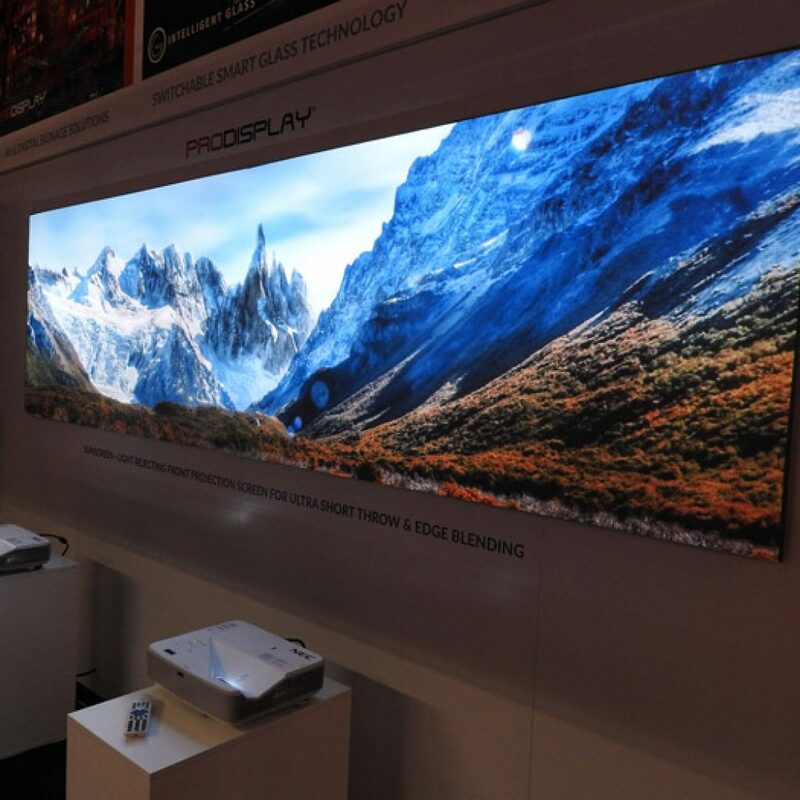 SoundVision Pro: Combined with the Ultravision projection screen, offering the best combination of brightness and high contrast for superb image quality in high end installations. 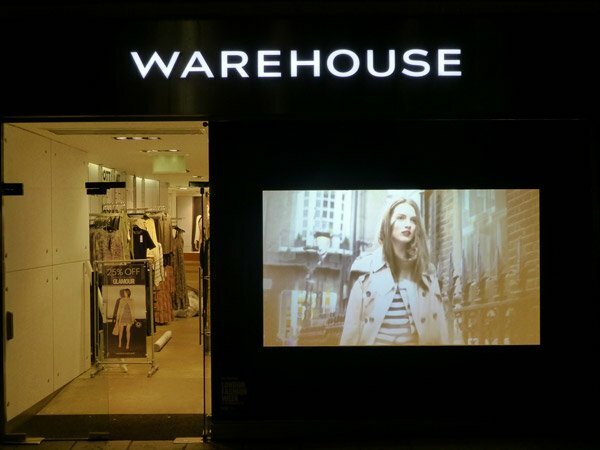 Off white in colour this is the only projection screen in the world that offers a viewable image on both sides of the screen at the same time with just one projector, the world’s first 360° projection surface! With 360° projection screens one side will of course appear as reversed. 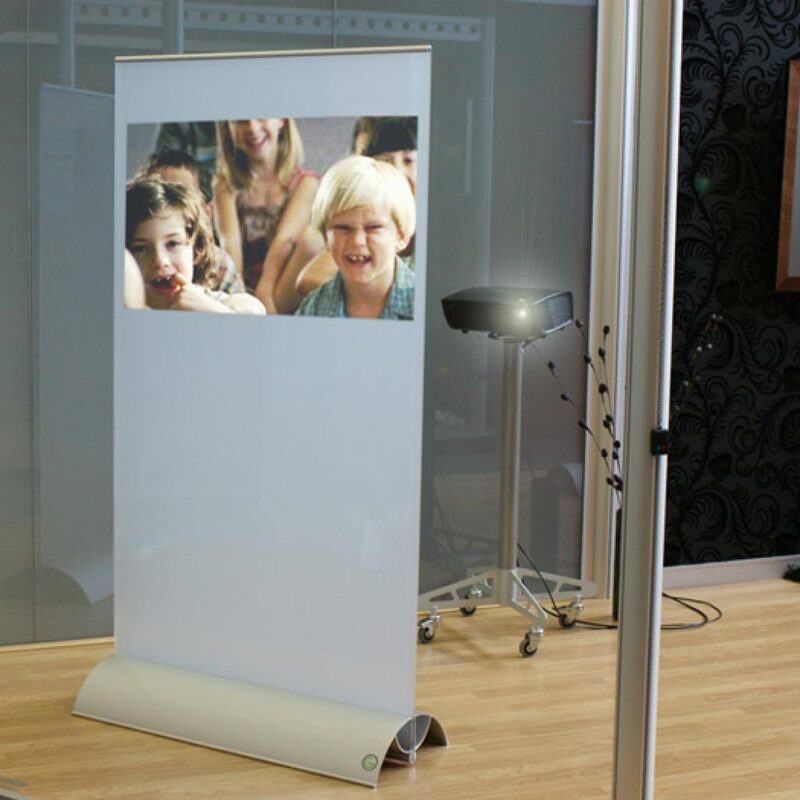 Suitable for front or rear projection and available in three formats: Rigid acrylic, electric roll up & poster. 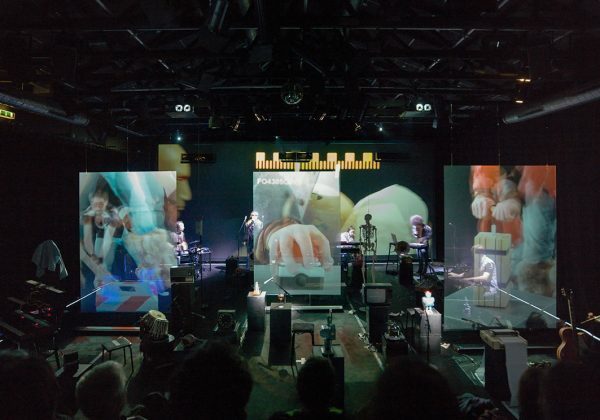 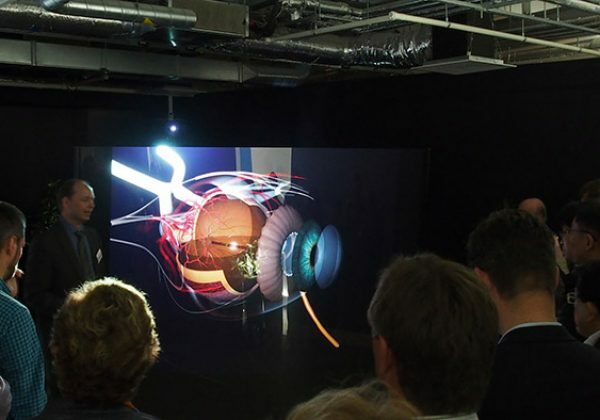 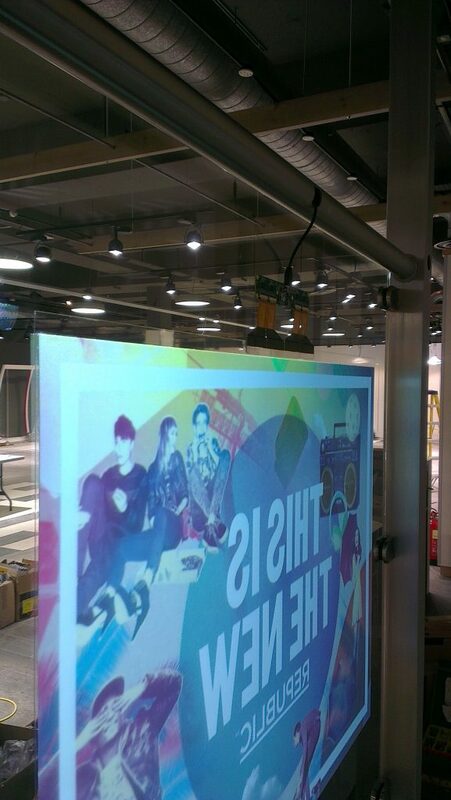 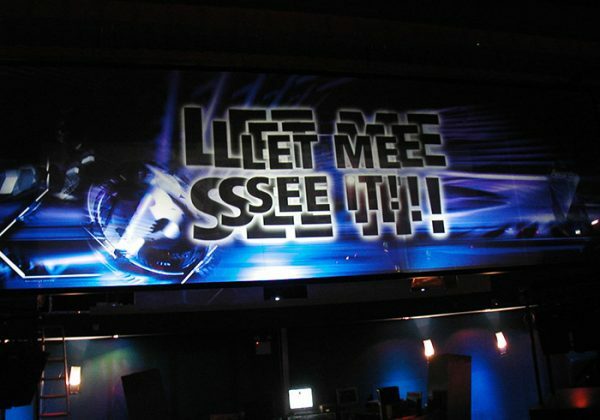 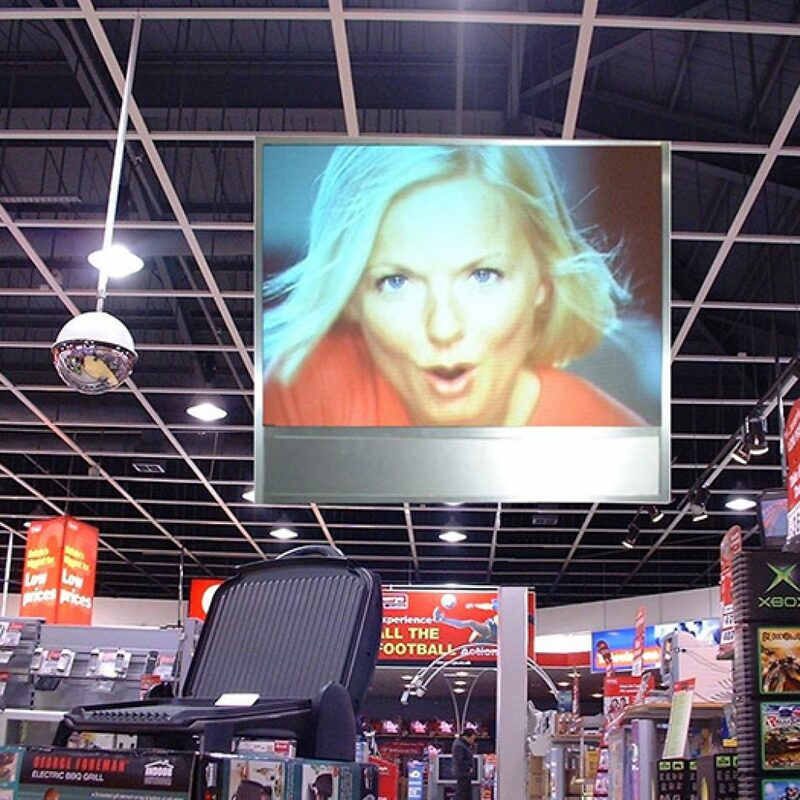 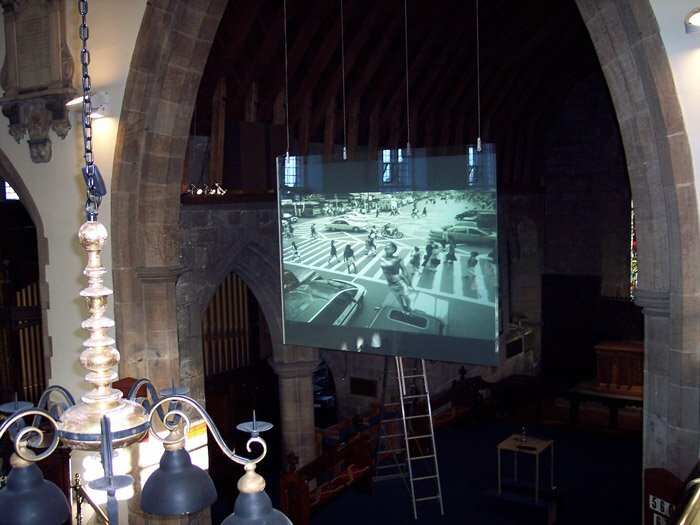 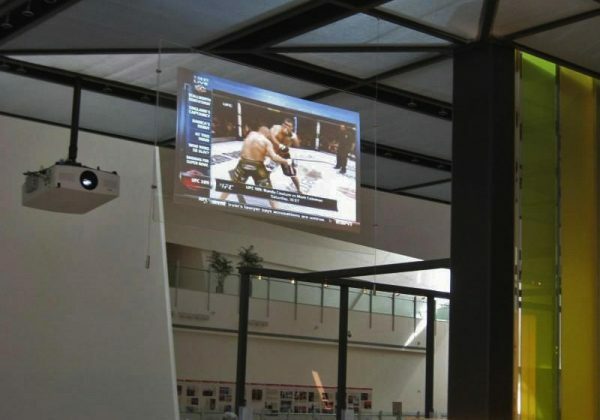 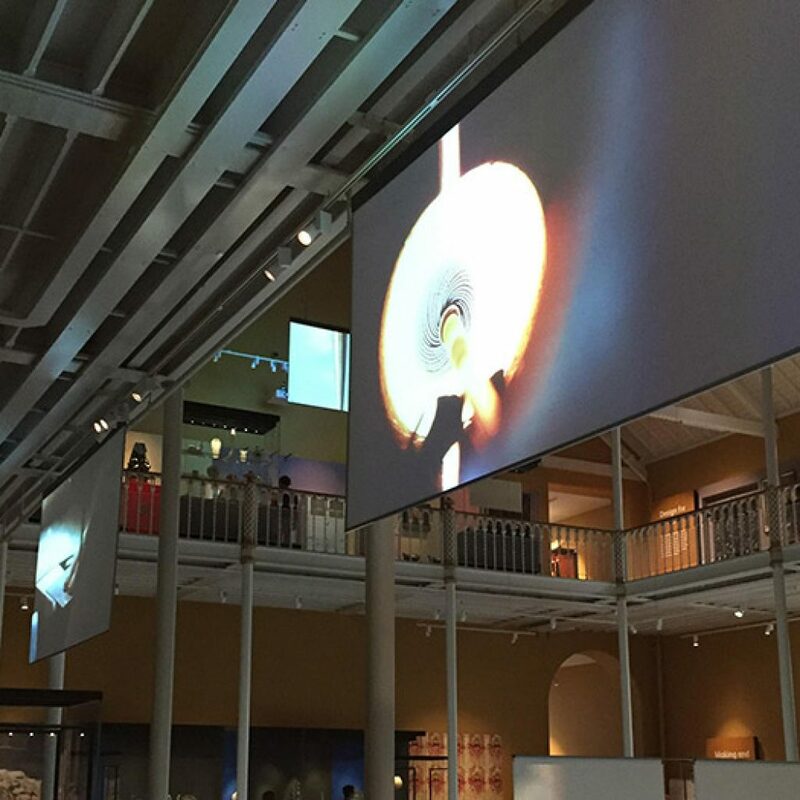 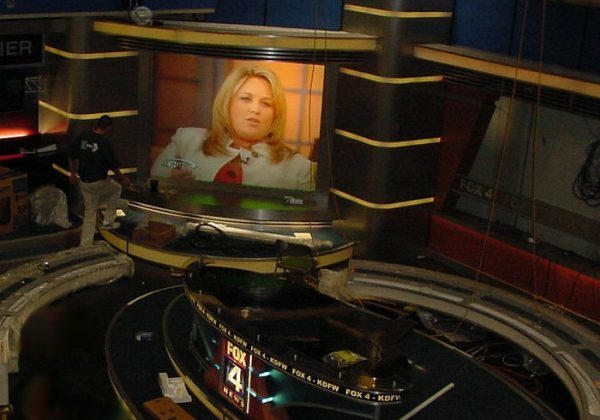 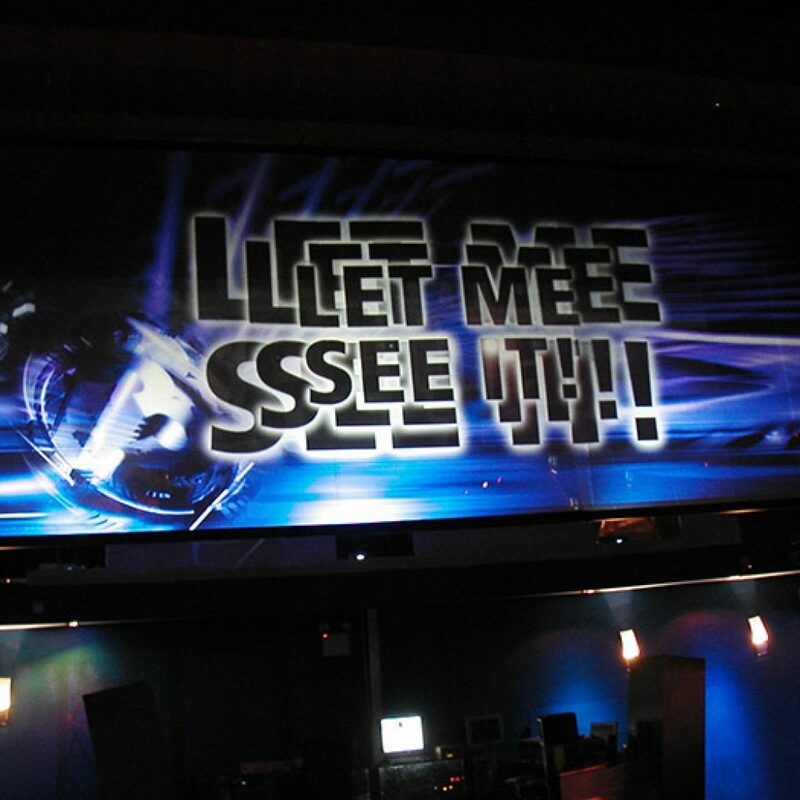 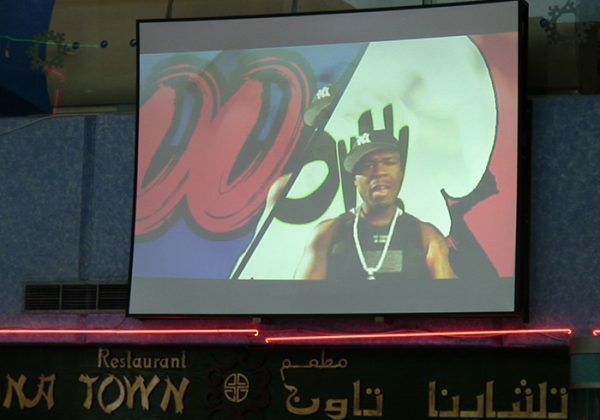 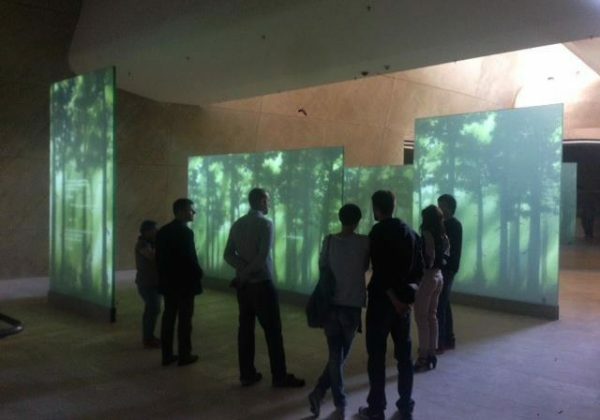 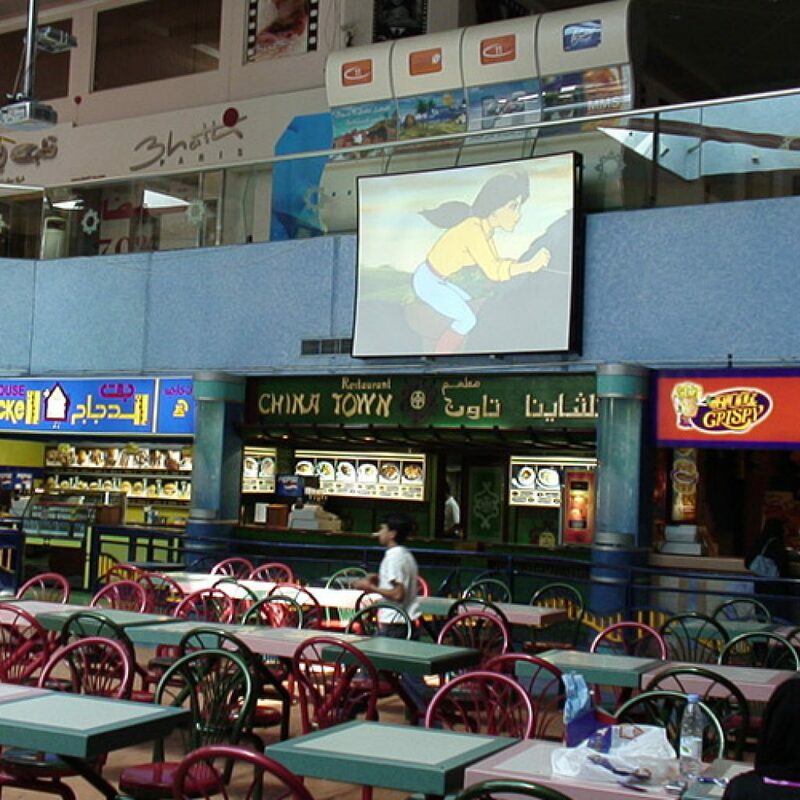 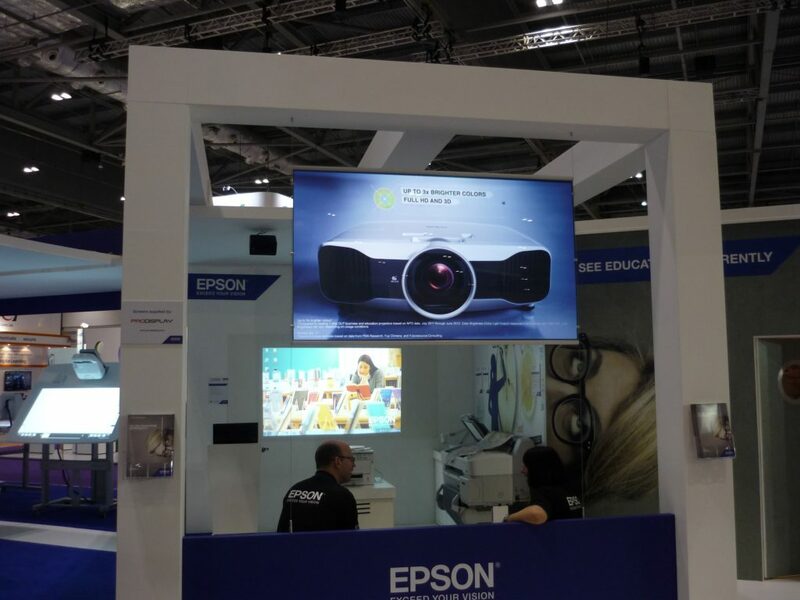 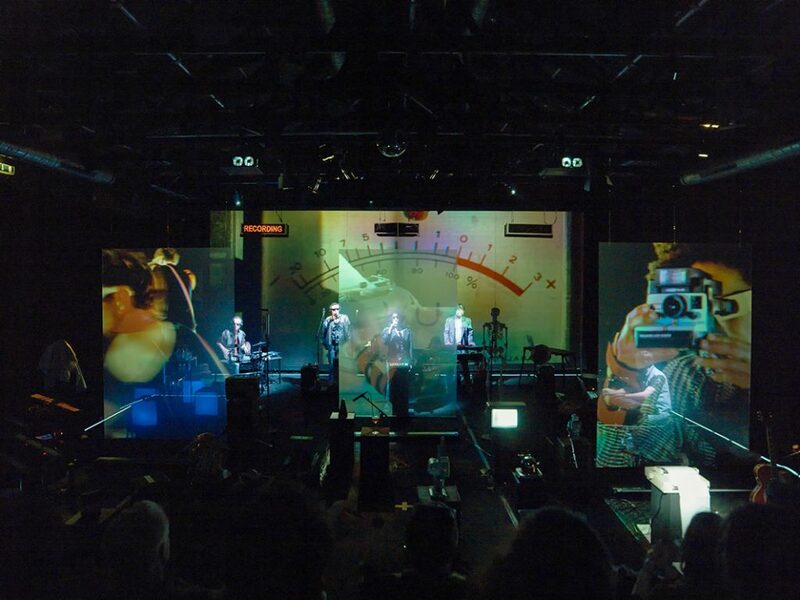 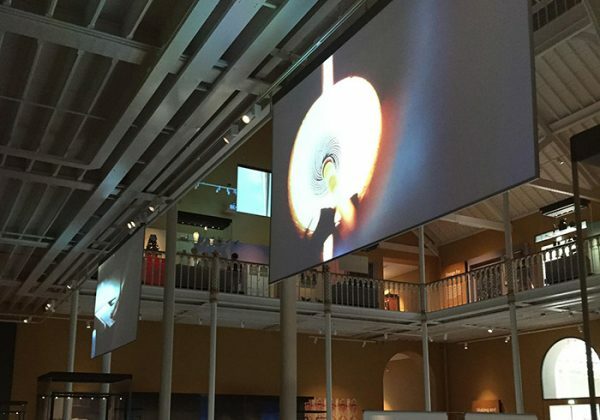 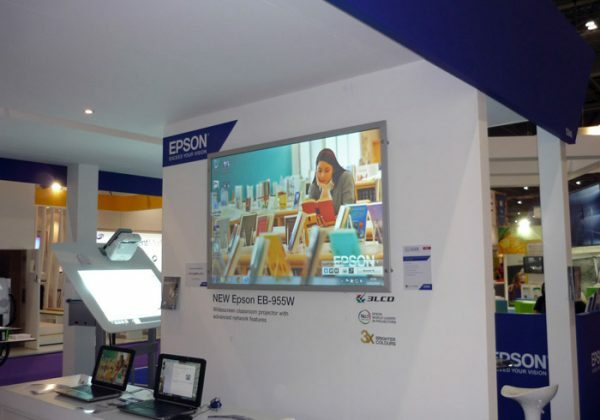 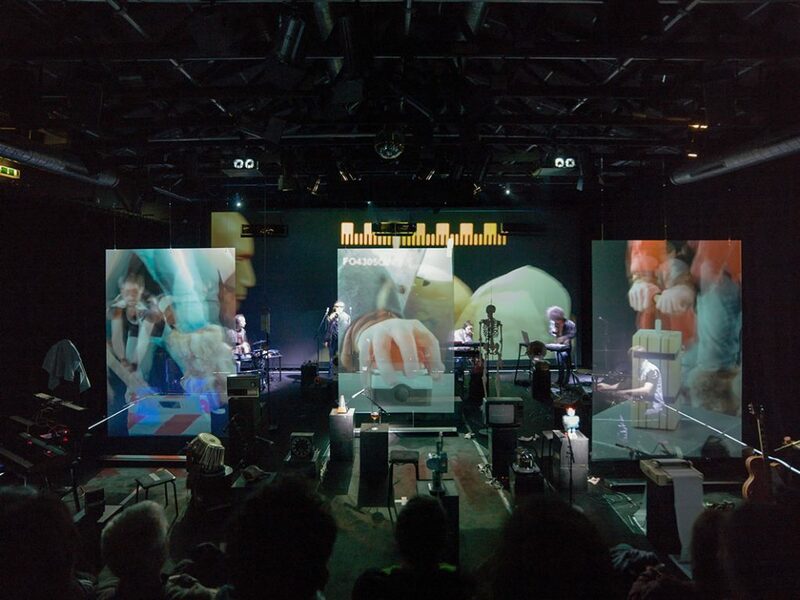 The front projection version of the ‘High Gain’ screen is dual-sided, meaning different images can be shown on both sides of the screen at the same time using two projectors, without any interference from the other side. 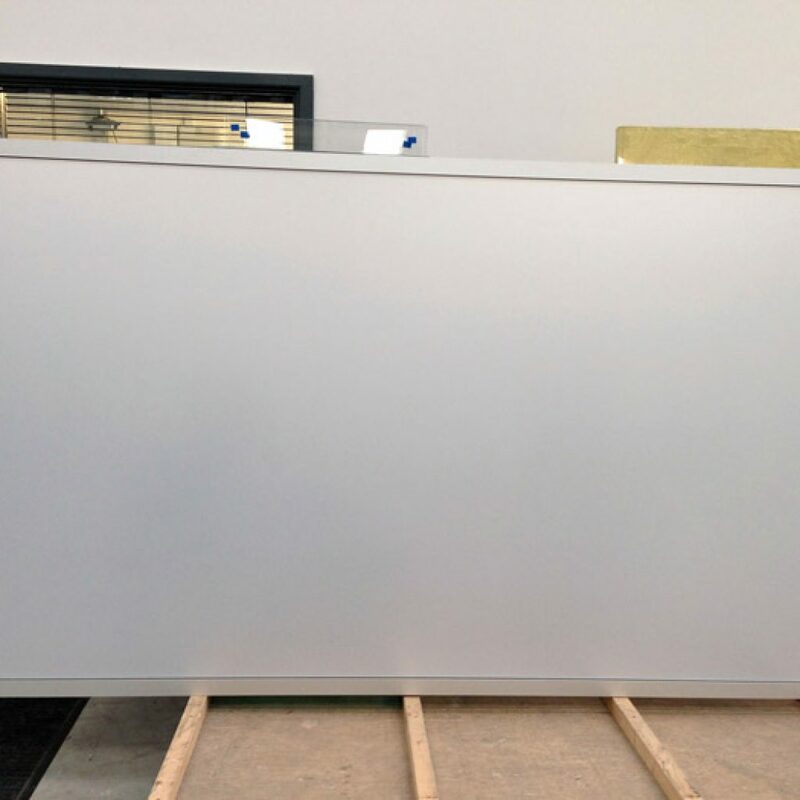 These high brightness screens are matt white in colour and available in rigid acrylic and can be combined with an Infrared touch screen frame for interactive applications and are also suitable for short throw projection. 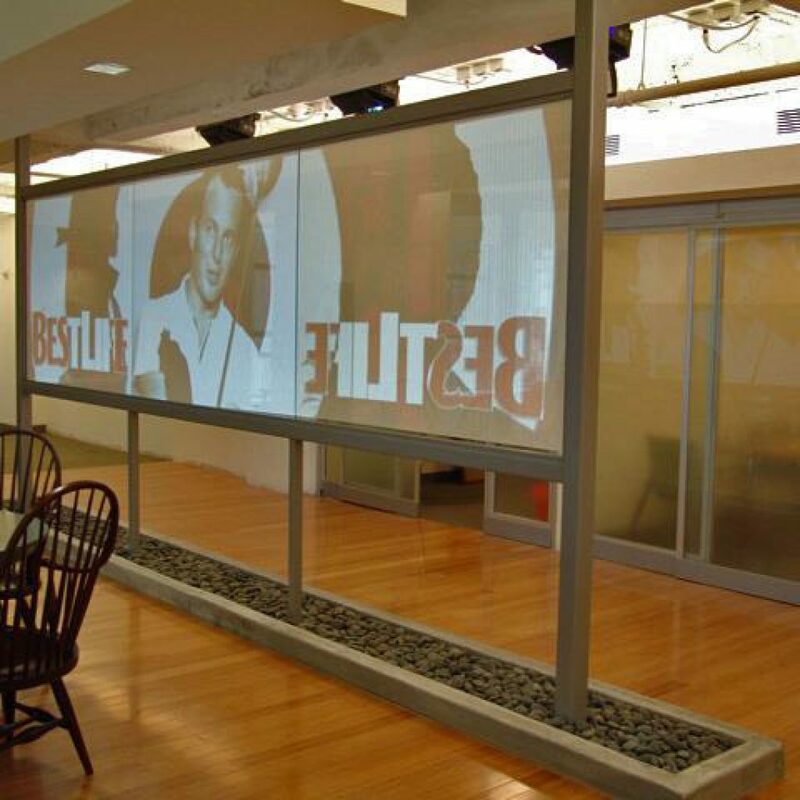 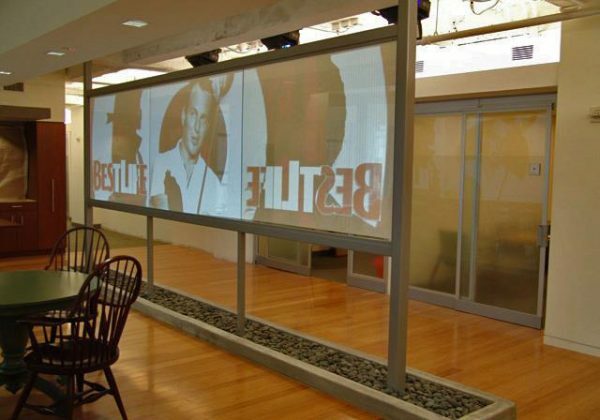 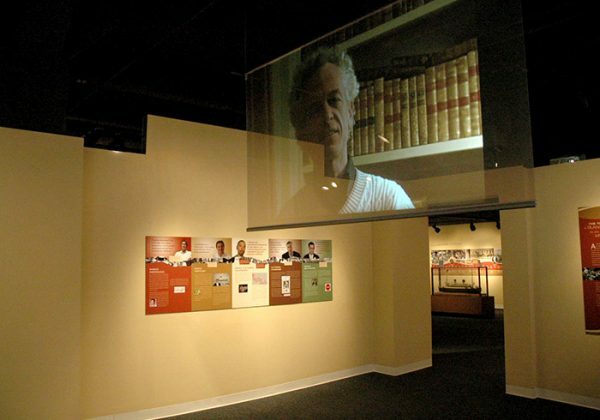 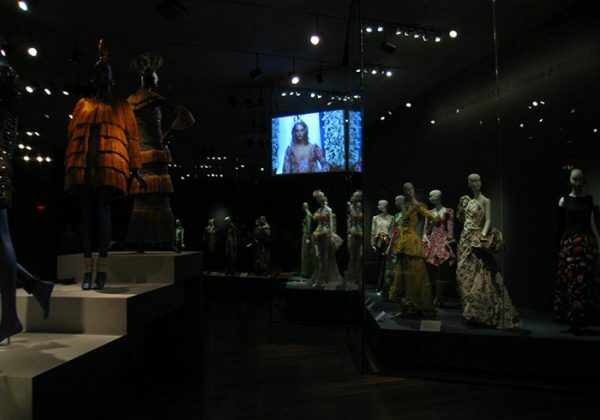 The front projection version of the infamous switchable glass projection screen. 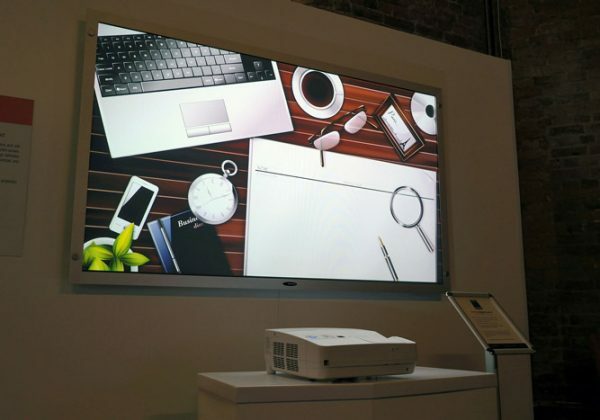 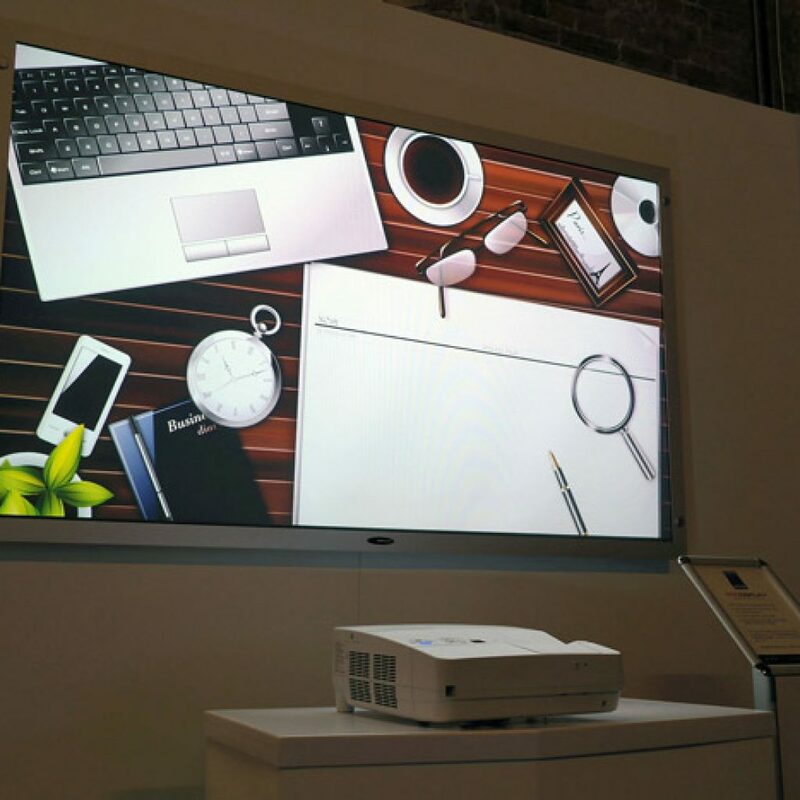 Offering the ultimate wow factor, turning instantly from a clear transparent screen into an HD projection surface at the press of a button. 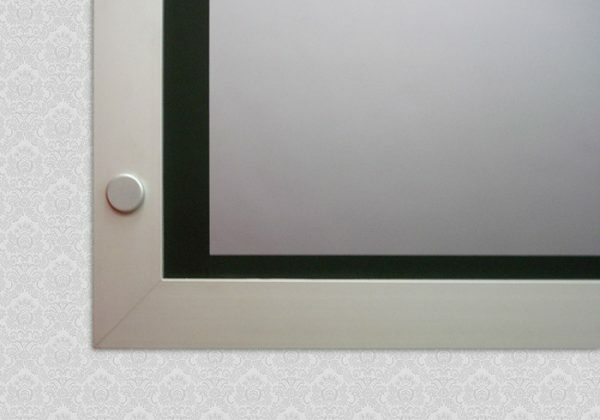 This type of screen can change its appearance from being frosted to clear when an electrical current is applied. 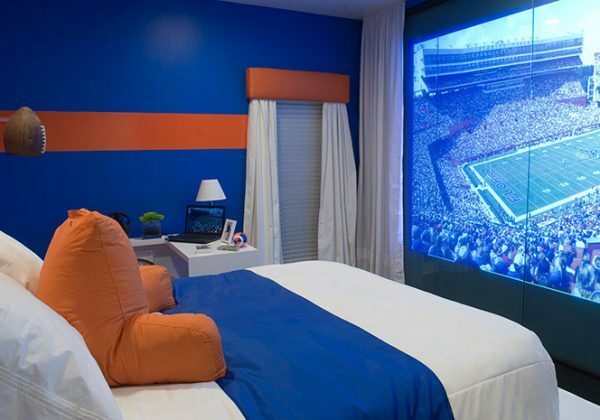 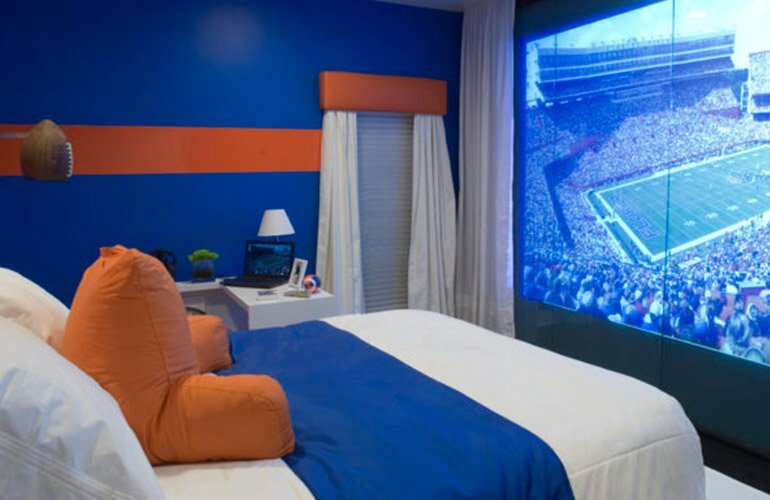 When in the frosted state it can be used as privacy glass or a front projection screen. 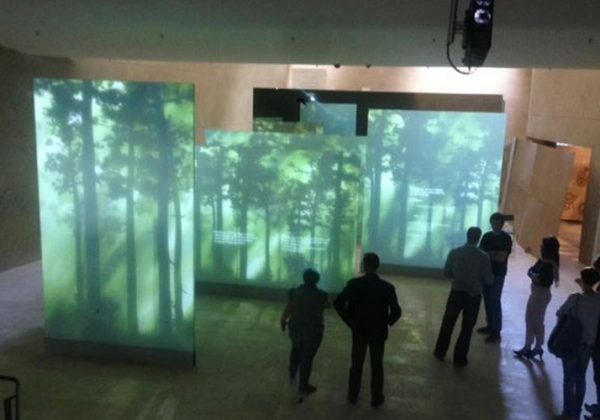 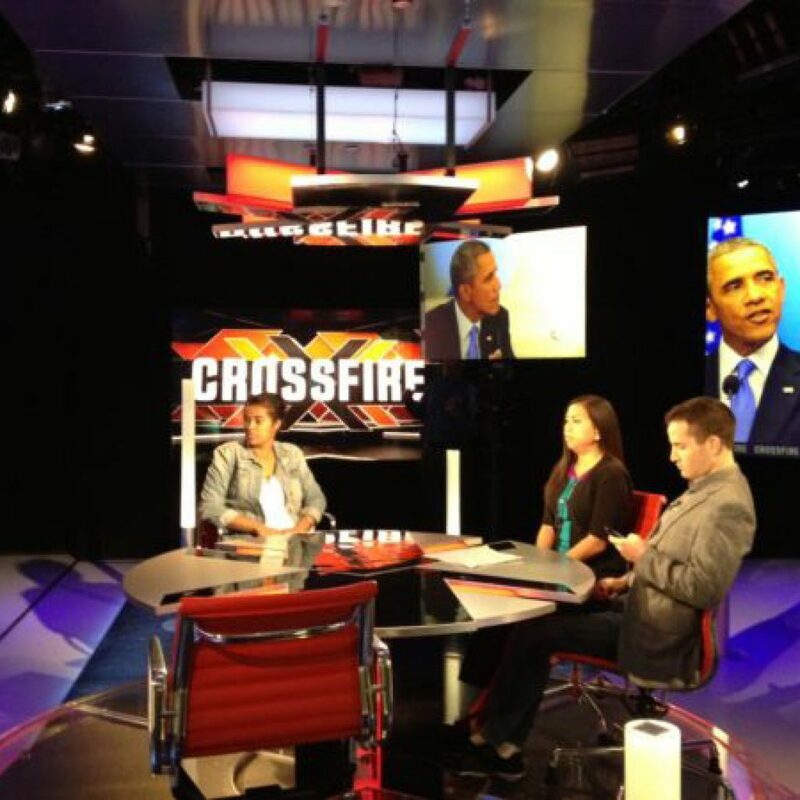 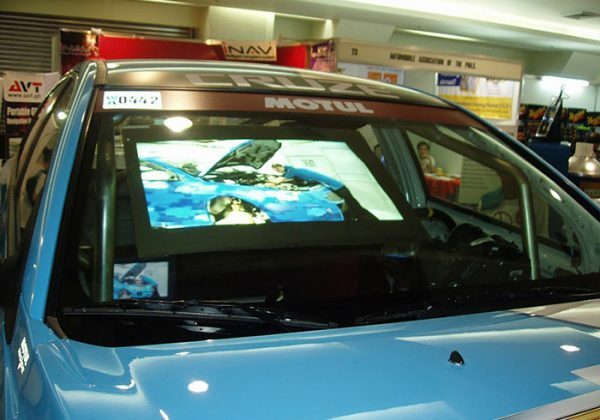 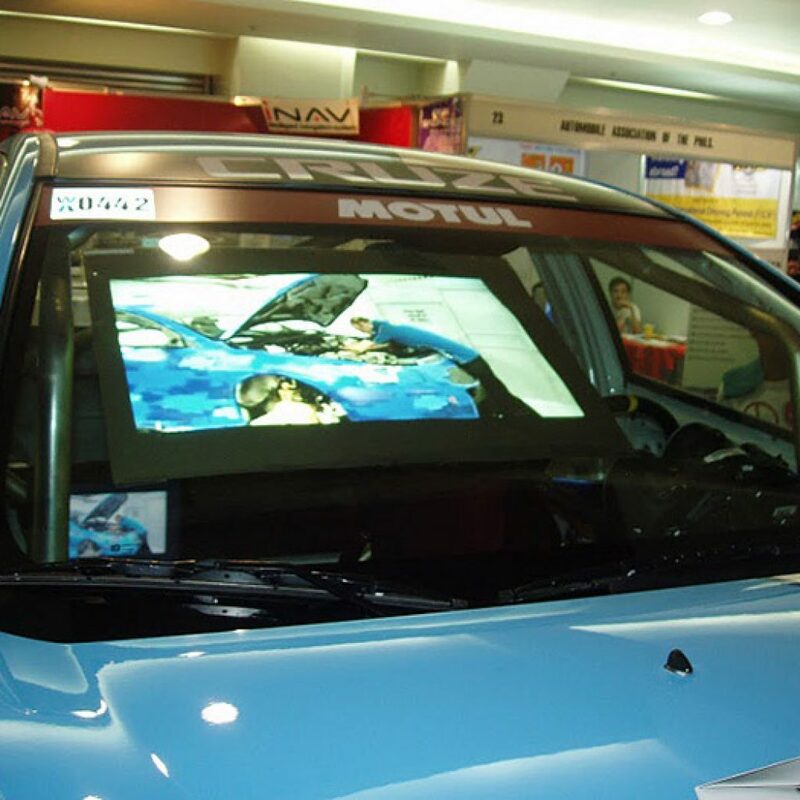 Rear projection and interactive screen options are also available. 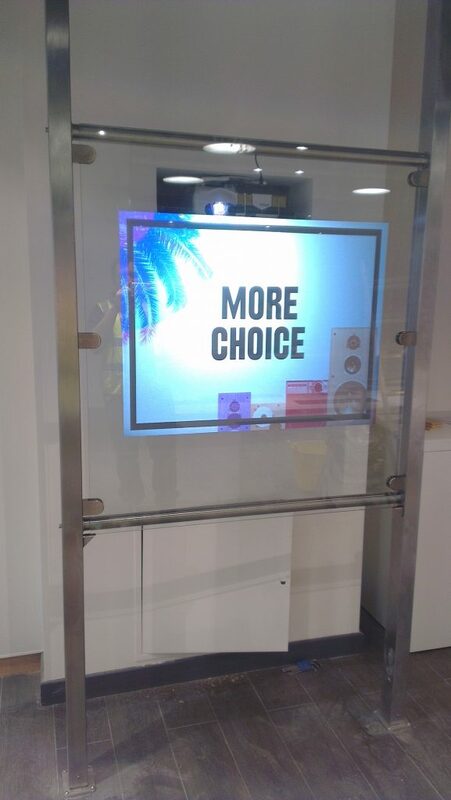 there are some great screens to choose from!